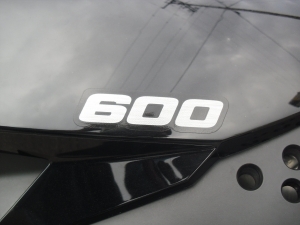 for the day or by the week. 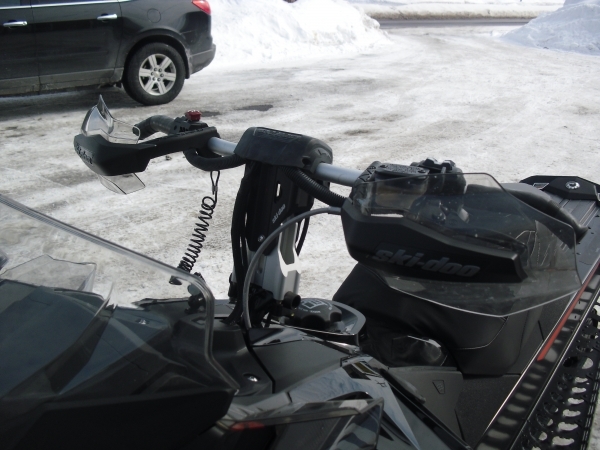 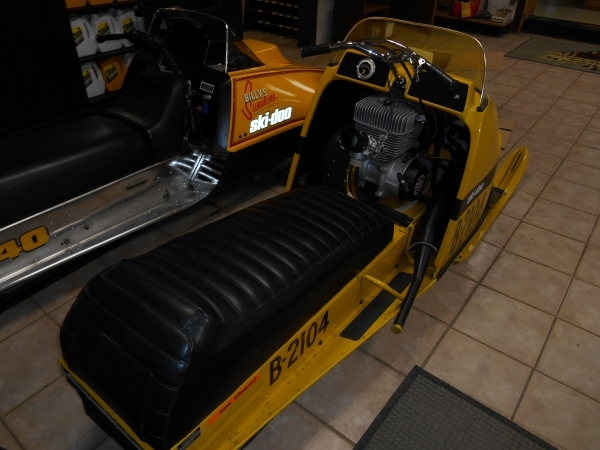 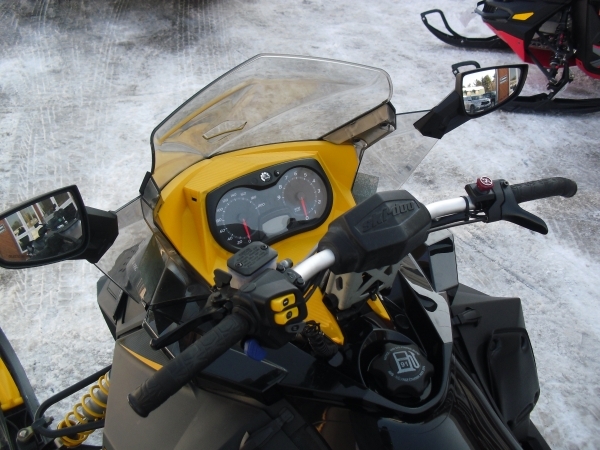 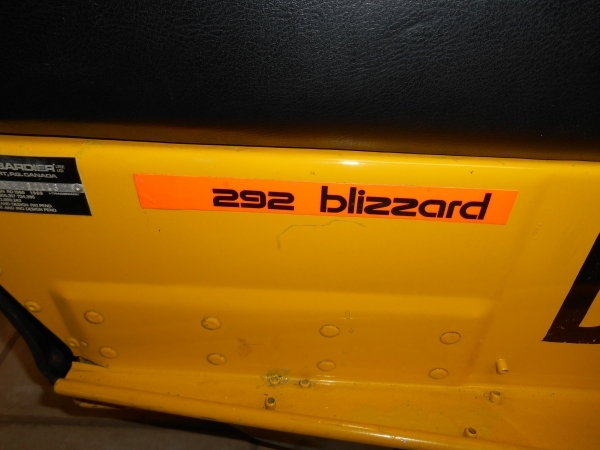 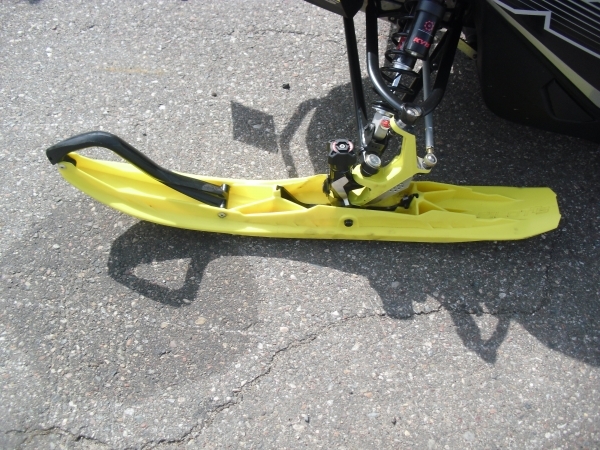 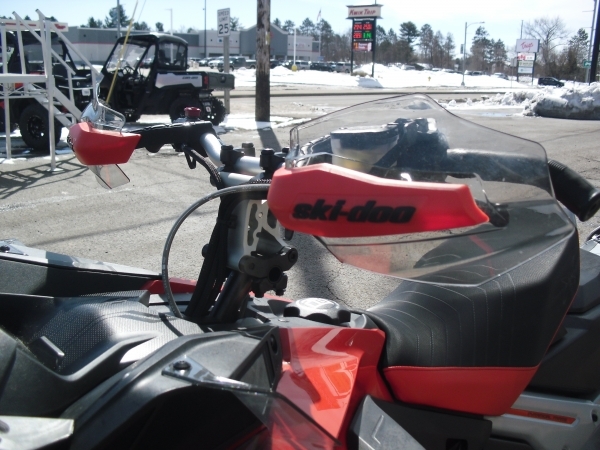 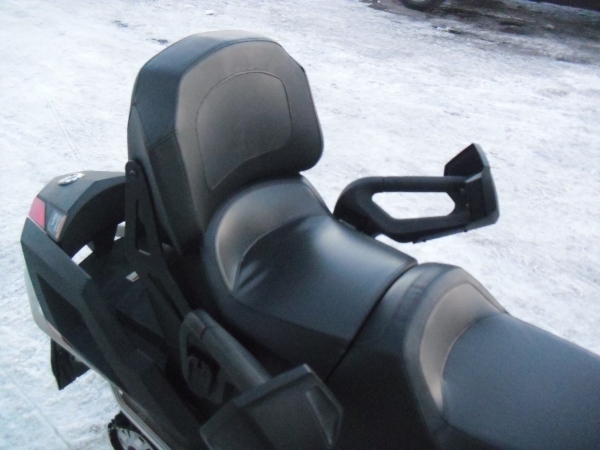 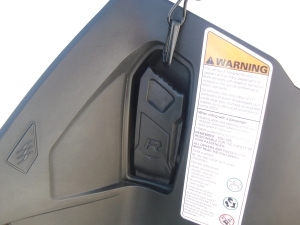 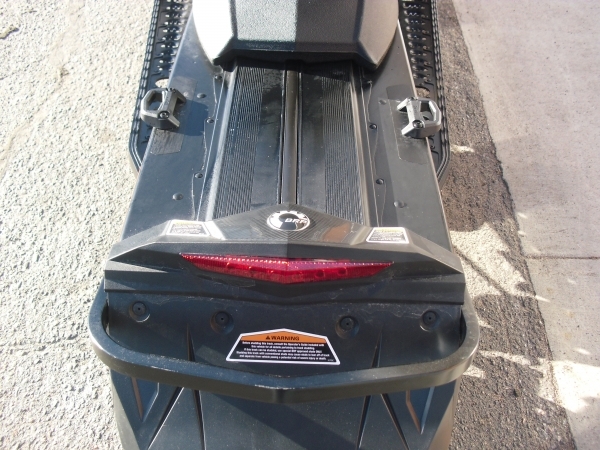 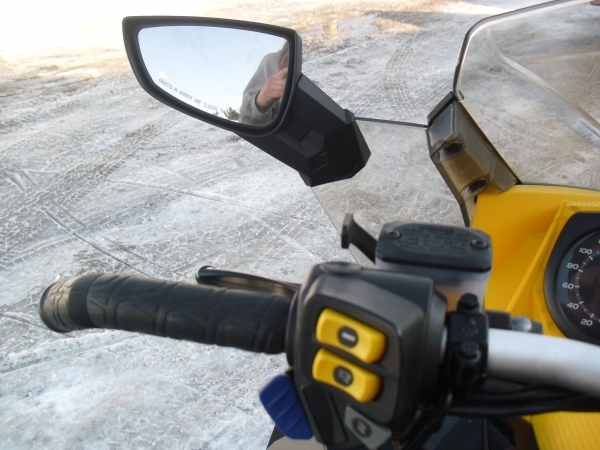 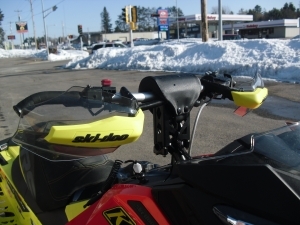 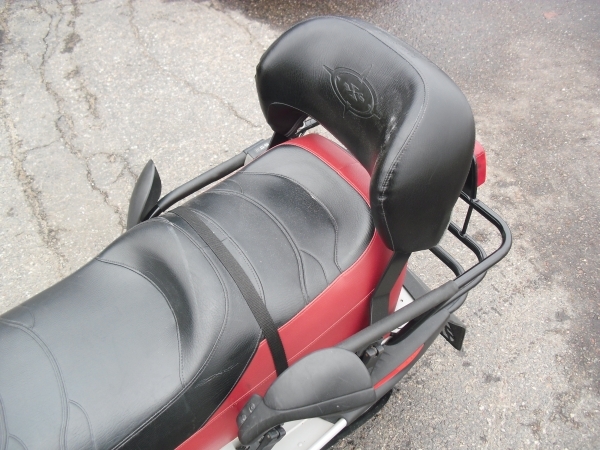 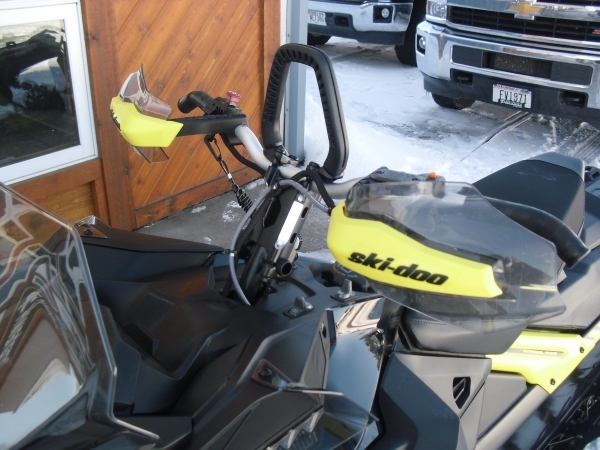 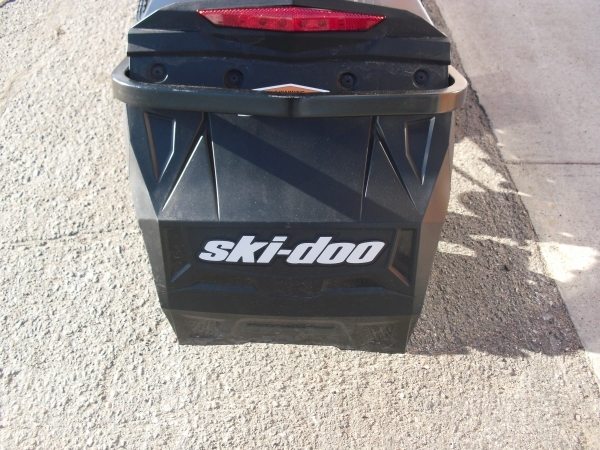 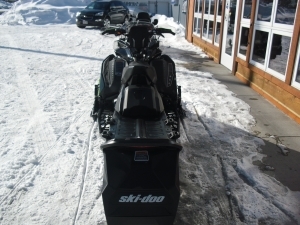 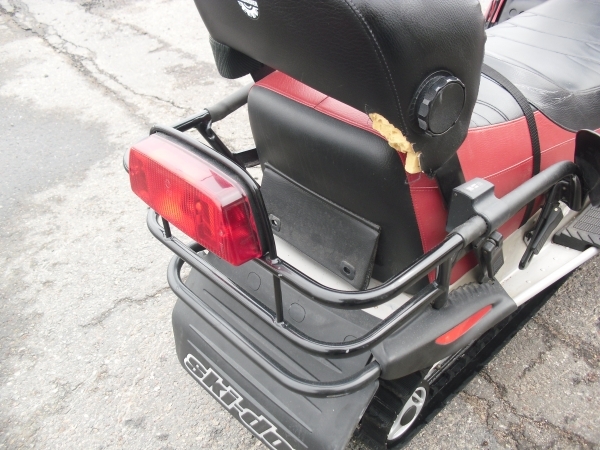 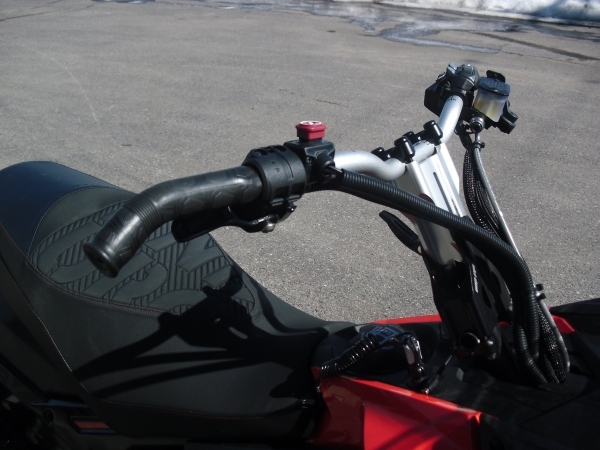 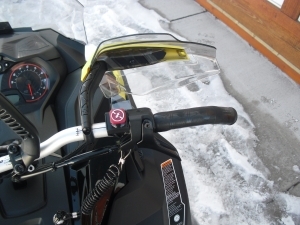 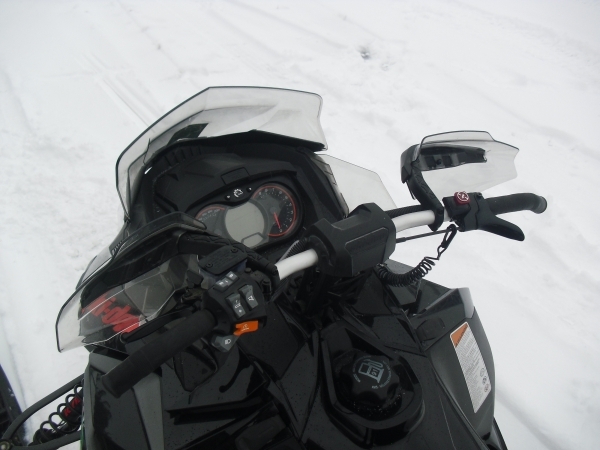 We have "new" sleds available with electric start and hand and thumb warmers. 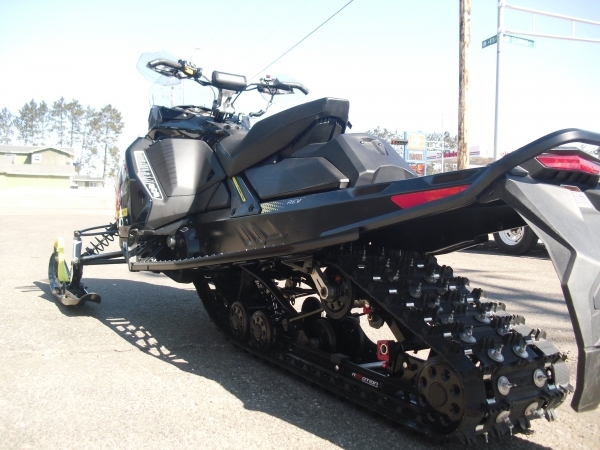 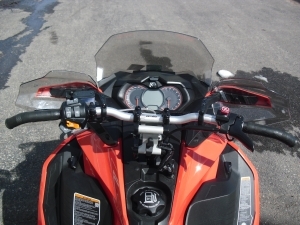 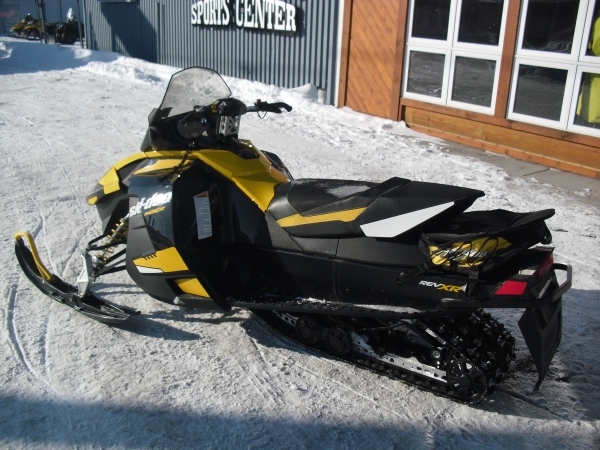 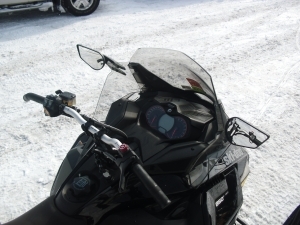 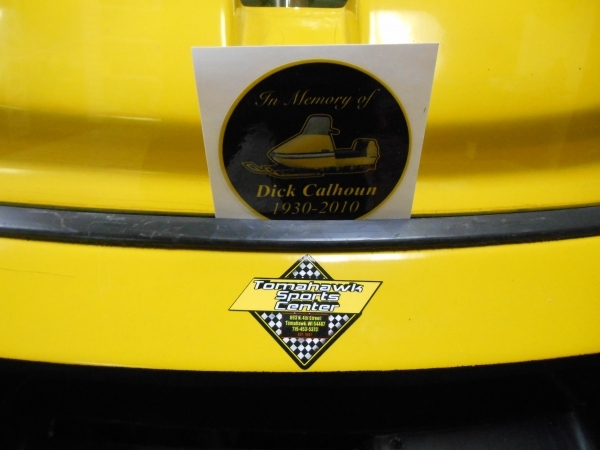 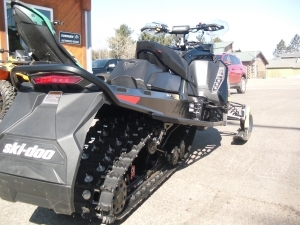 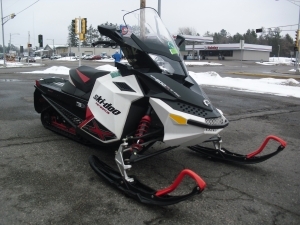 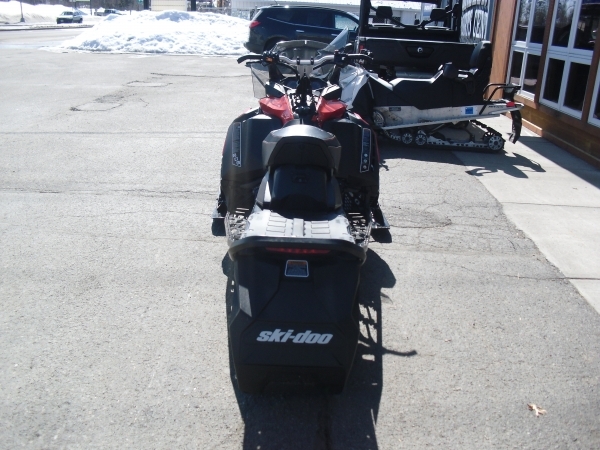 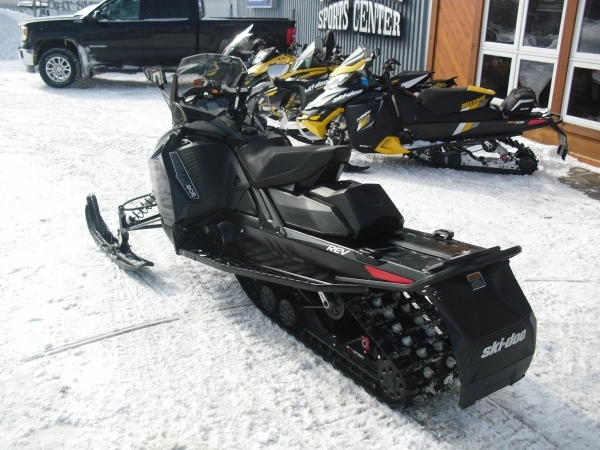 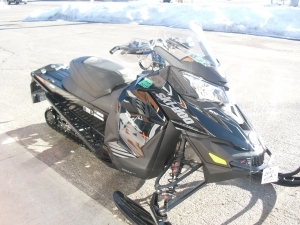 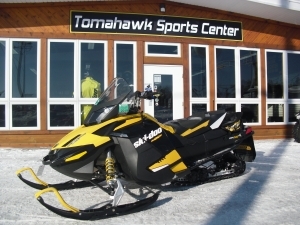 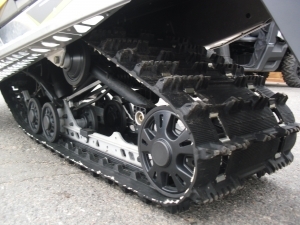 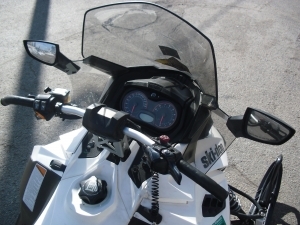 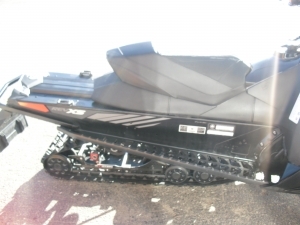 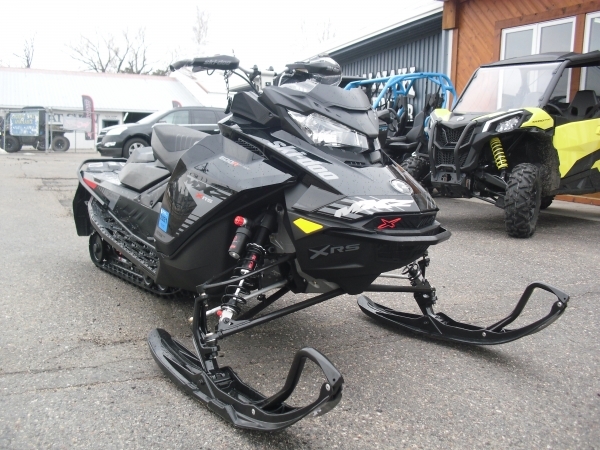 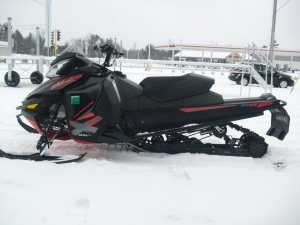 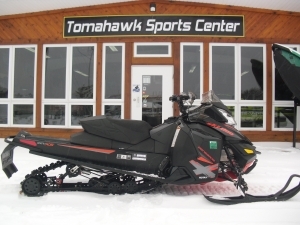 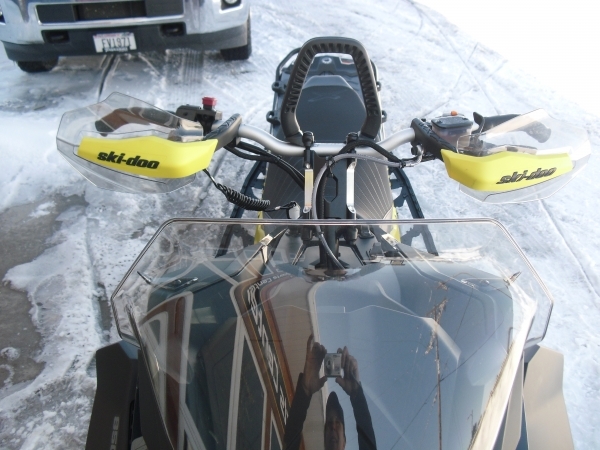 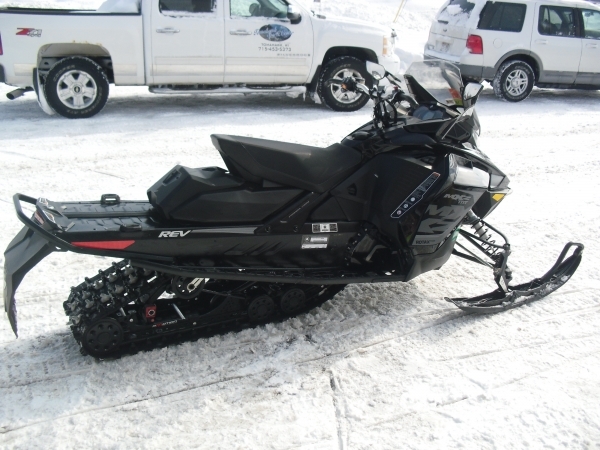 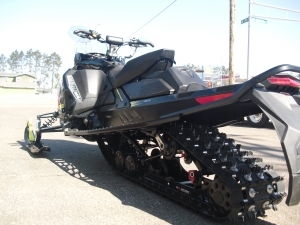 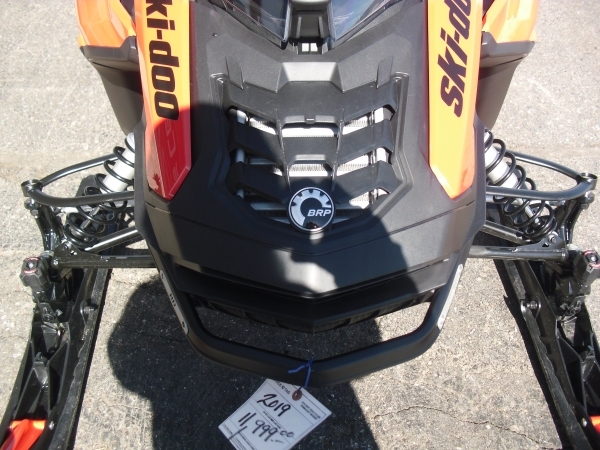 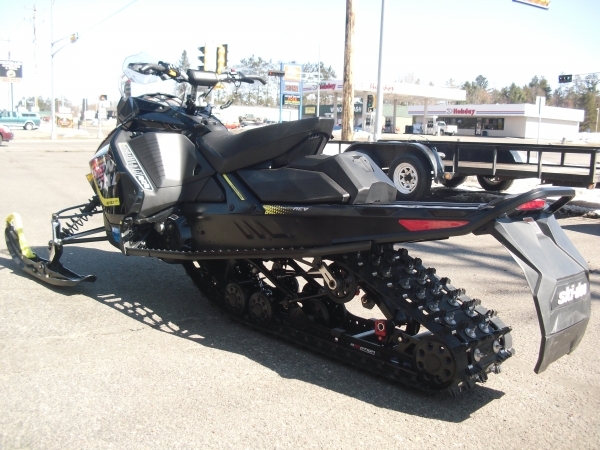 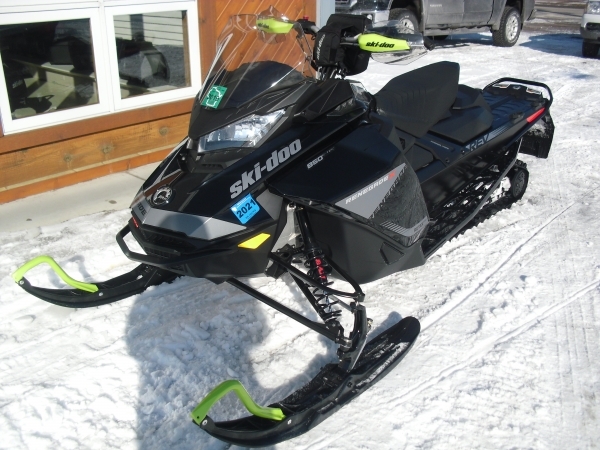 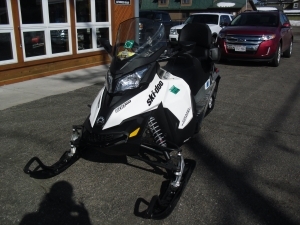 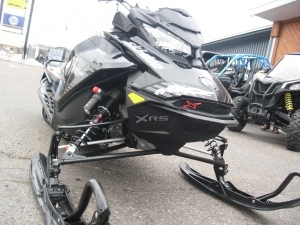 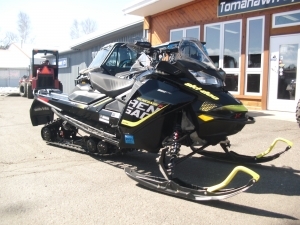 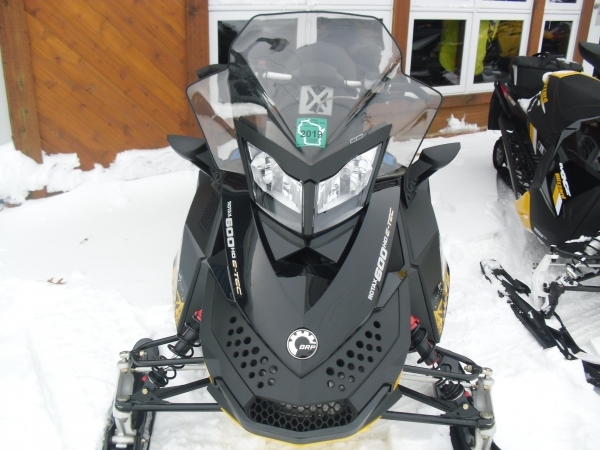 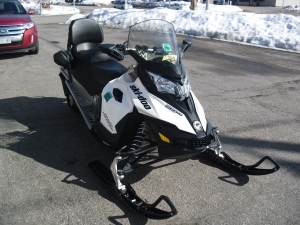 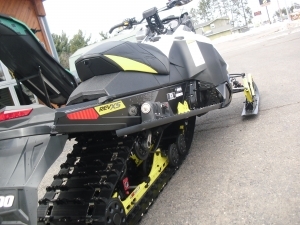 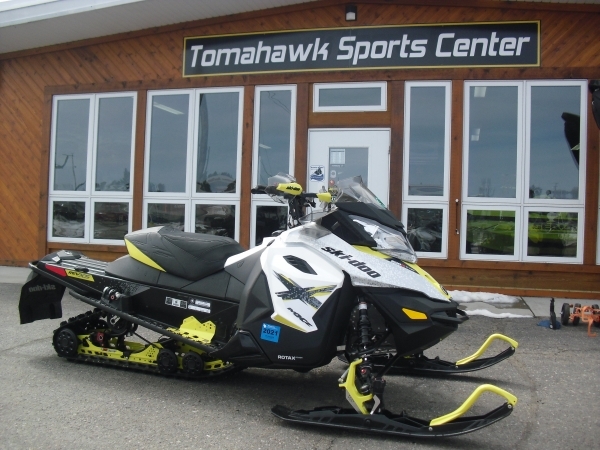 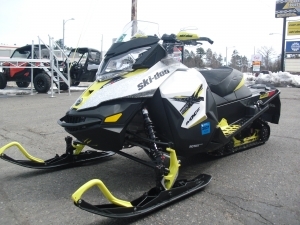 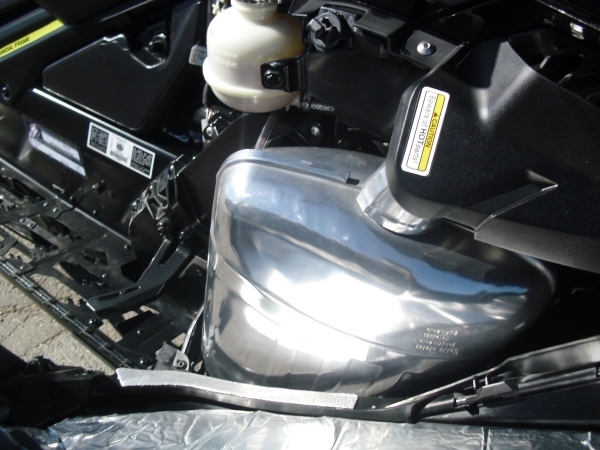 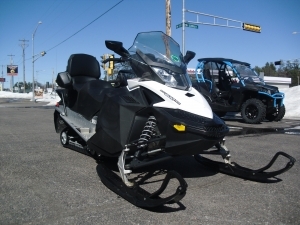 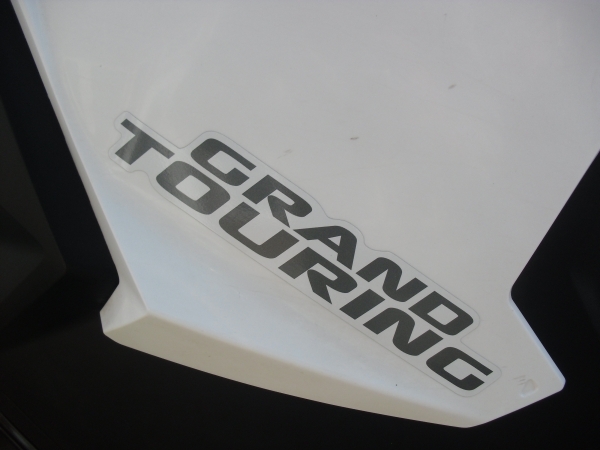 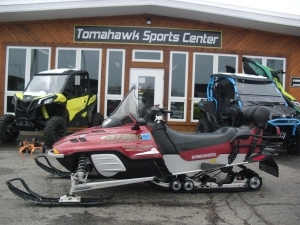 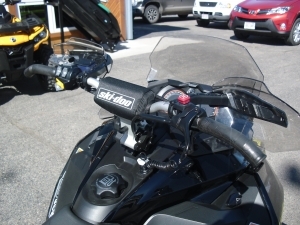 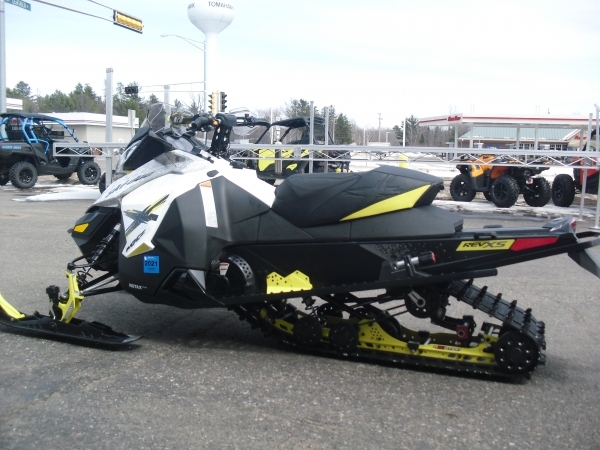 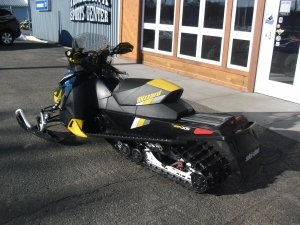 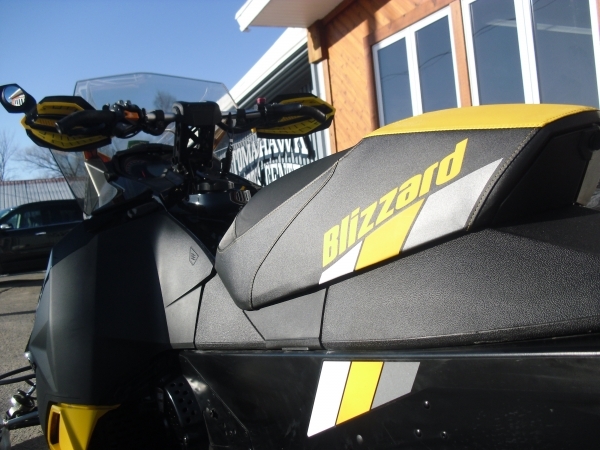 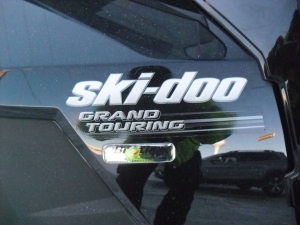 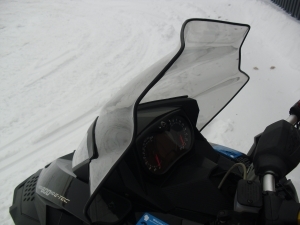 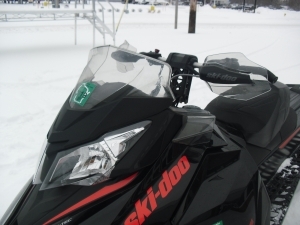 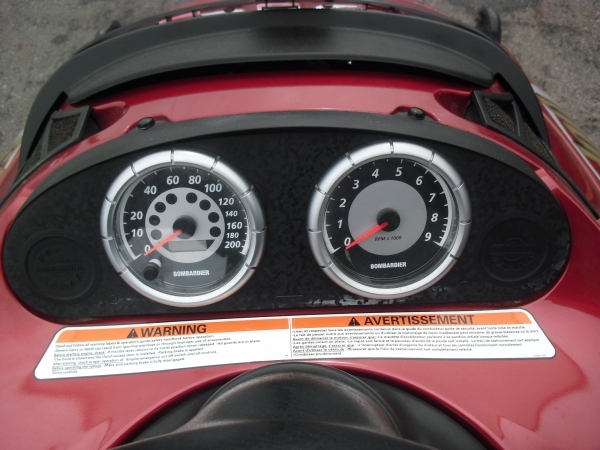 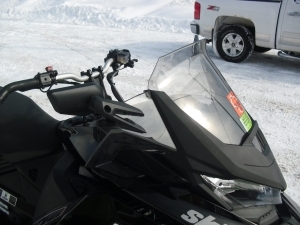 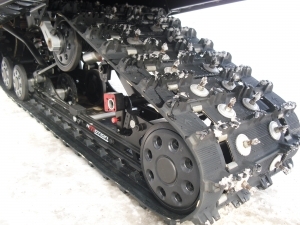 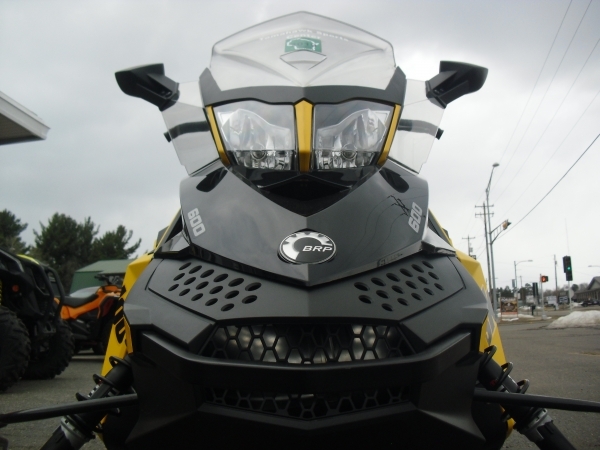 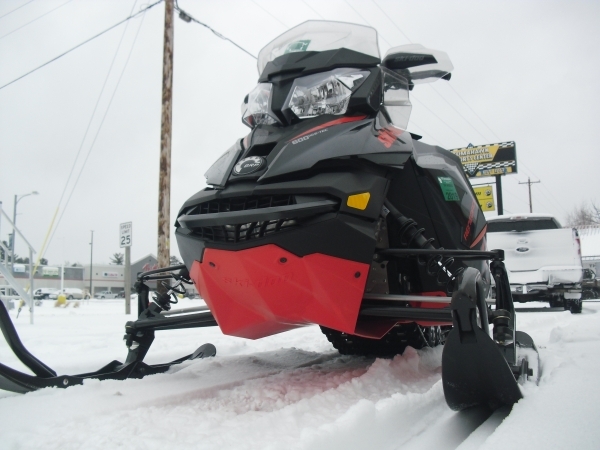 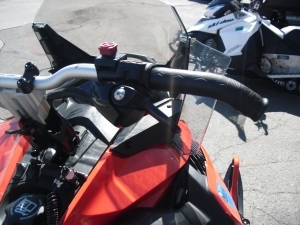 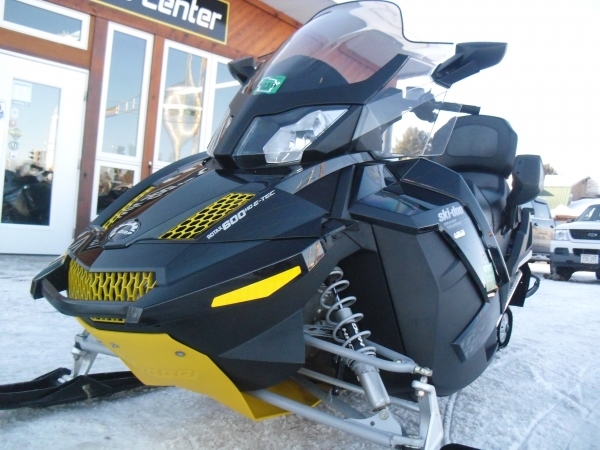 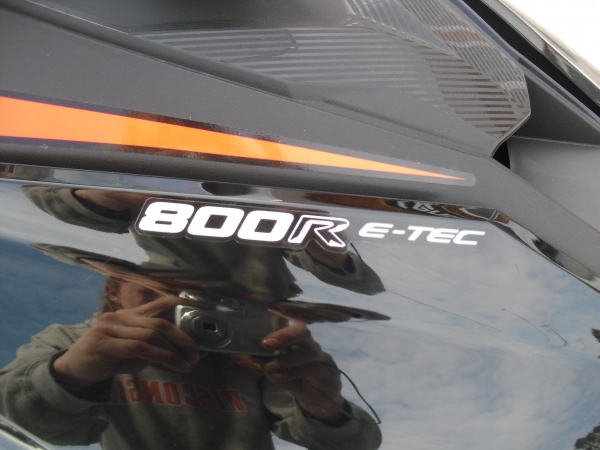 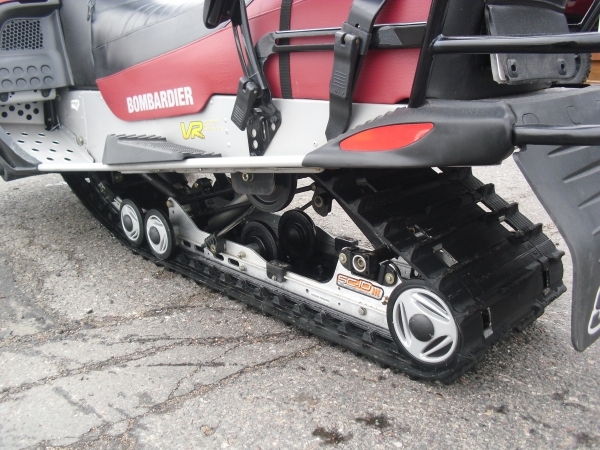 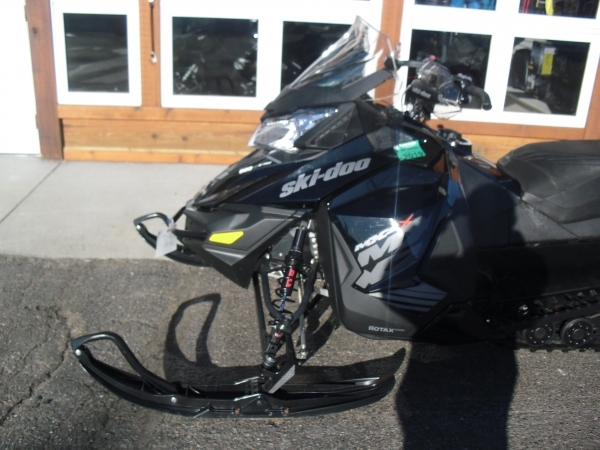 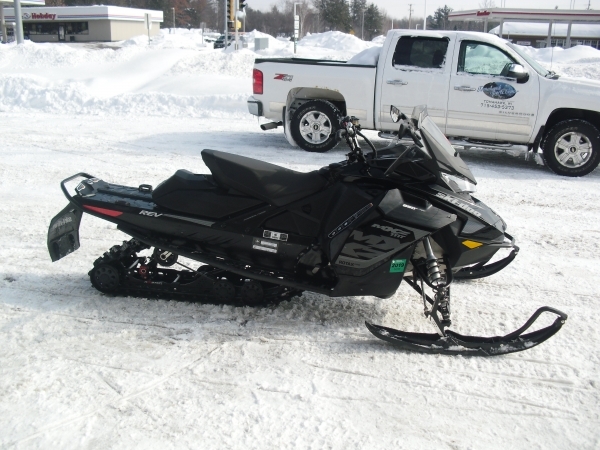 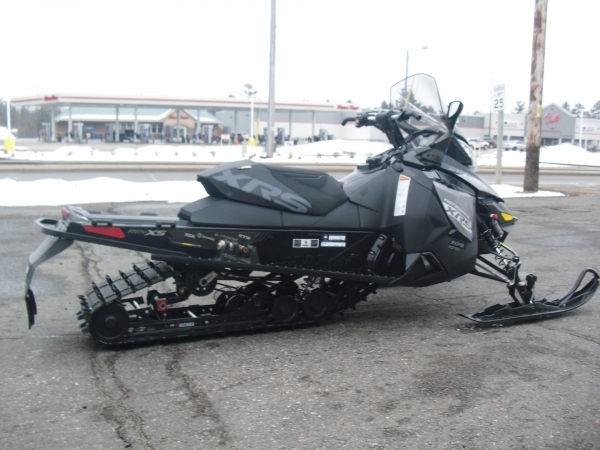 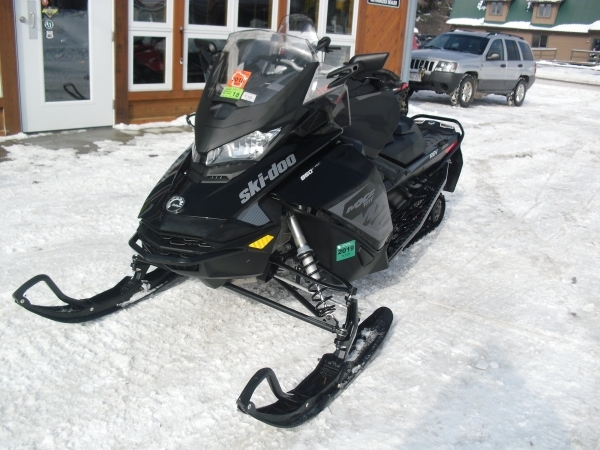 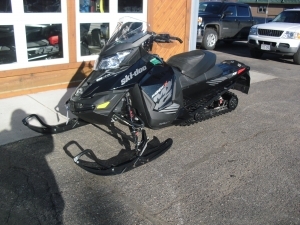 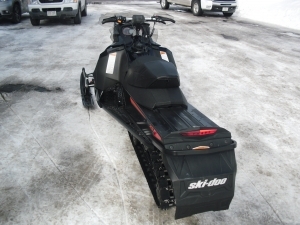 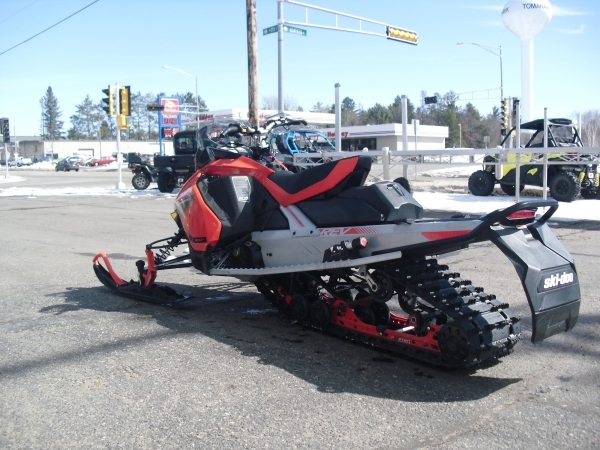 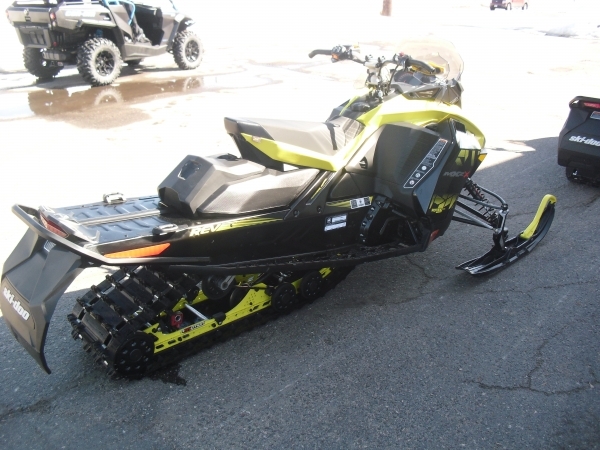 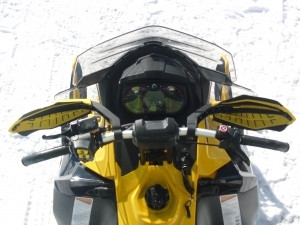 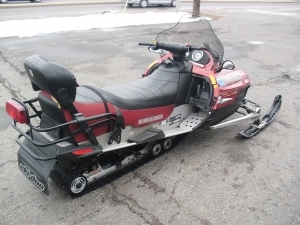 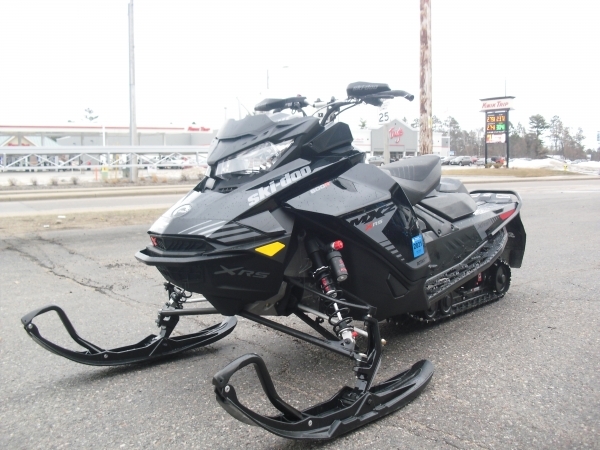 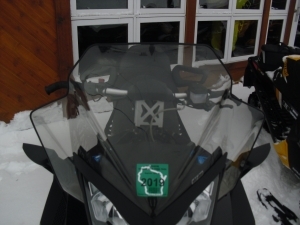 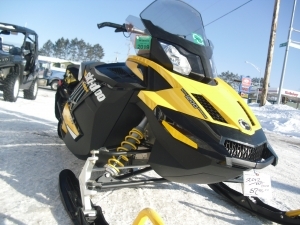 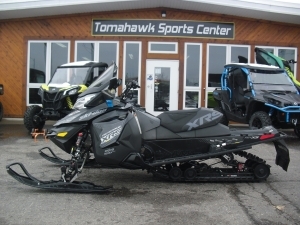 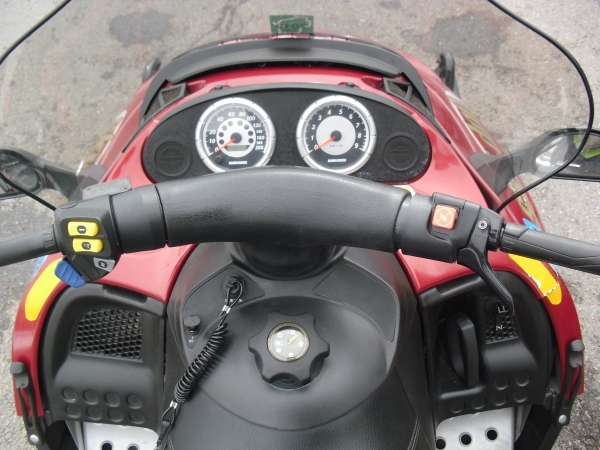 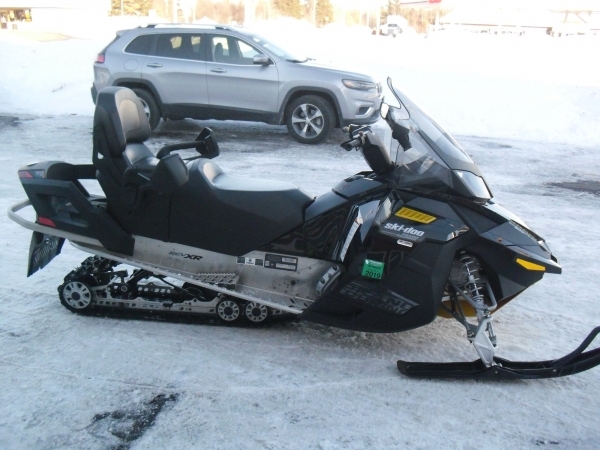 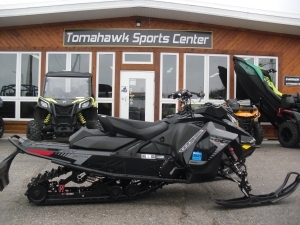 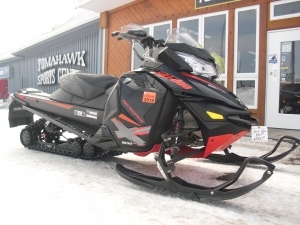 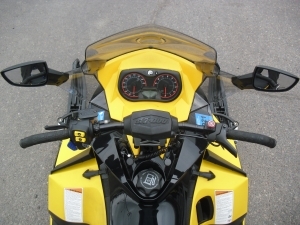 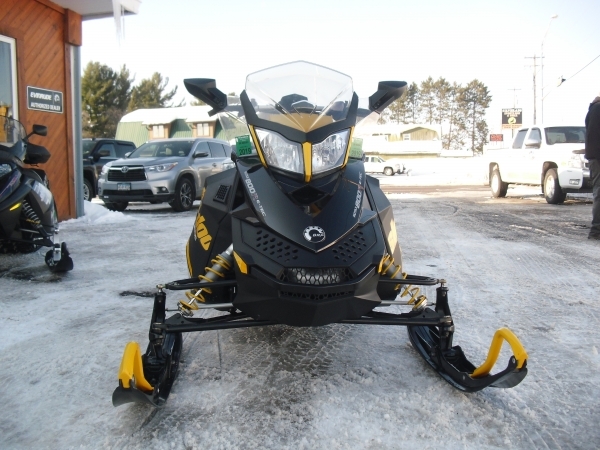 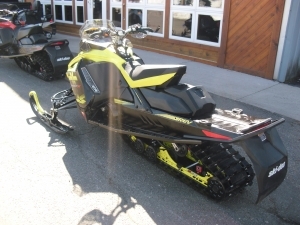 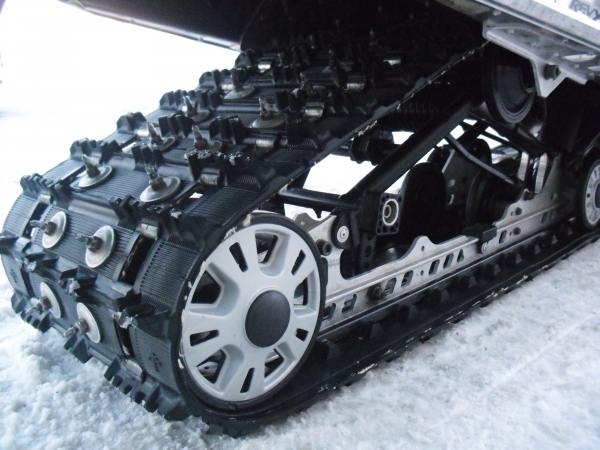 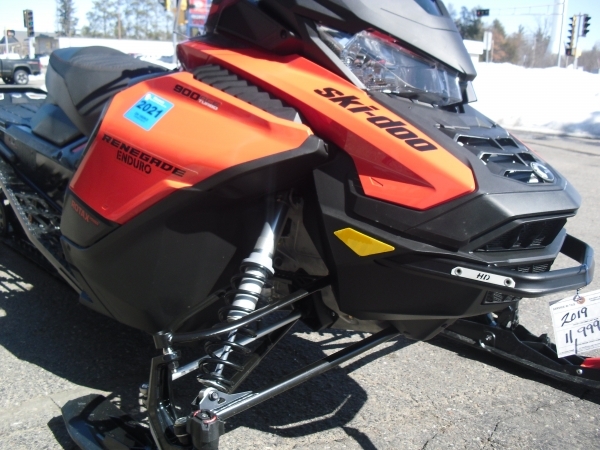 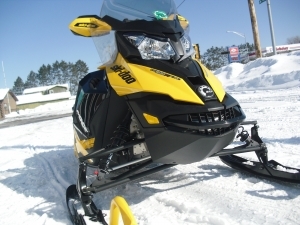 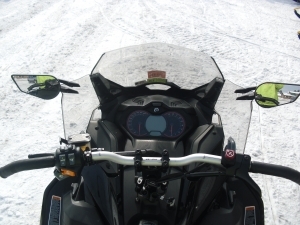 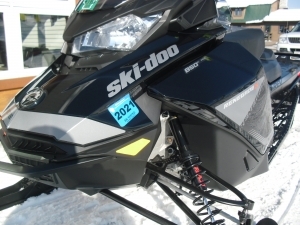 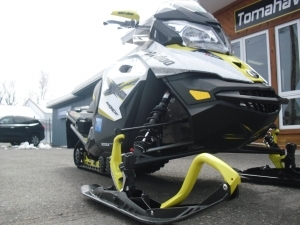 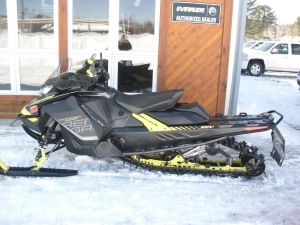 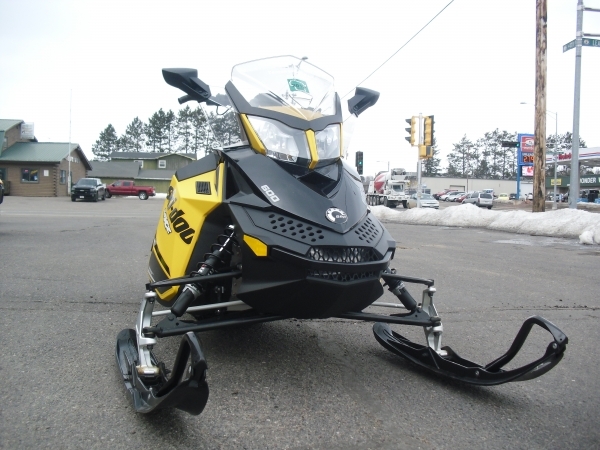 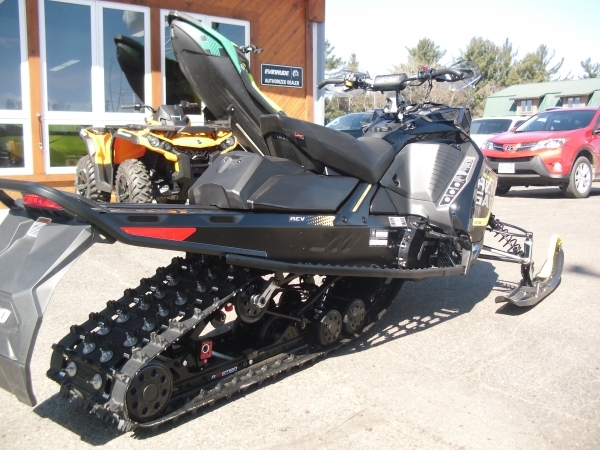 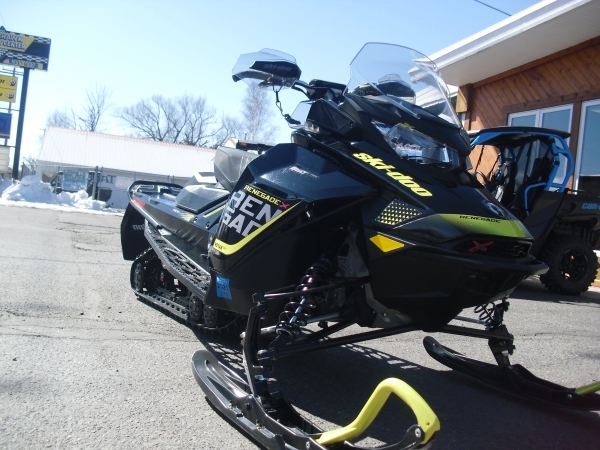 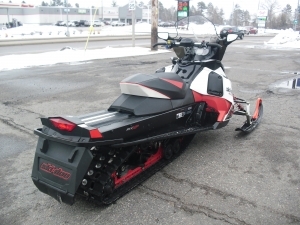 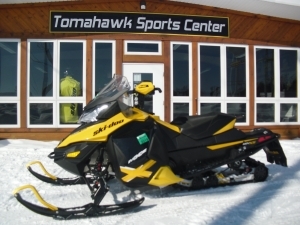 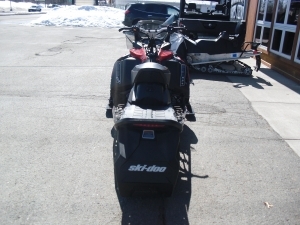 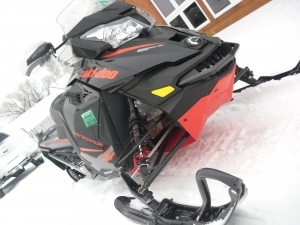 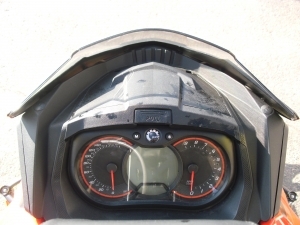 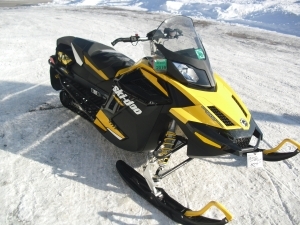 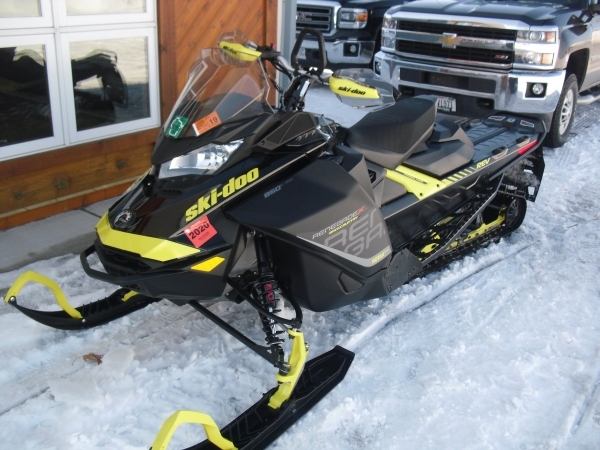 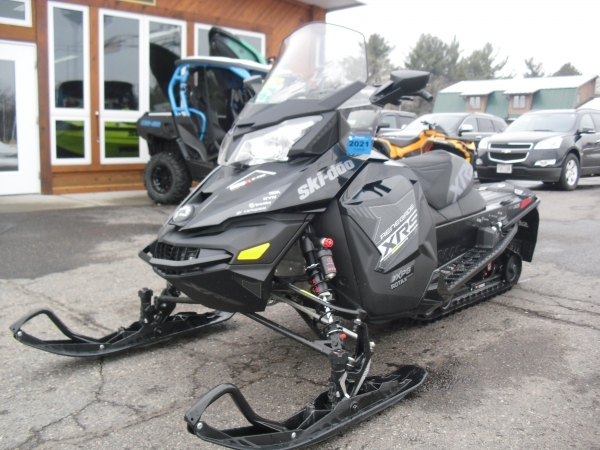 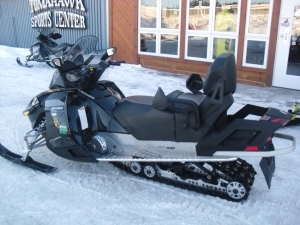 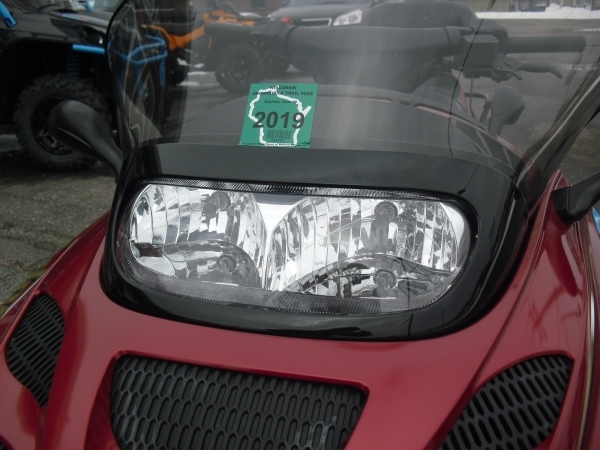 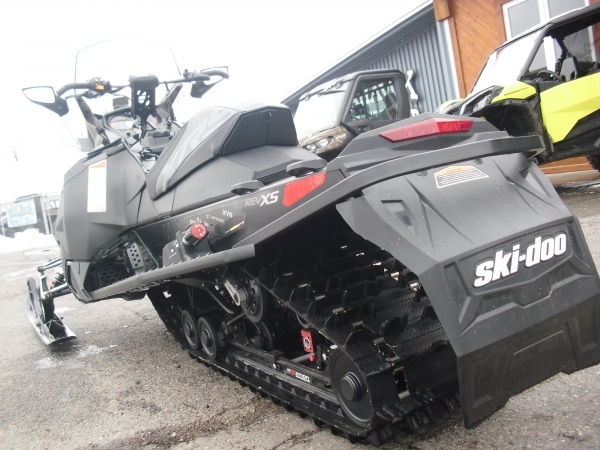 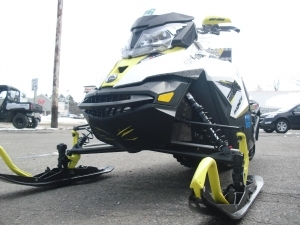 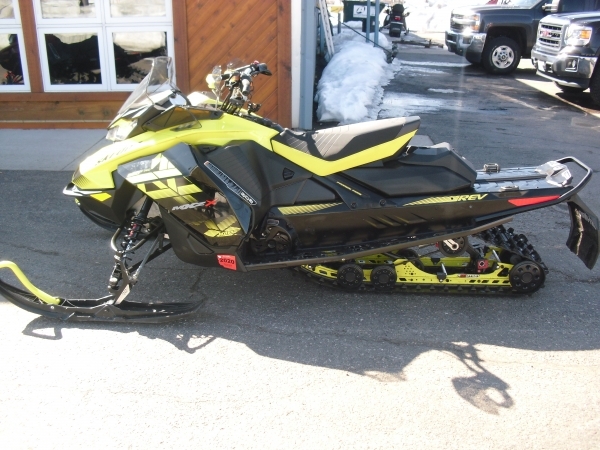 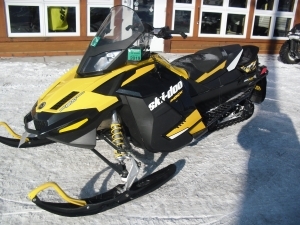 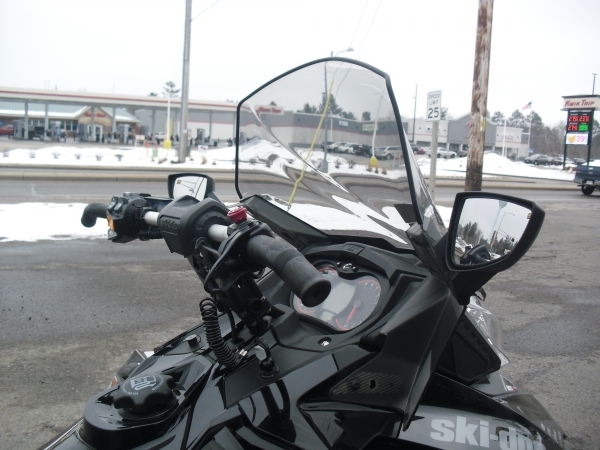 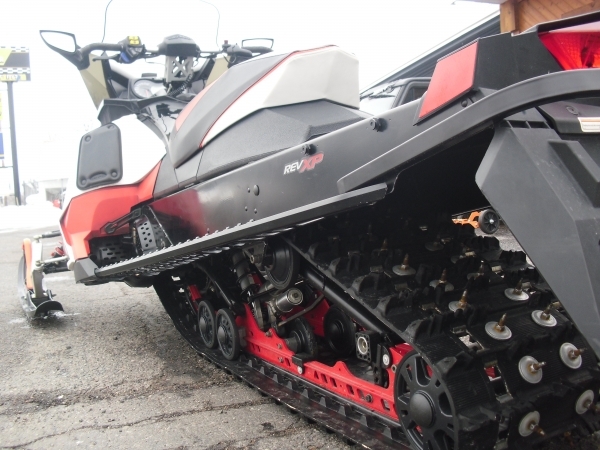 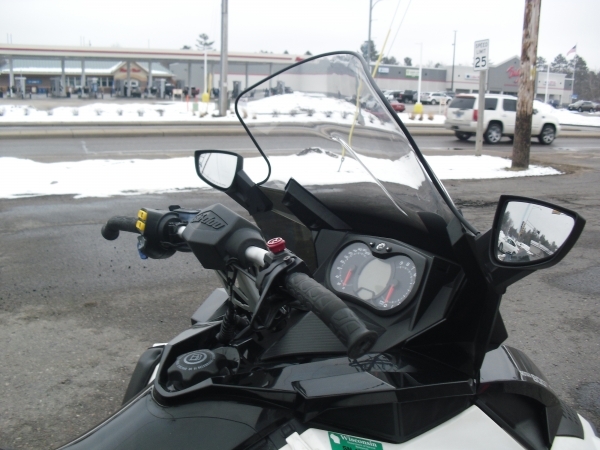 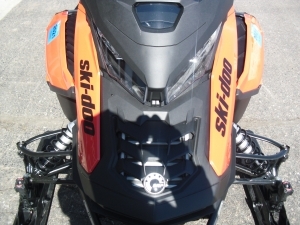 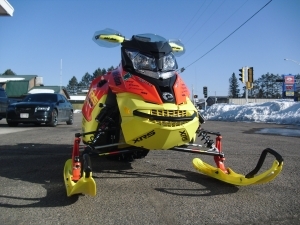 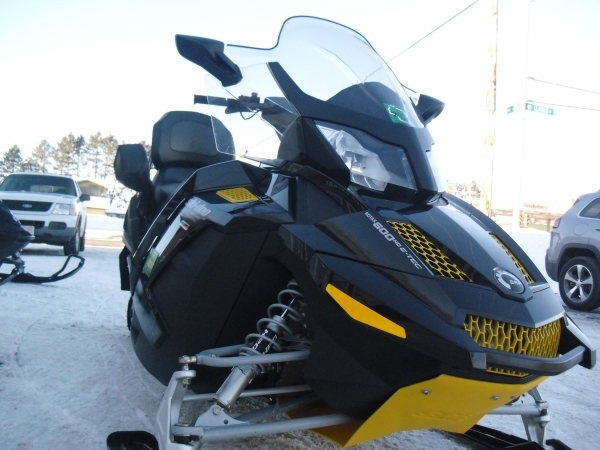 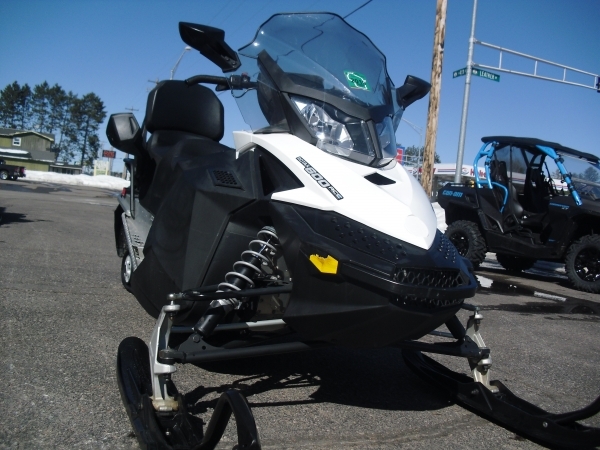 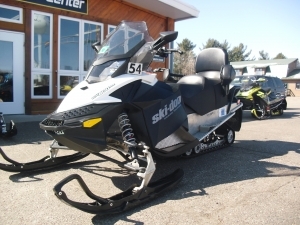 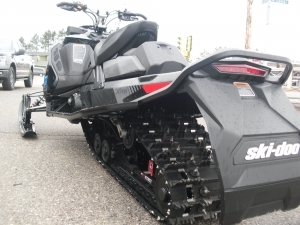 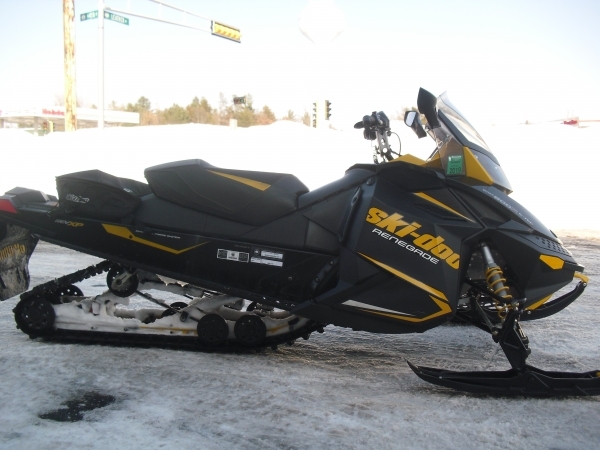 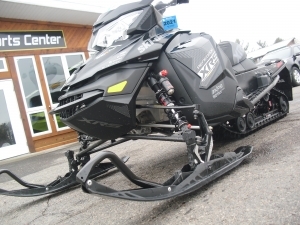 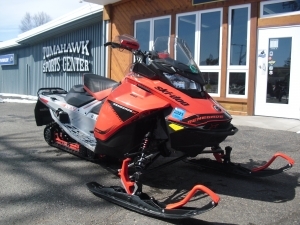 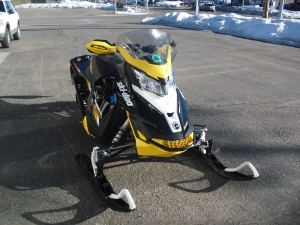 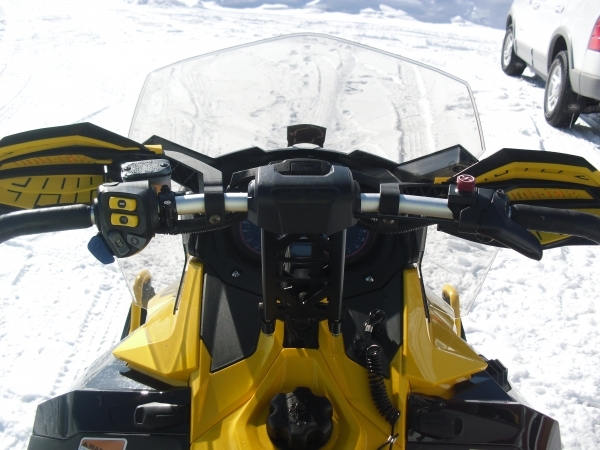 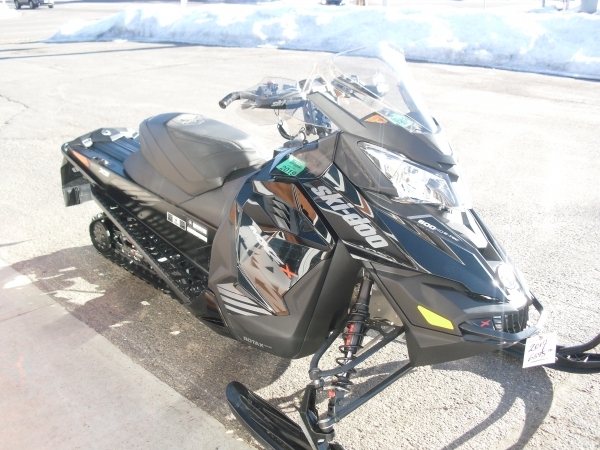 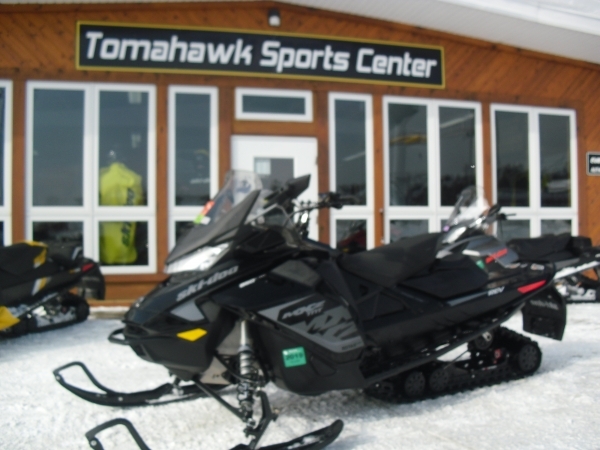 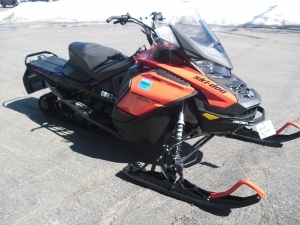 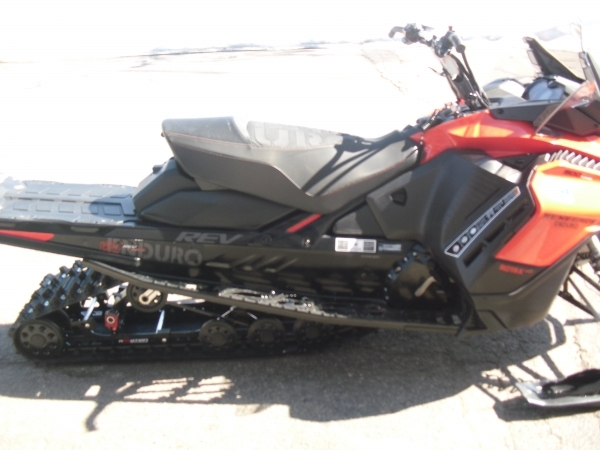 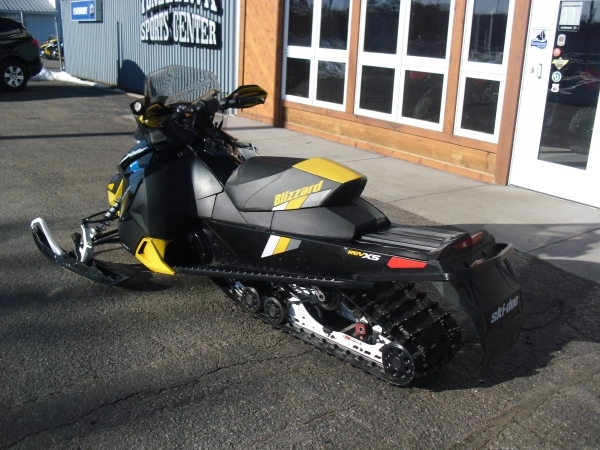 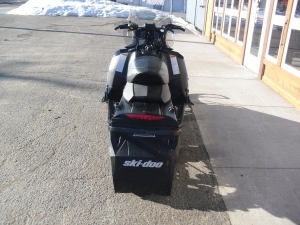 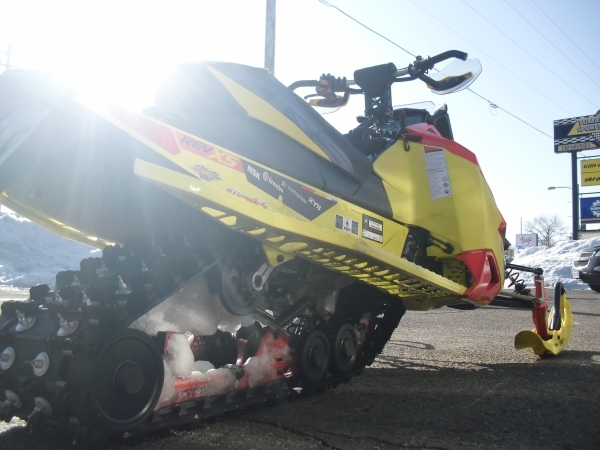 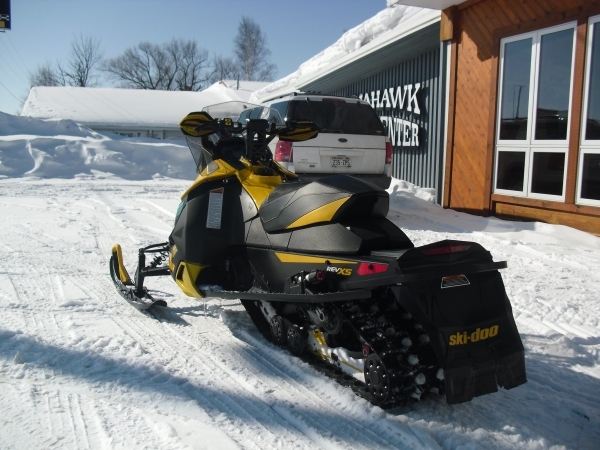 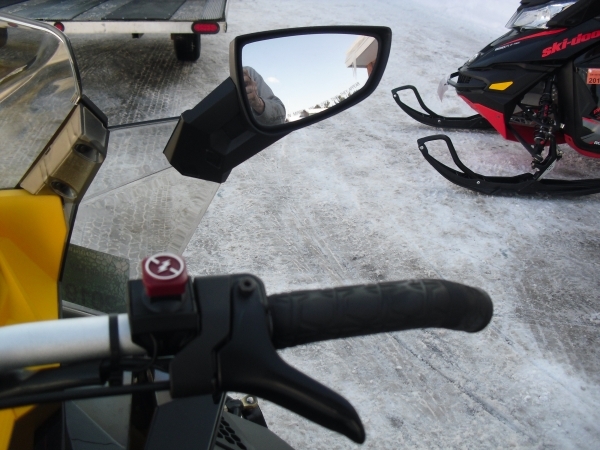 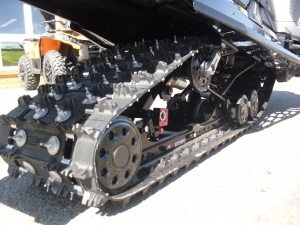 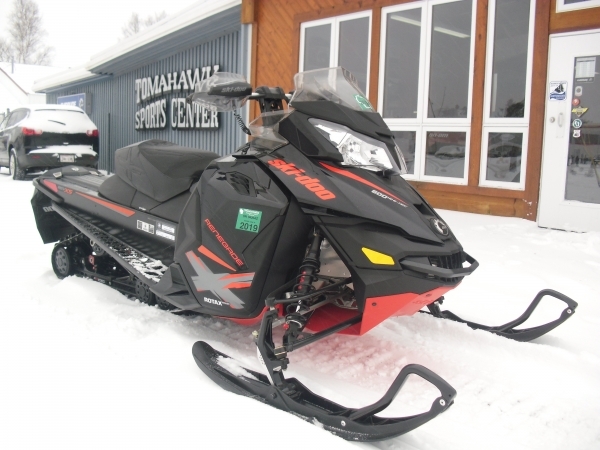 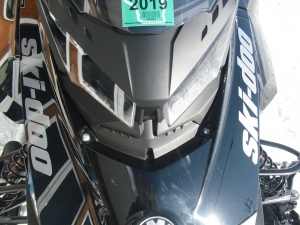 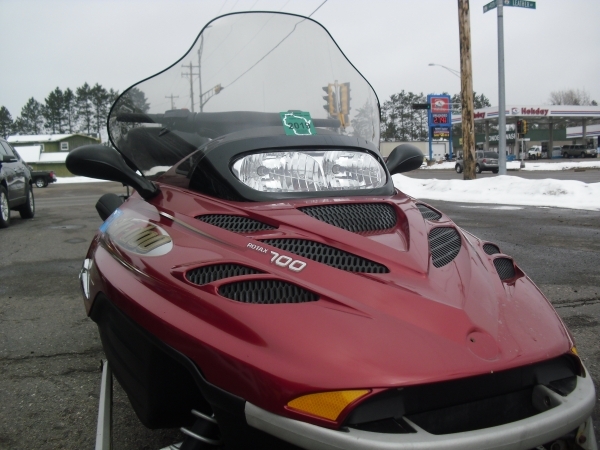 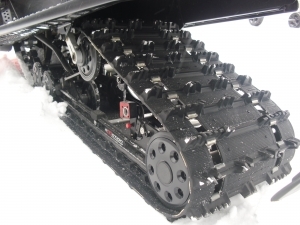 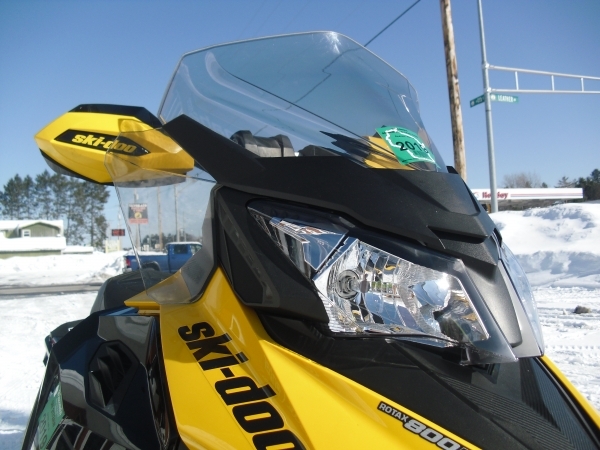 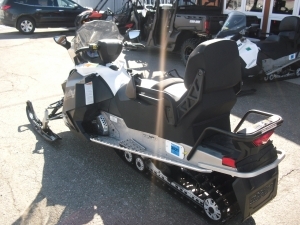 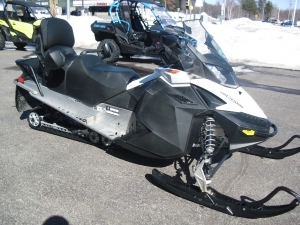 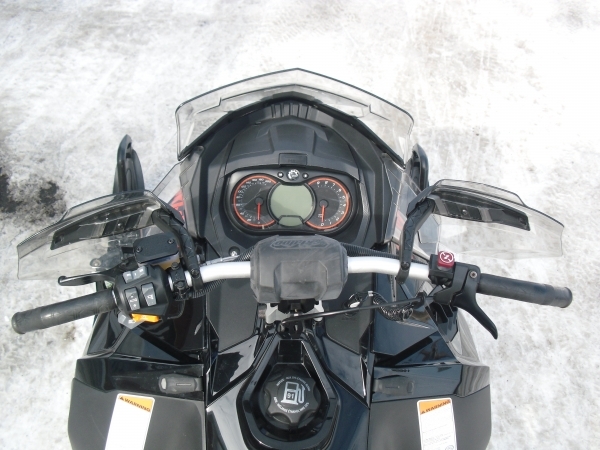 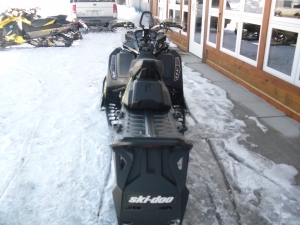 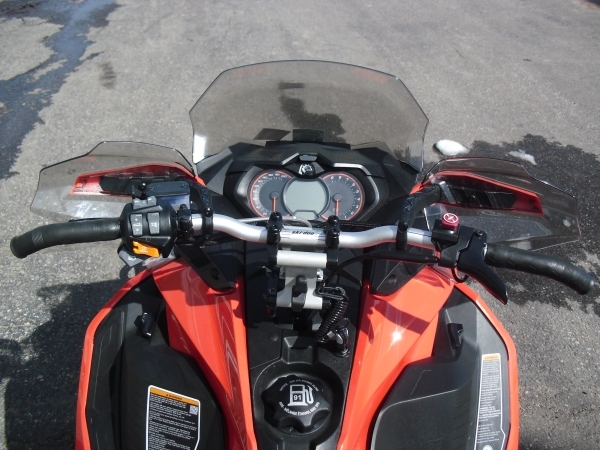 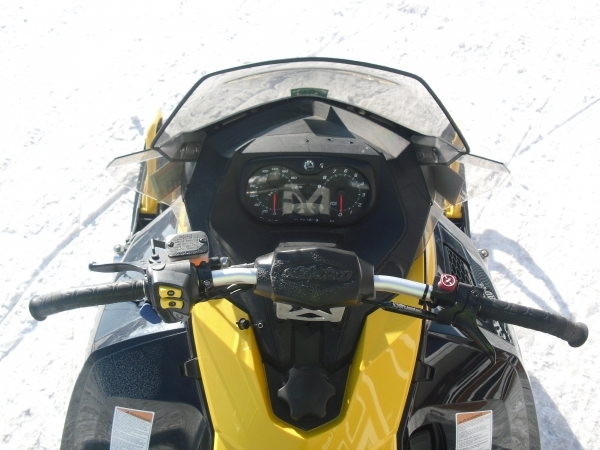 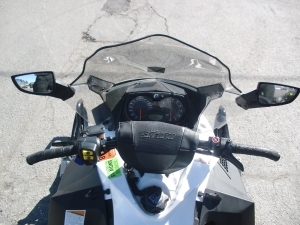 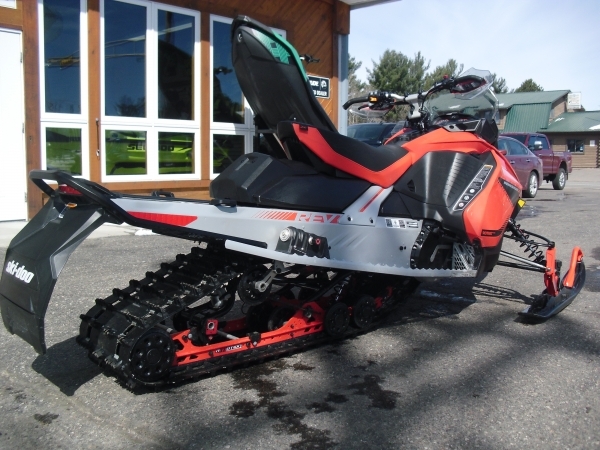 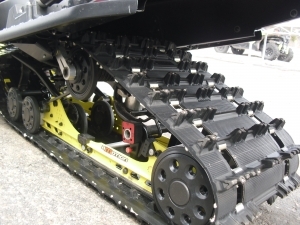 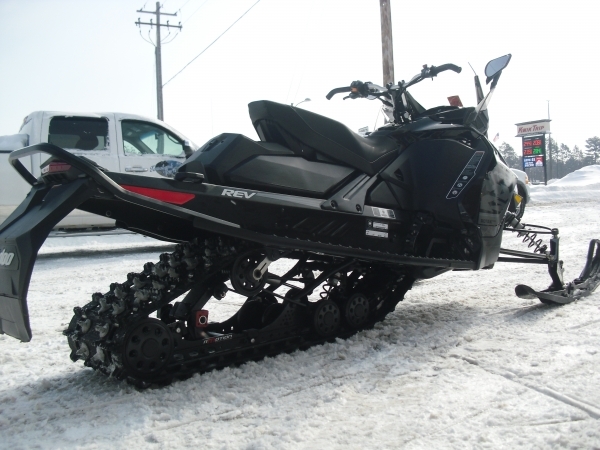 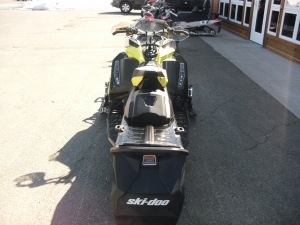 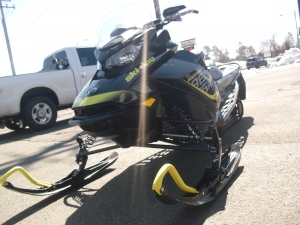 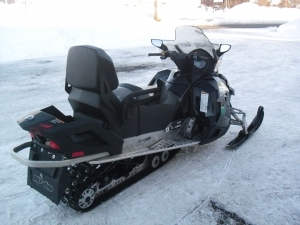 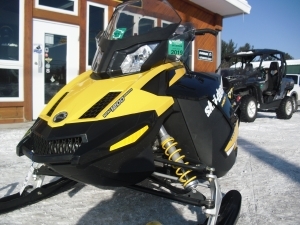 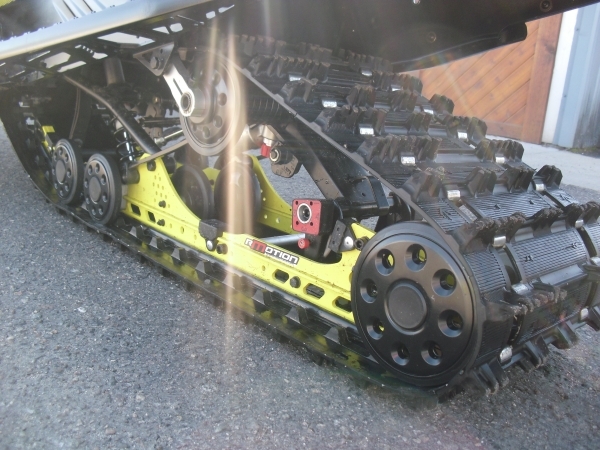 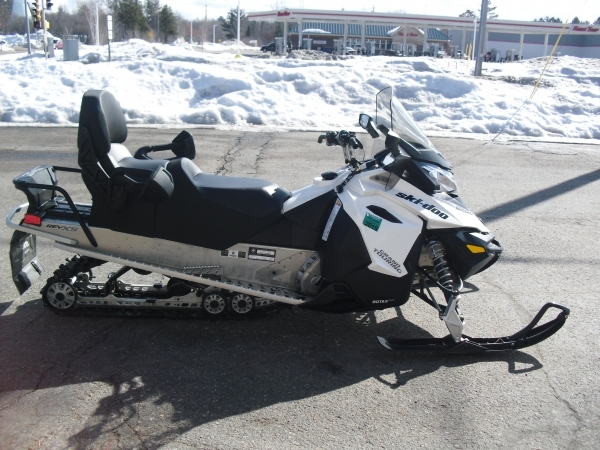 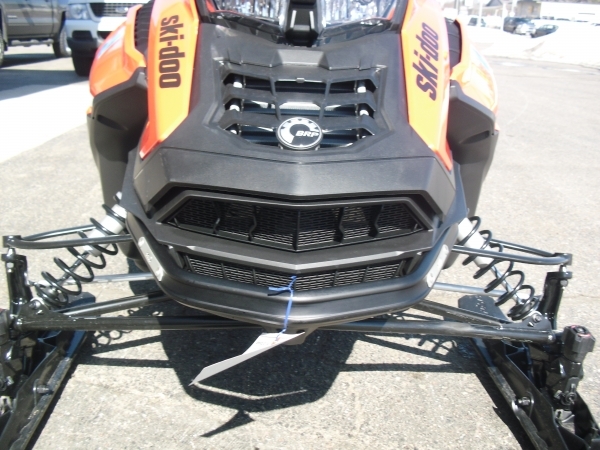 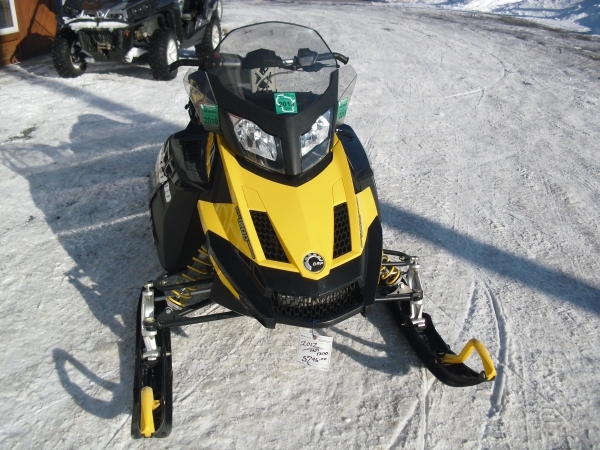 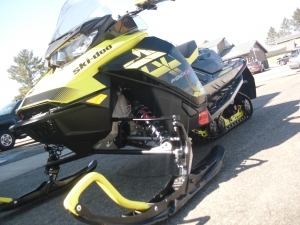 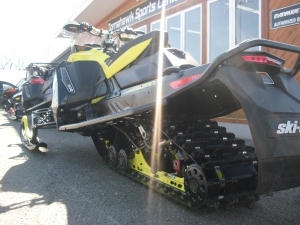 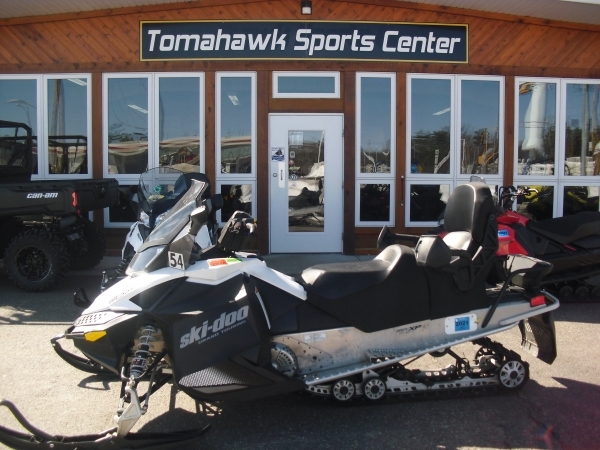 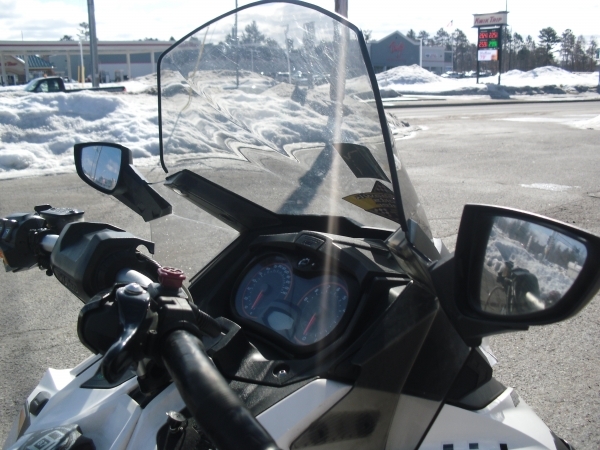 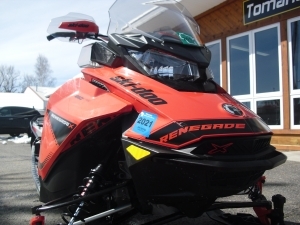 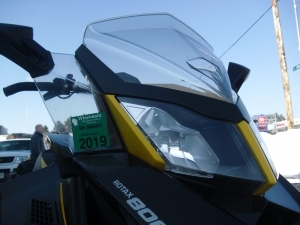 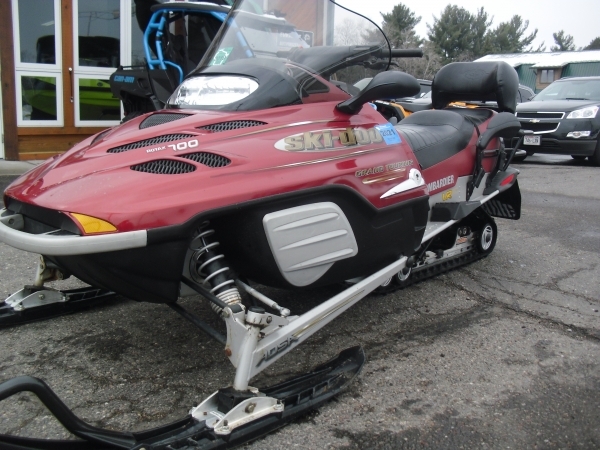 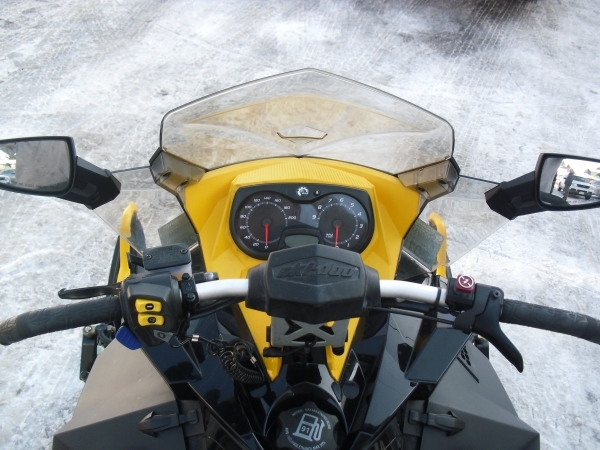 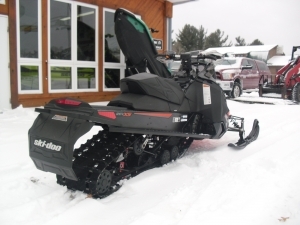 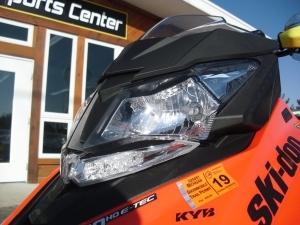 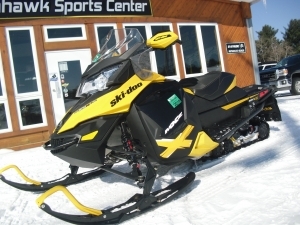 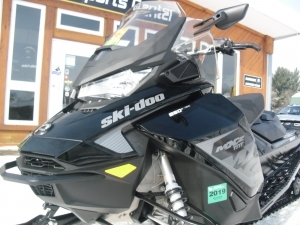 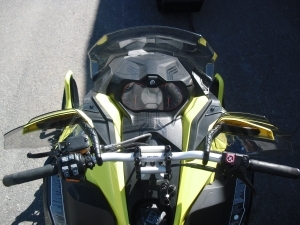 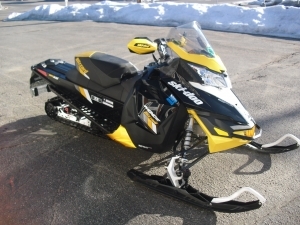 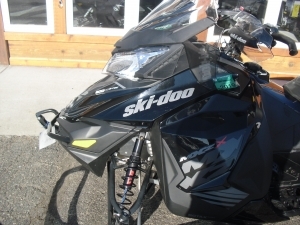 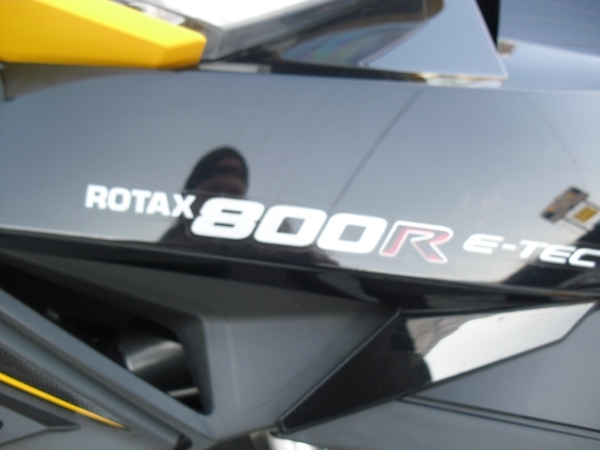 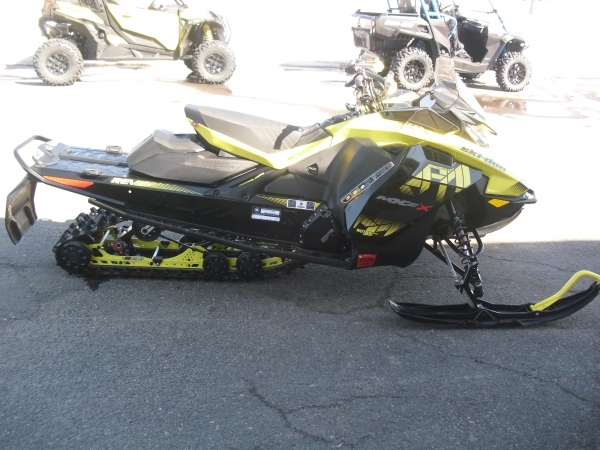 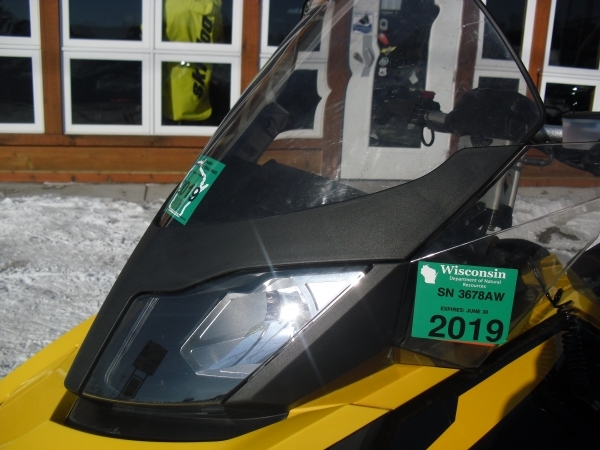 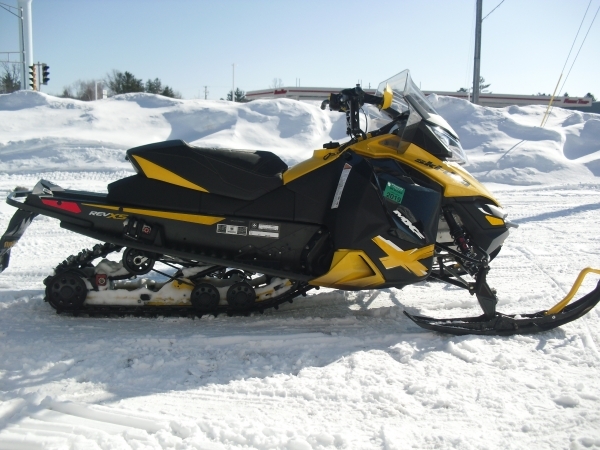 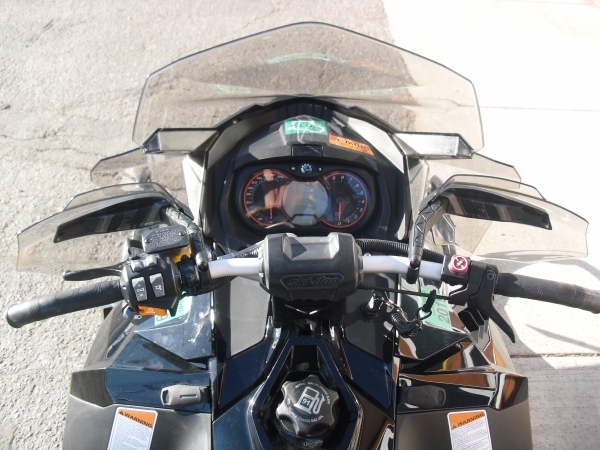 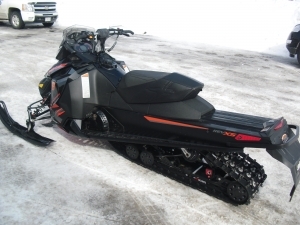 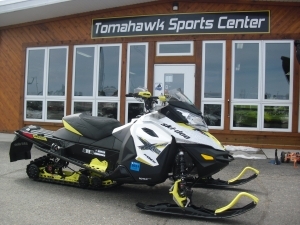 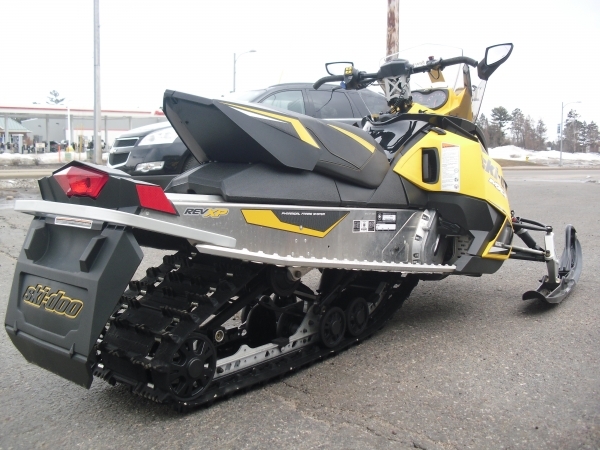 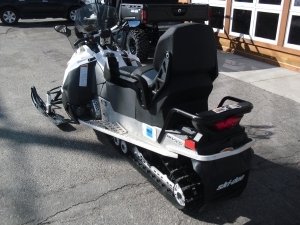 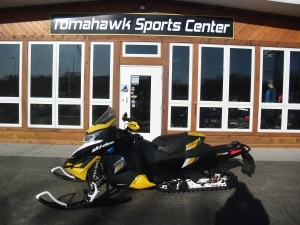 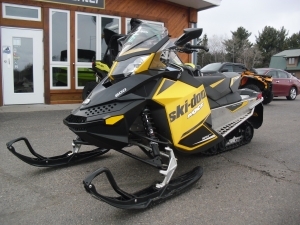 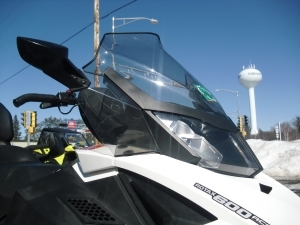 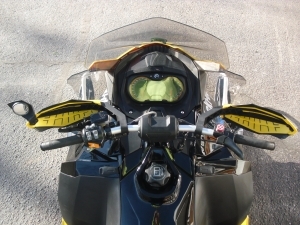 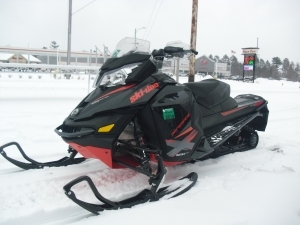 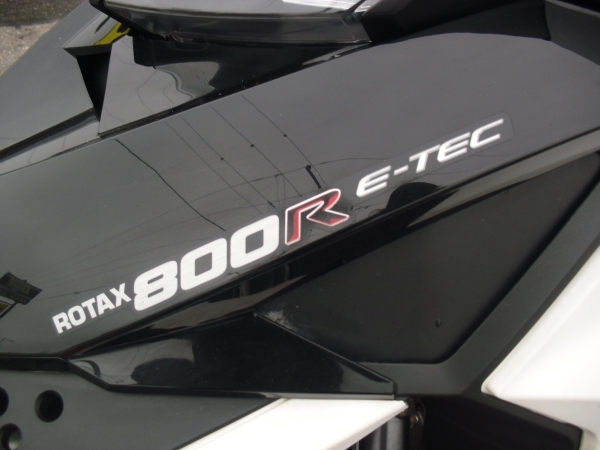 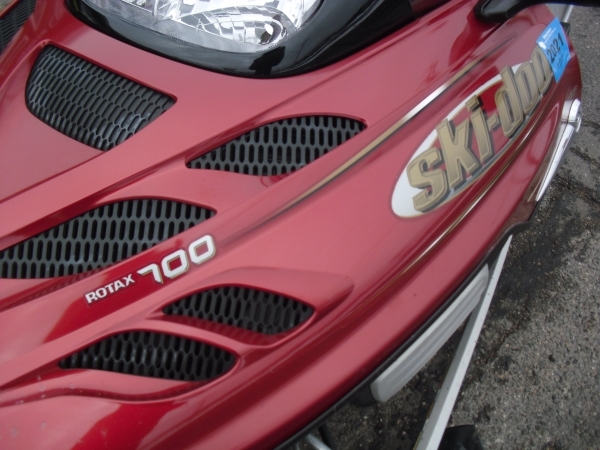 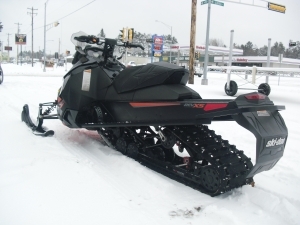 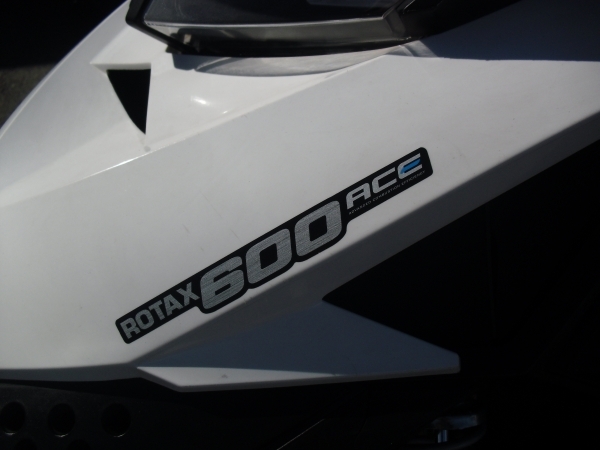 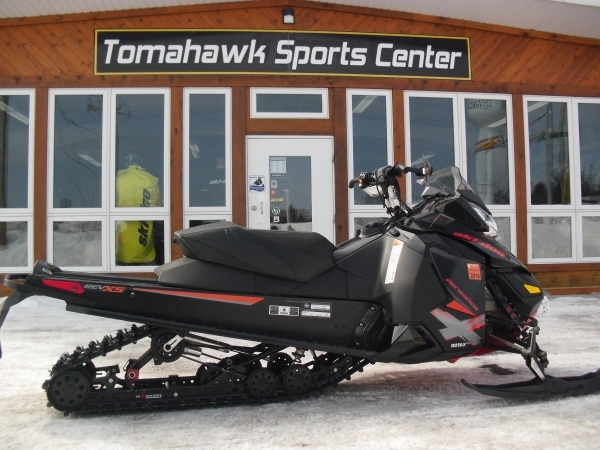 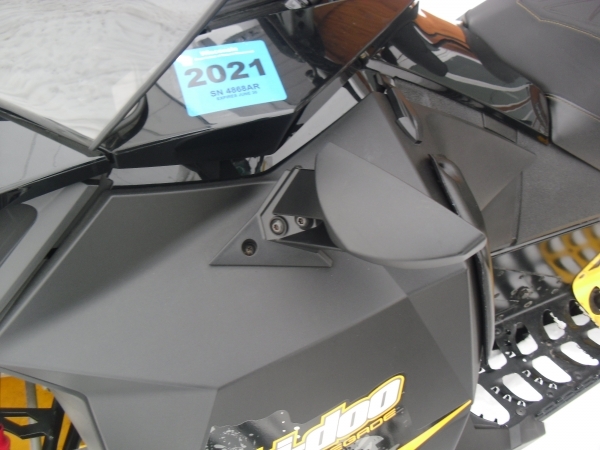 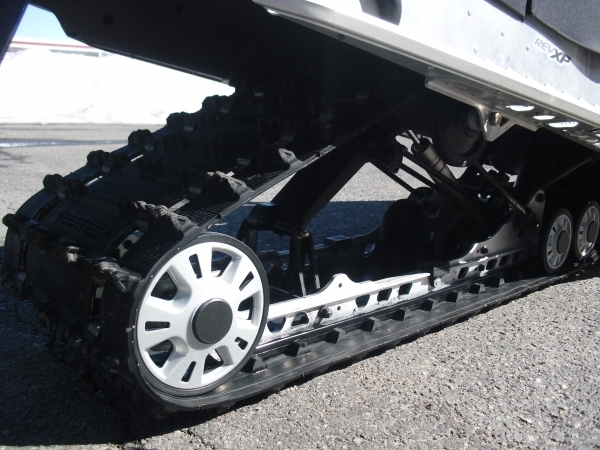 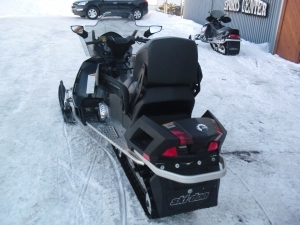 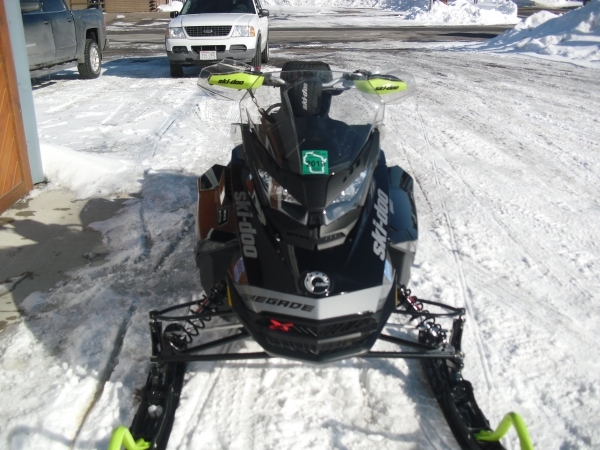 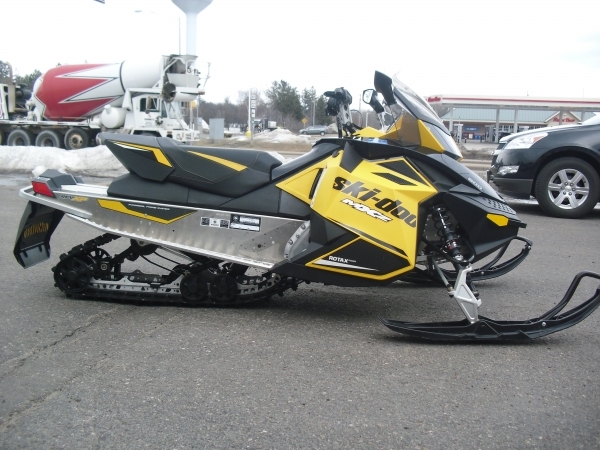 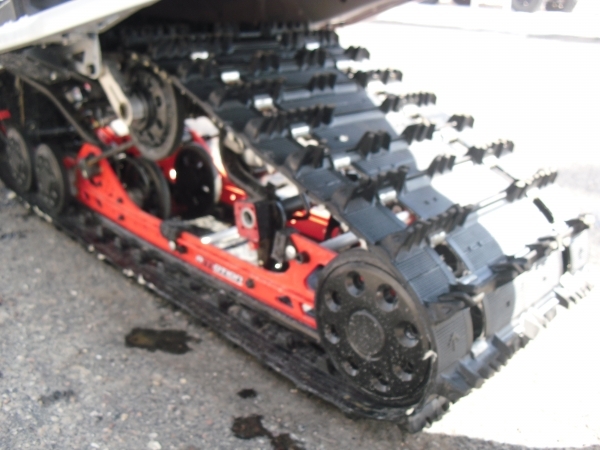 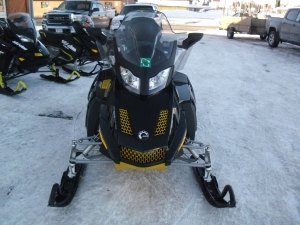 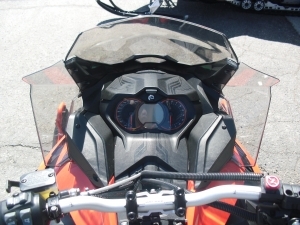 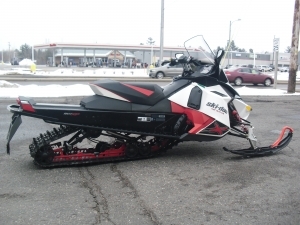 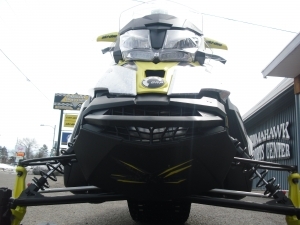 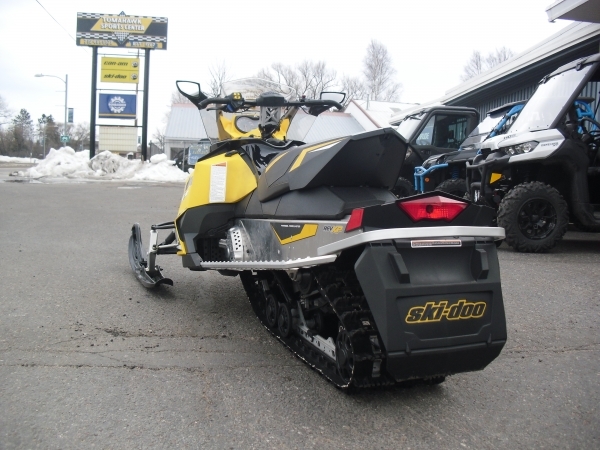 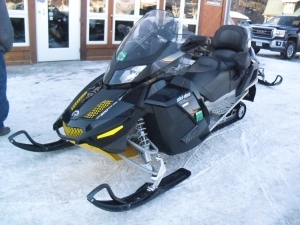 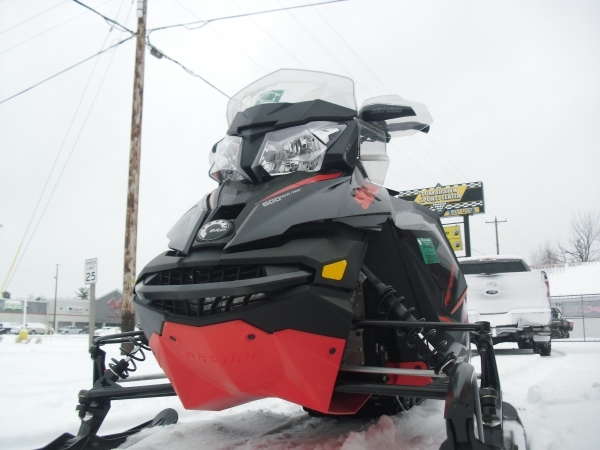 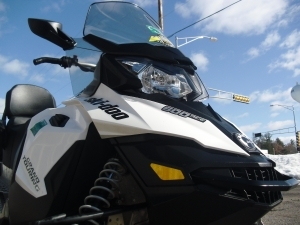 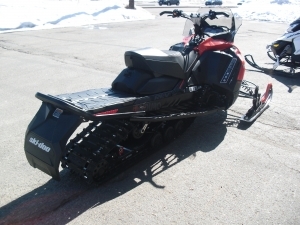 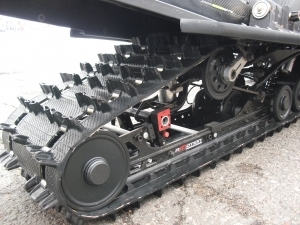 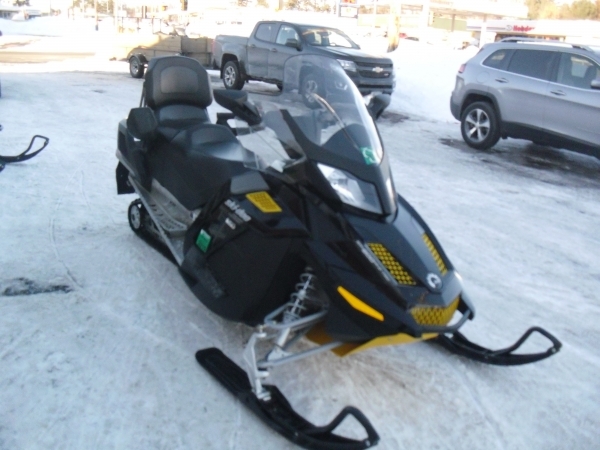 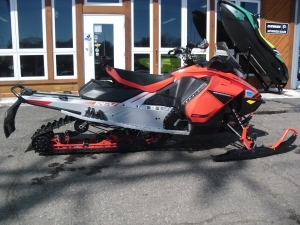 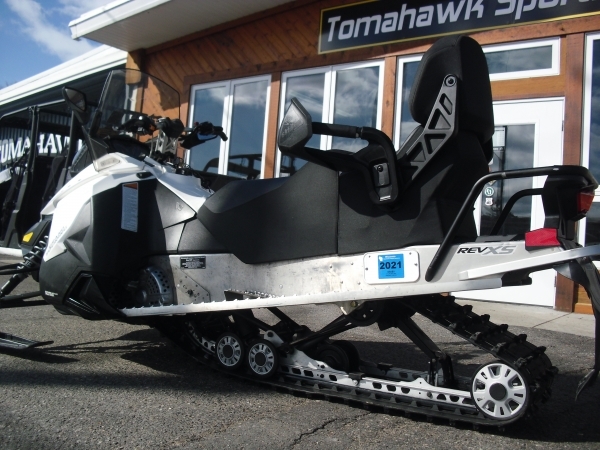 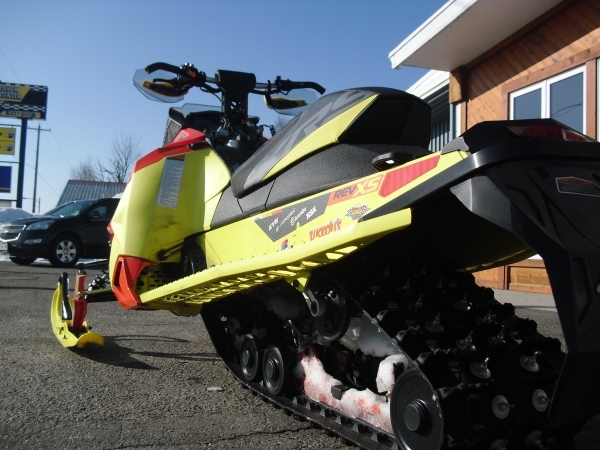 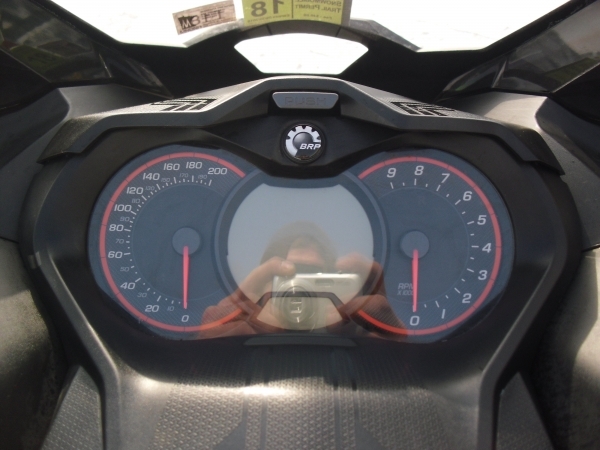 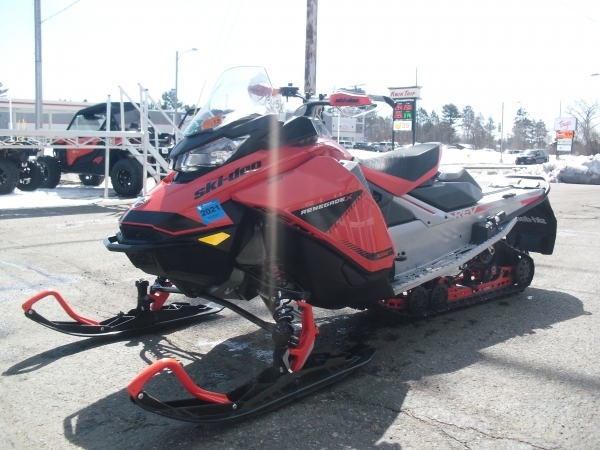 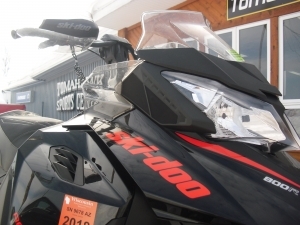 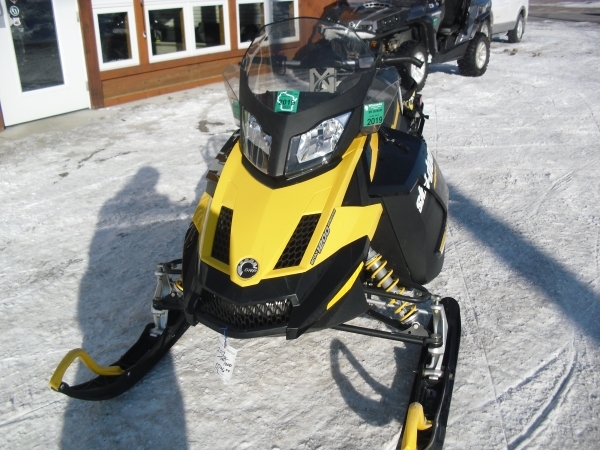 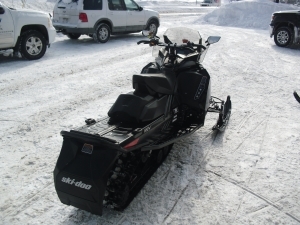 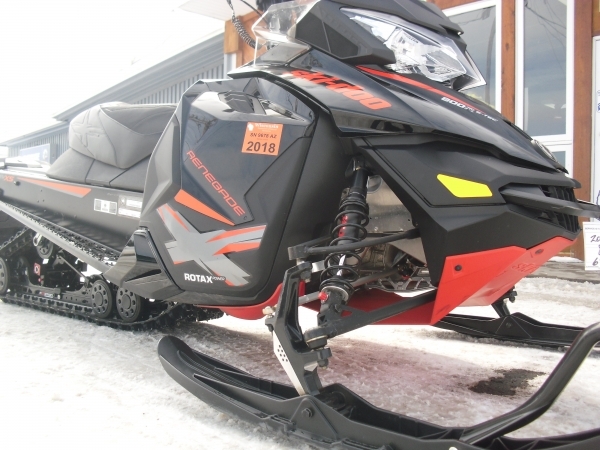 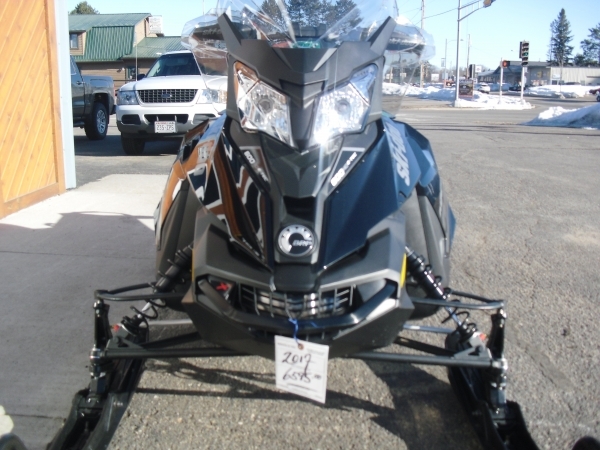 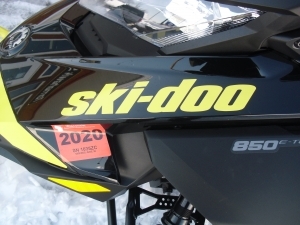 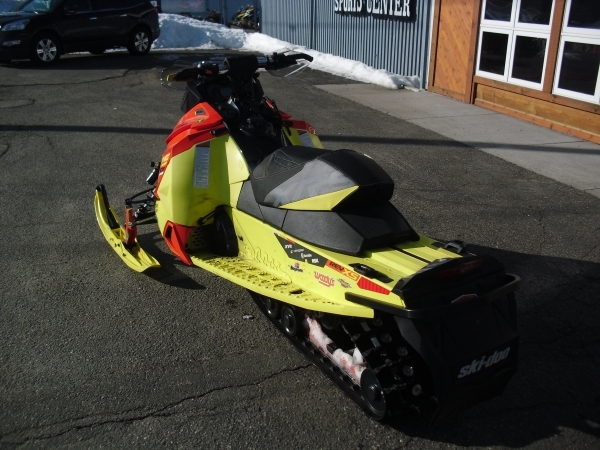 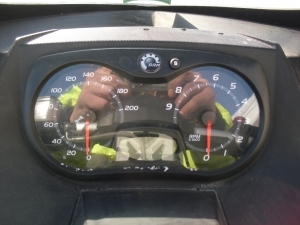 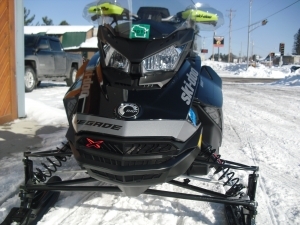 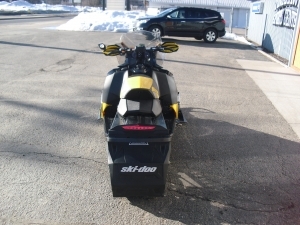 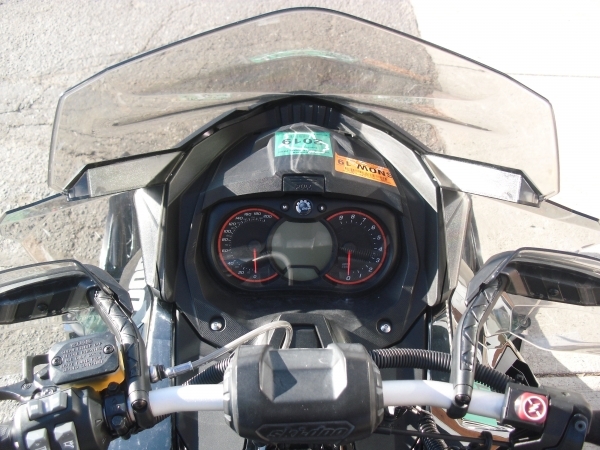 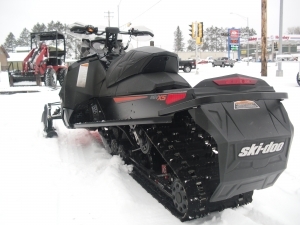 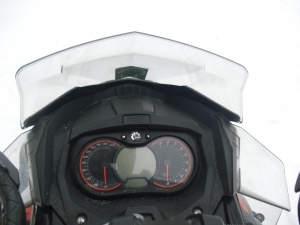 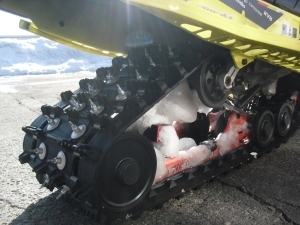 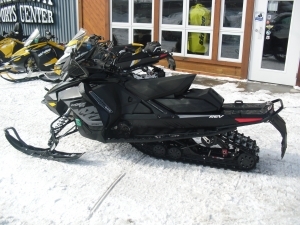 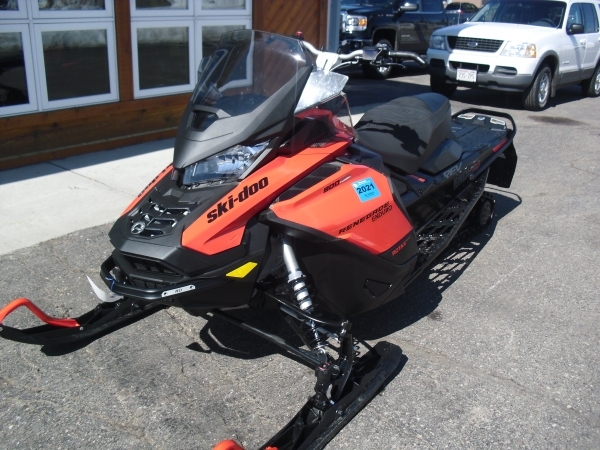 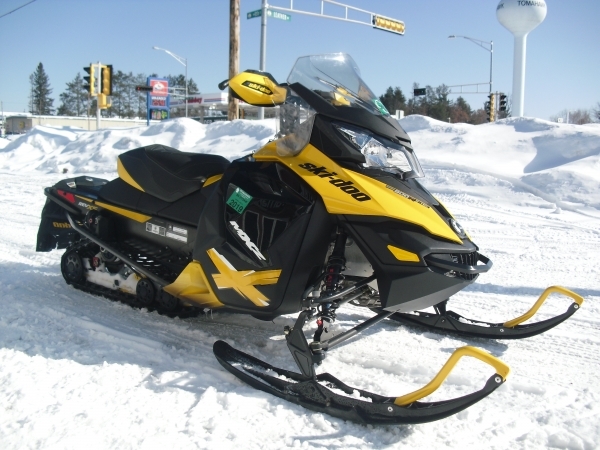 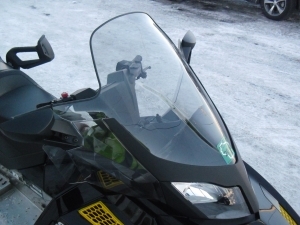 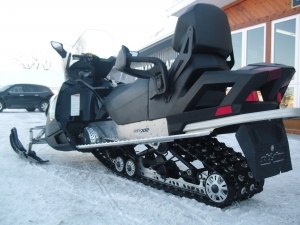 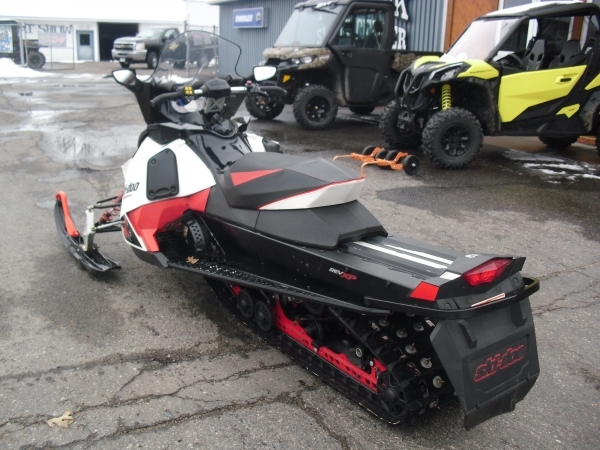 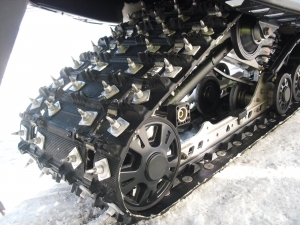 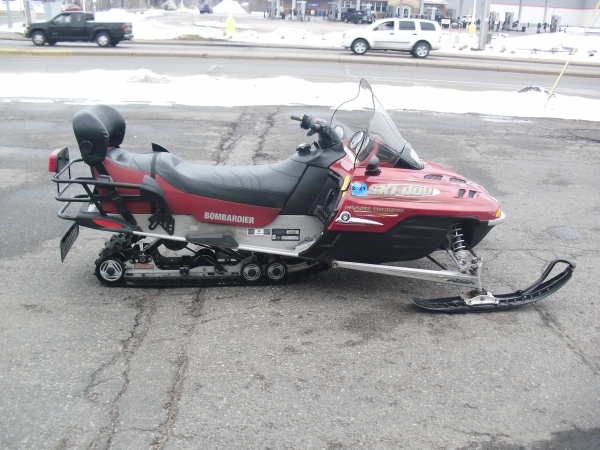 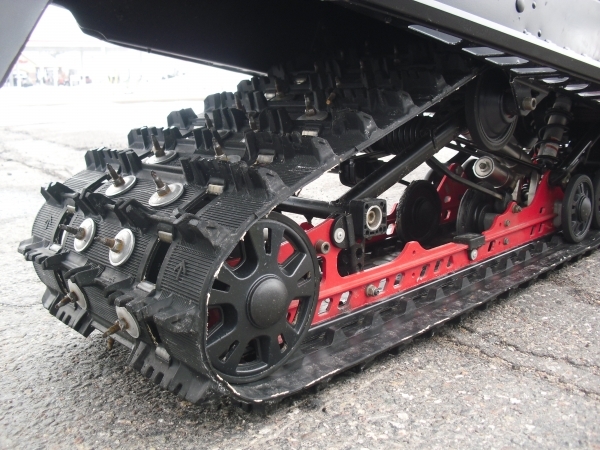 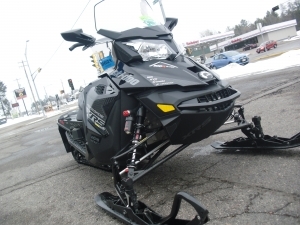 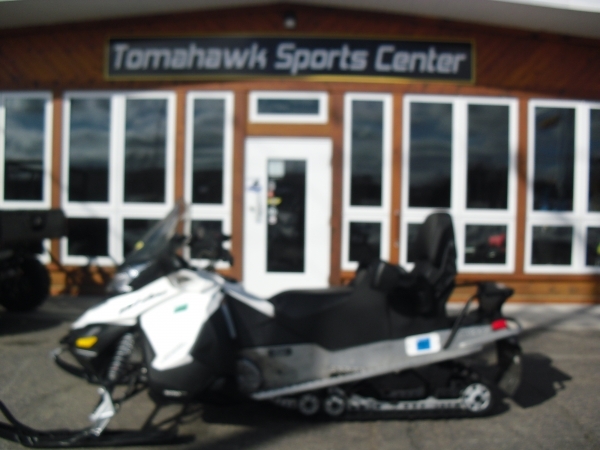 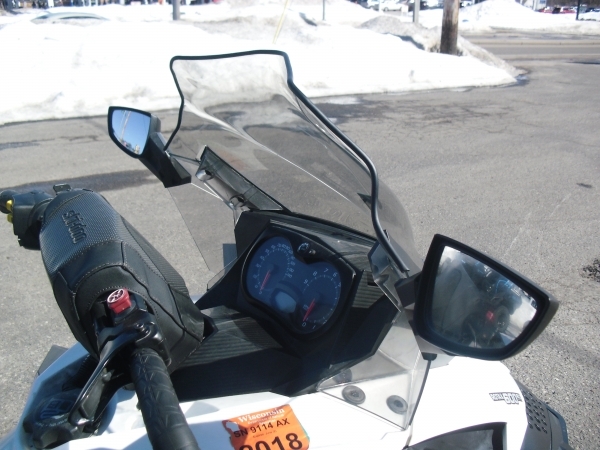 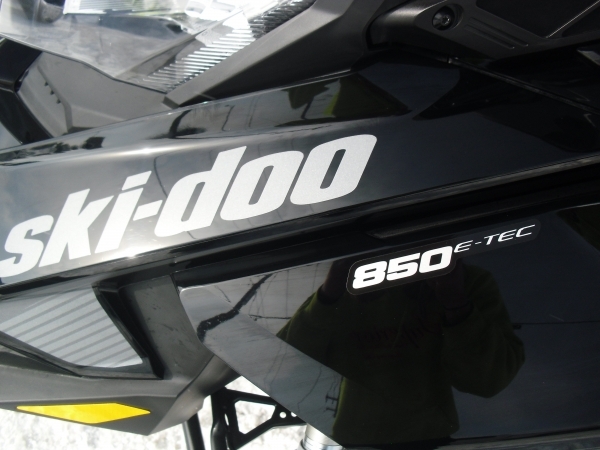 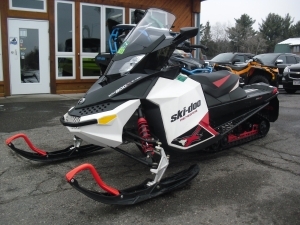 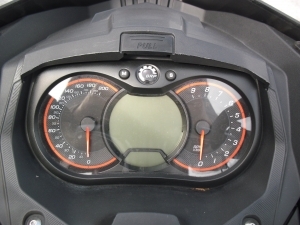 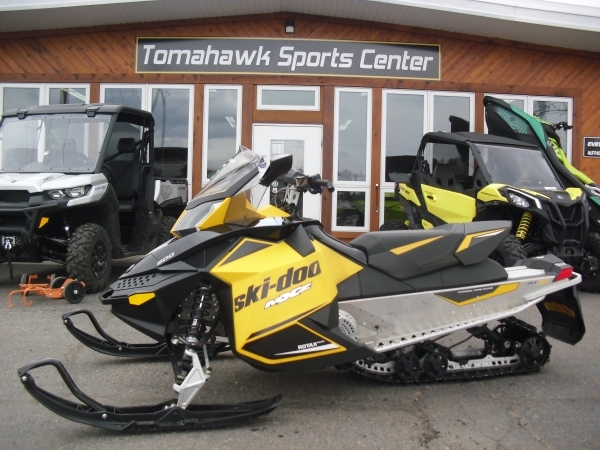 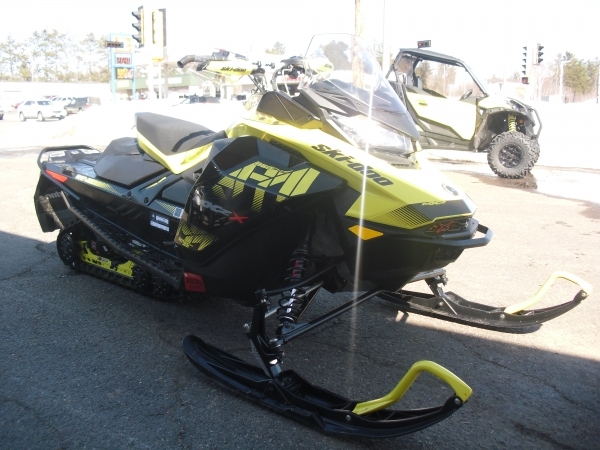 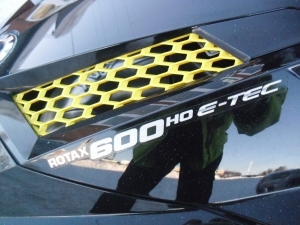 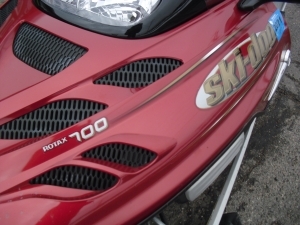 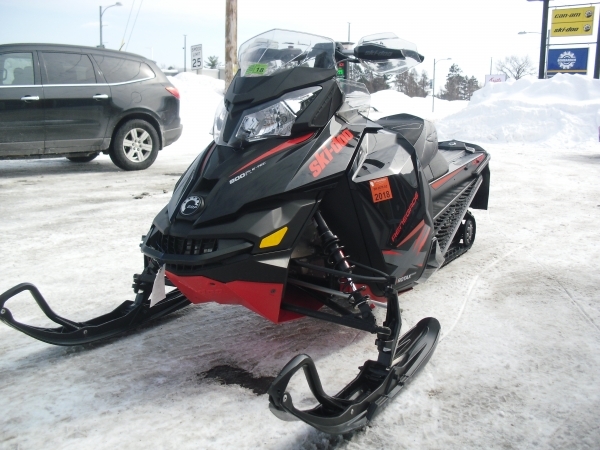 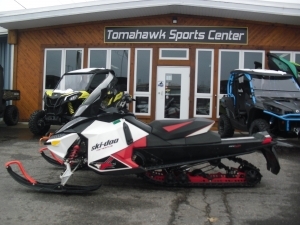 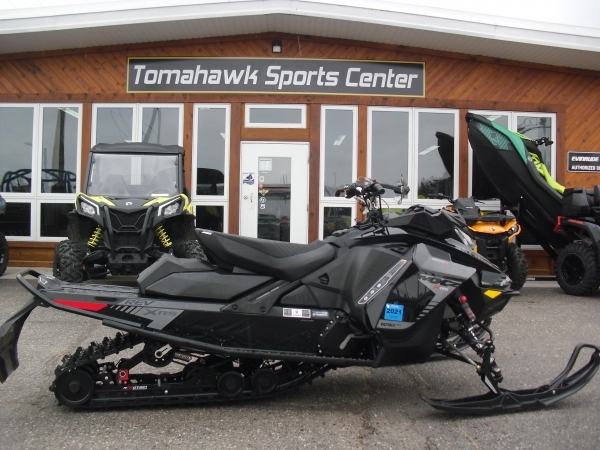 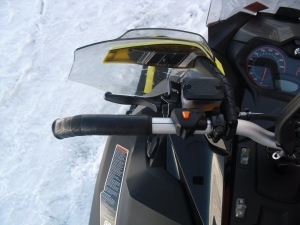 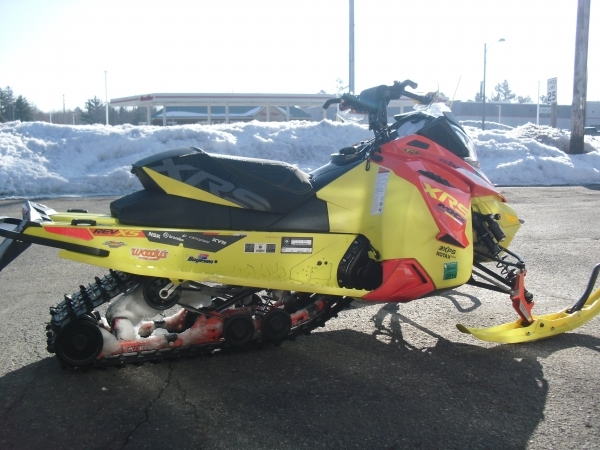 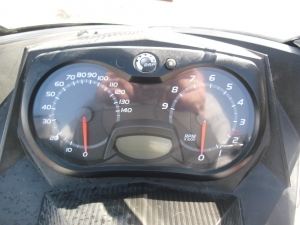 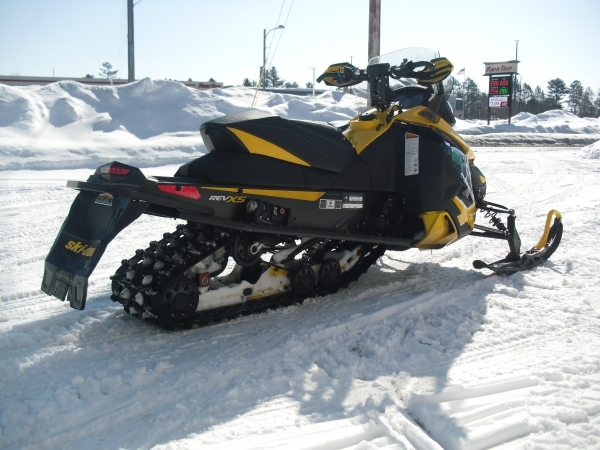 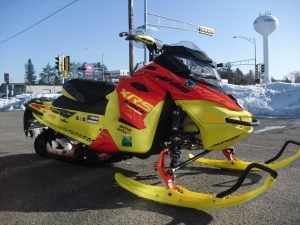 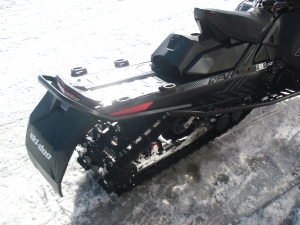 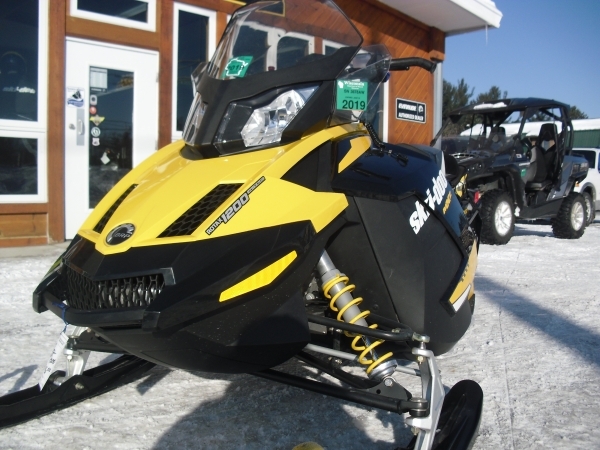 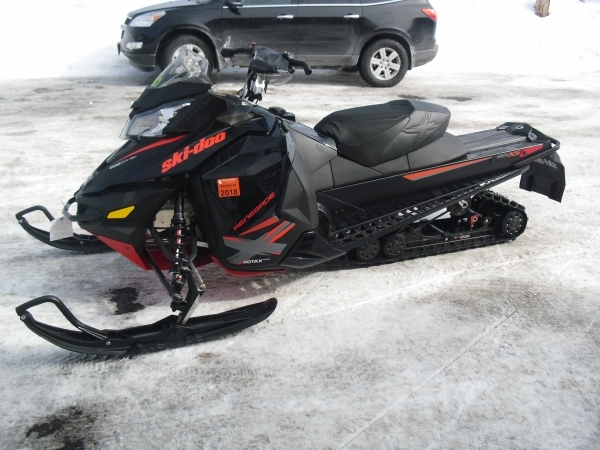 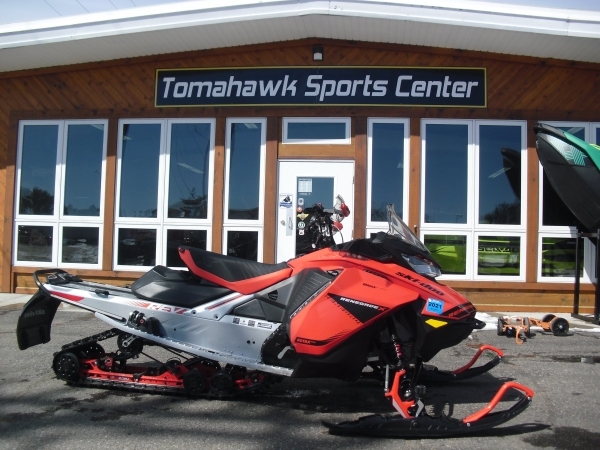 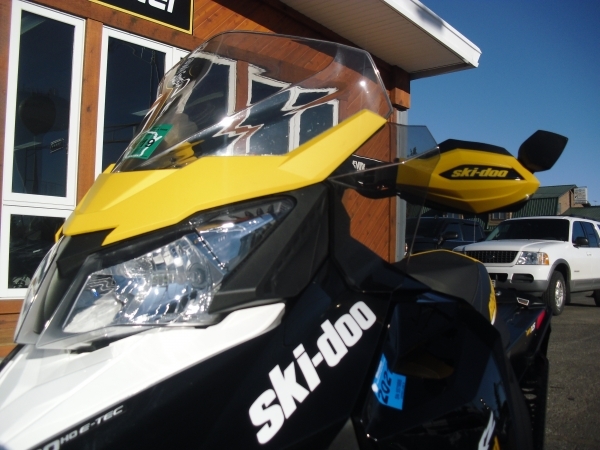 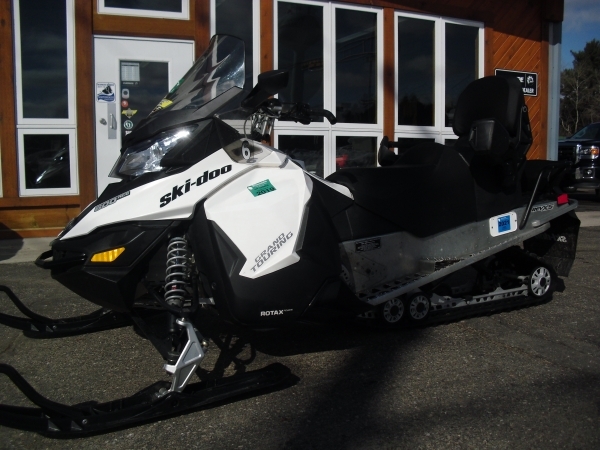 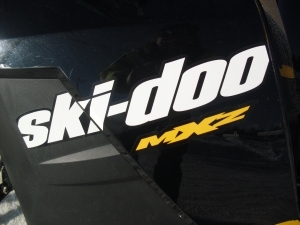 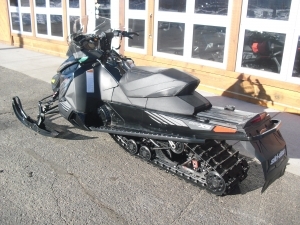 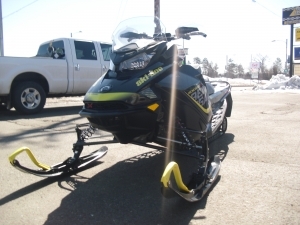 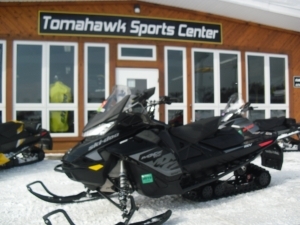 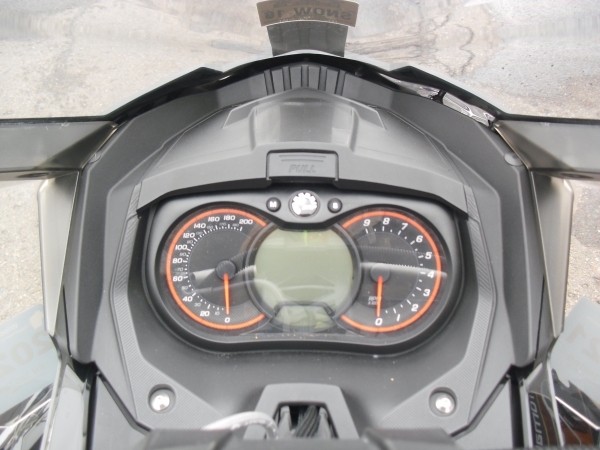 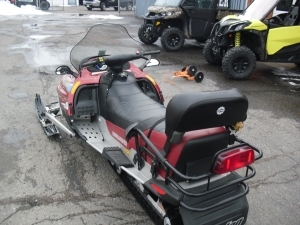 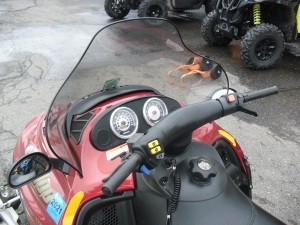 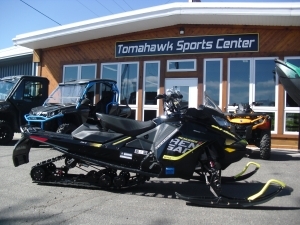 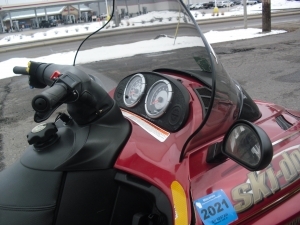 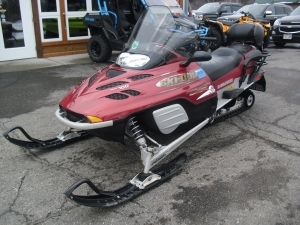 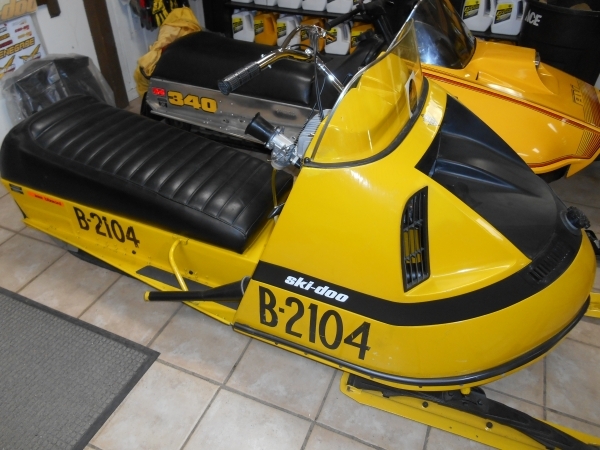 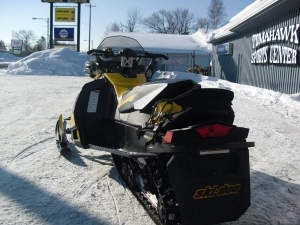 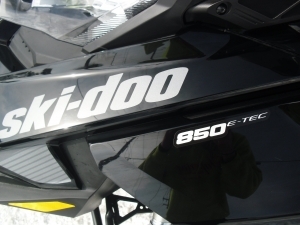 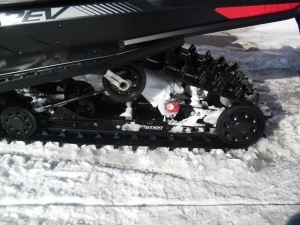 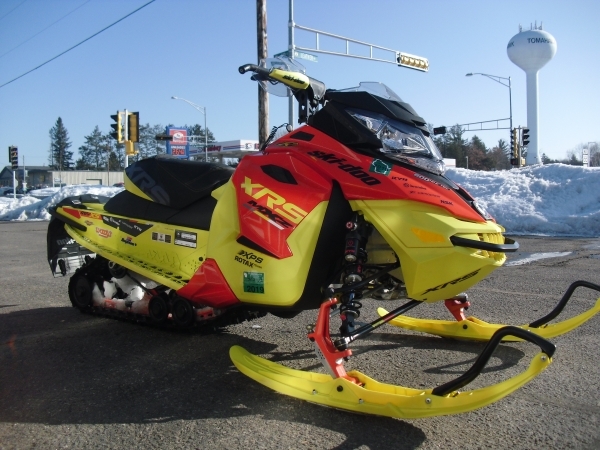 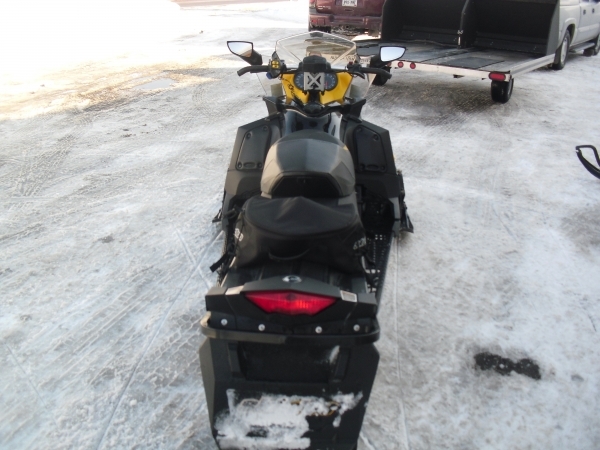 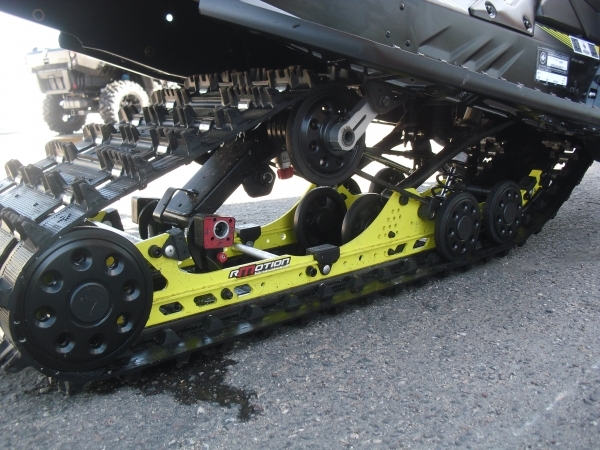 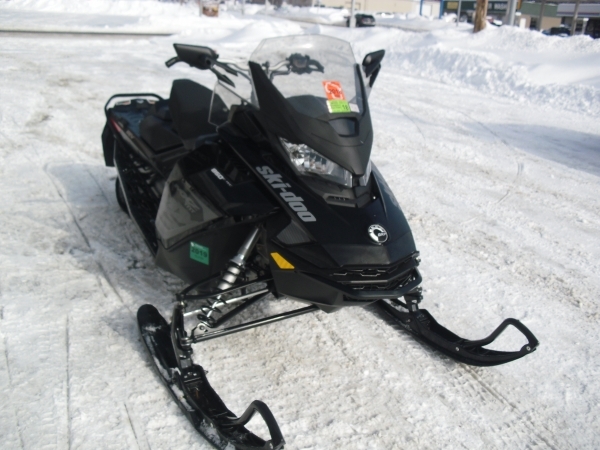 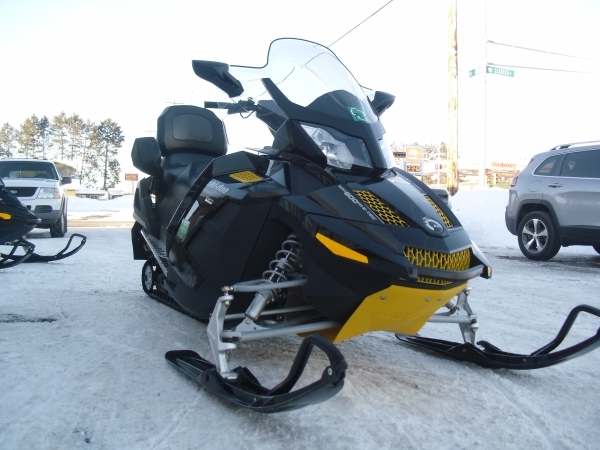 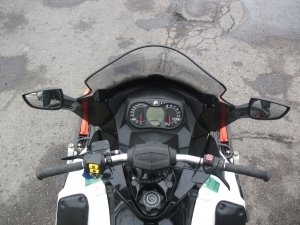 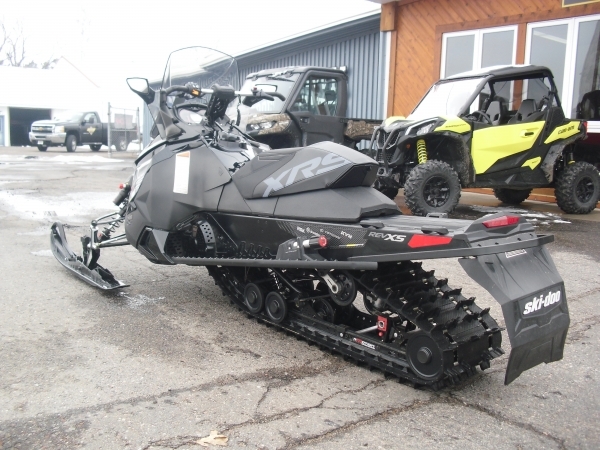 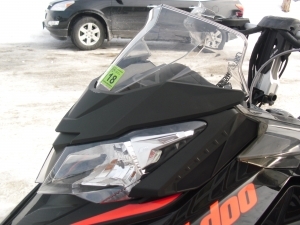 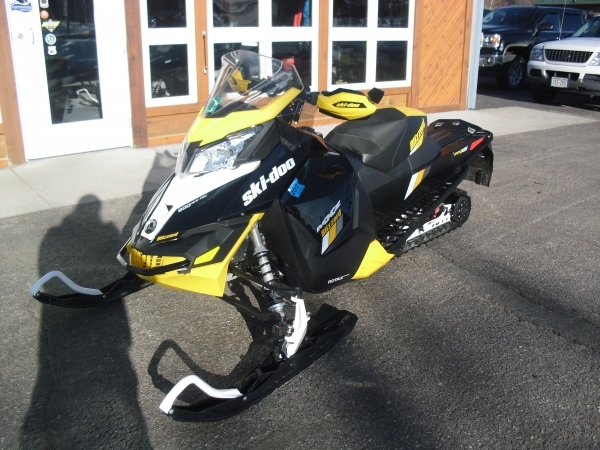 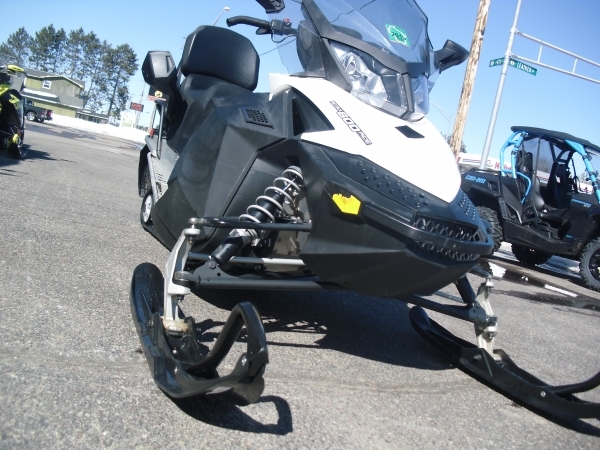 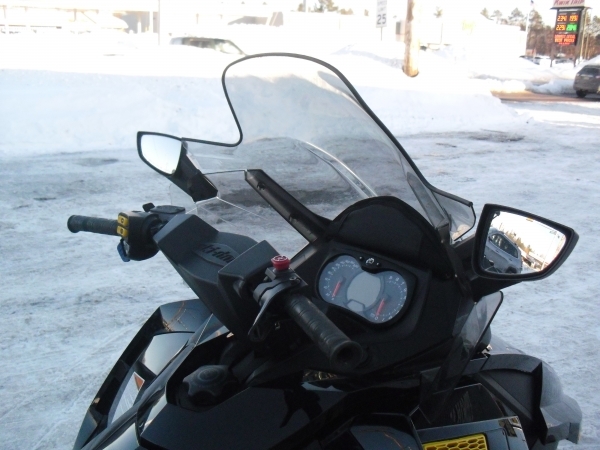 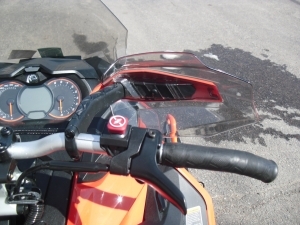 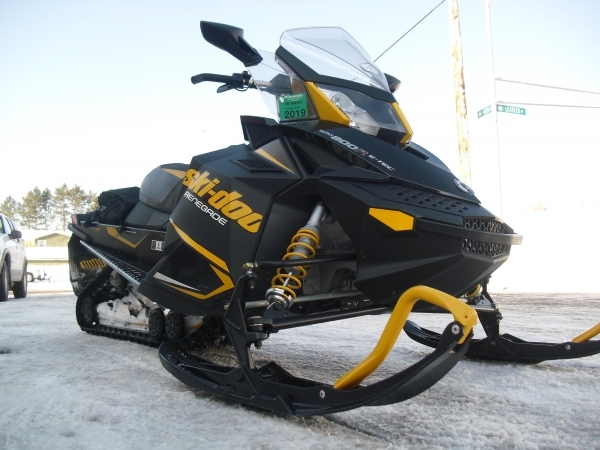 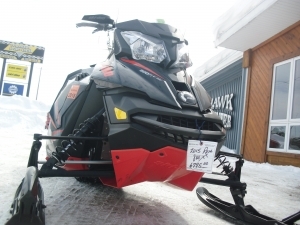 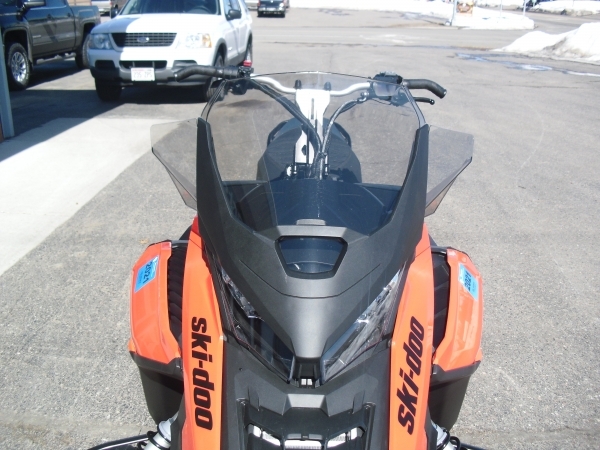 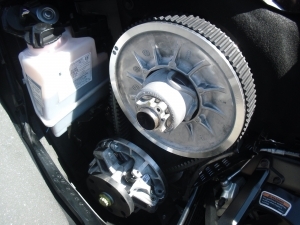 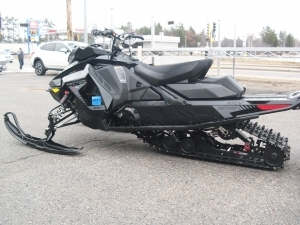 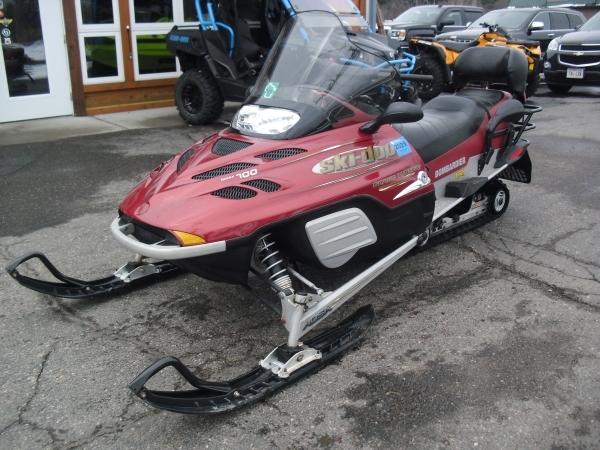 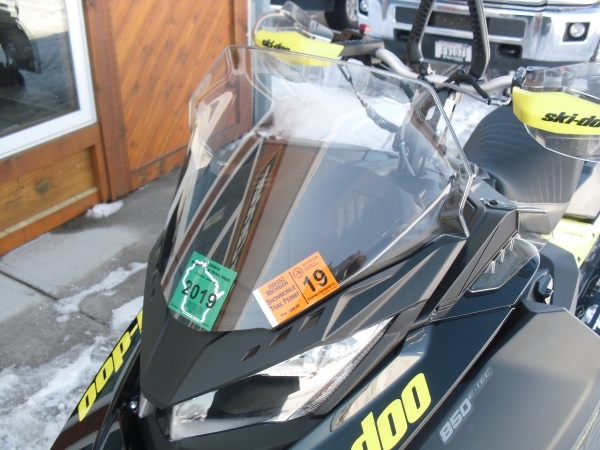 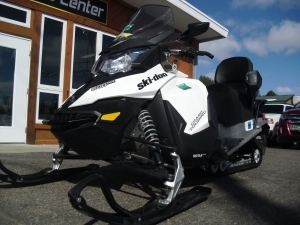 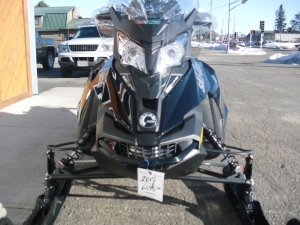 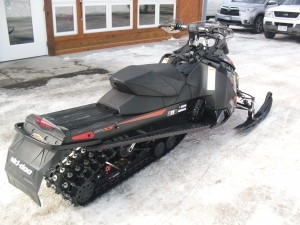 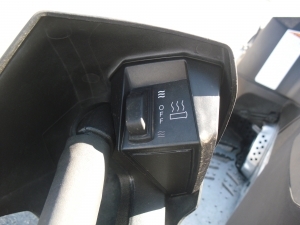 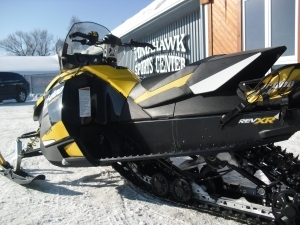 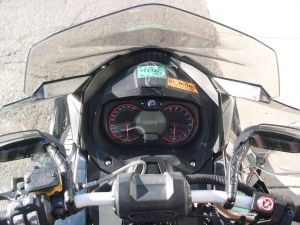 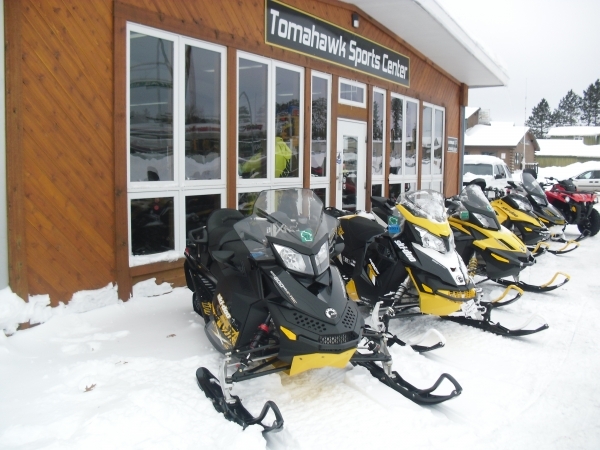 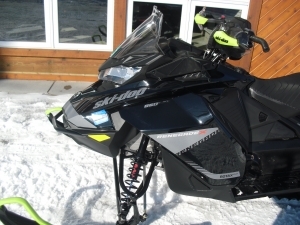 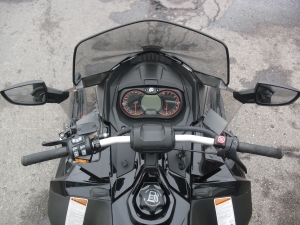 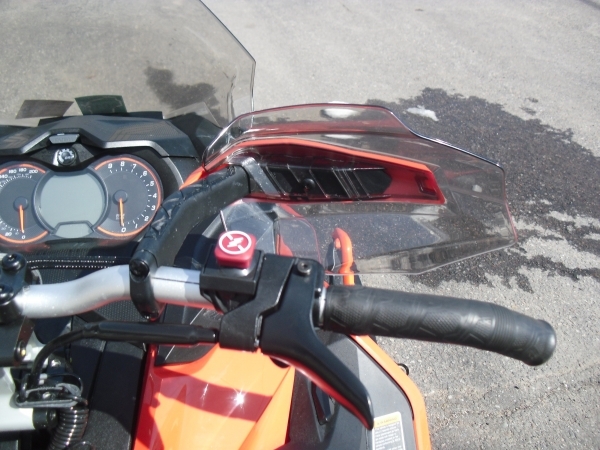 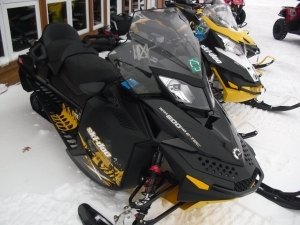 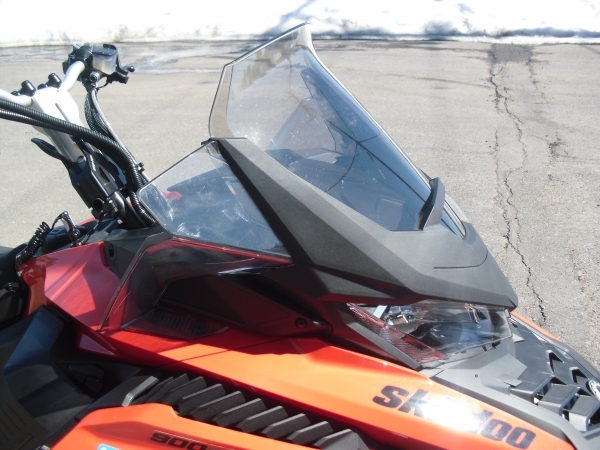 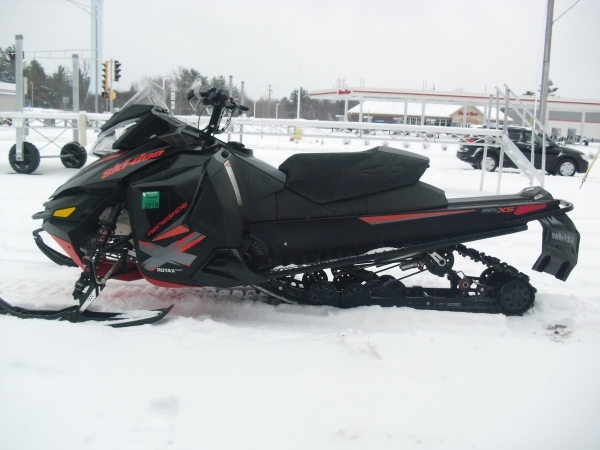 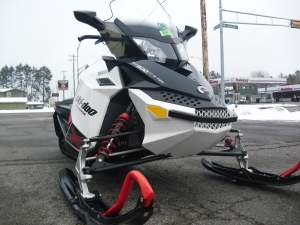 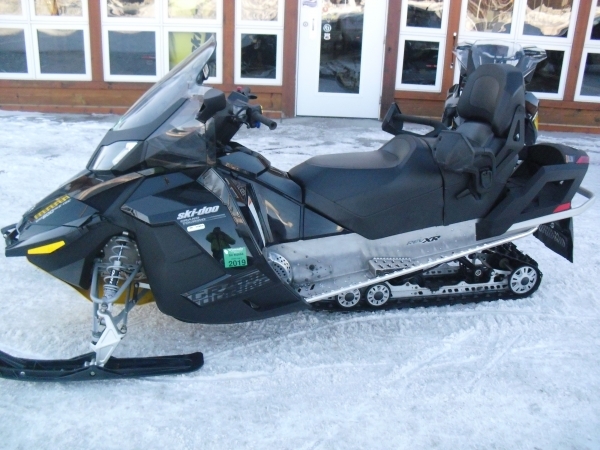 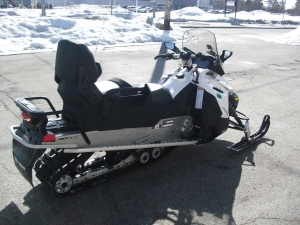 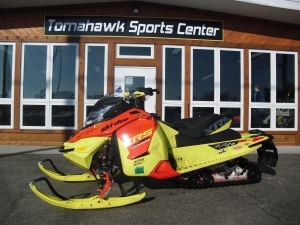 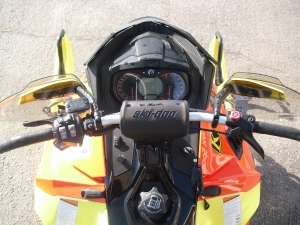 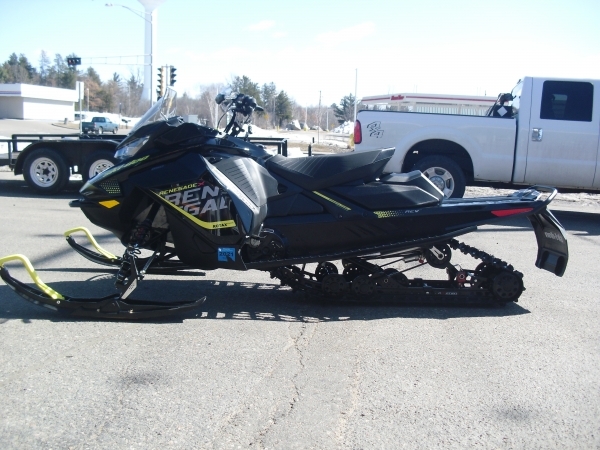 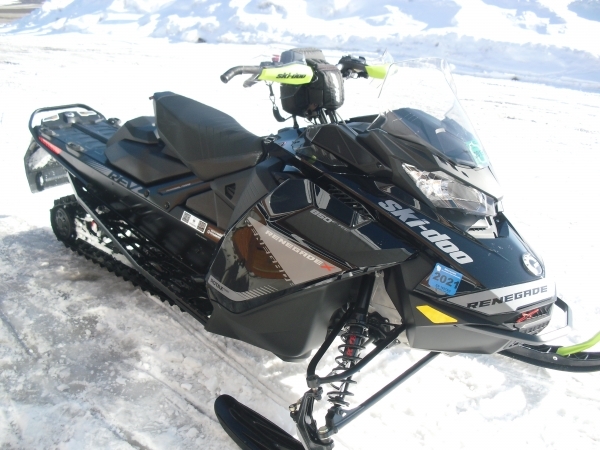 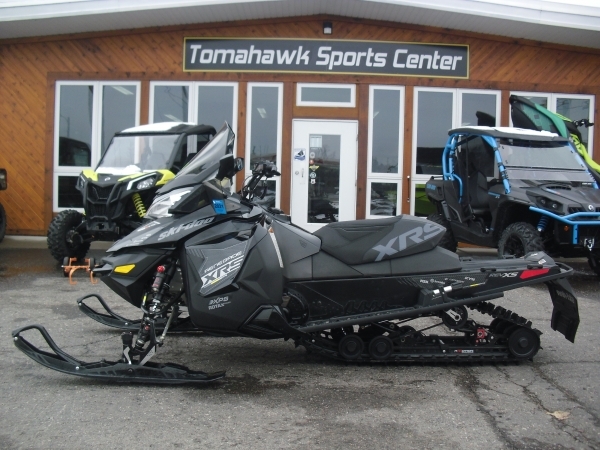 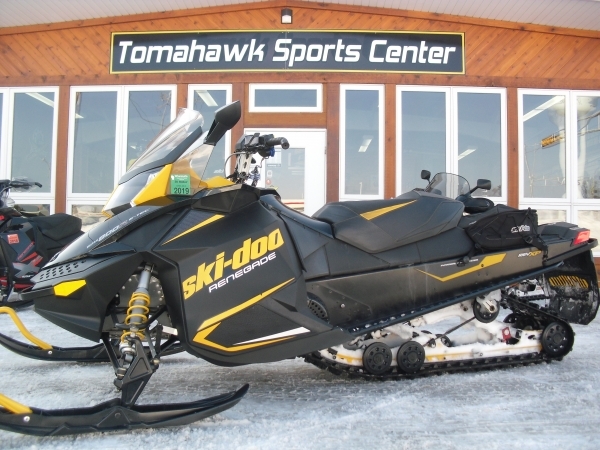 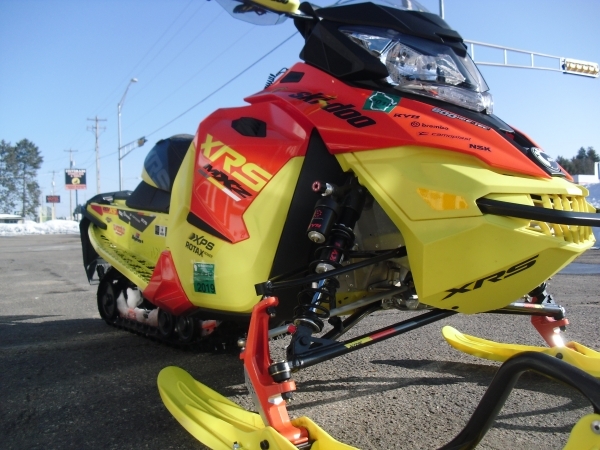 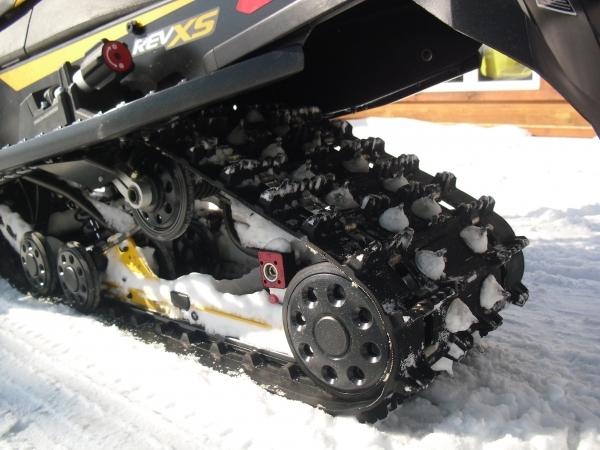 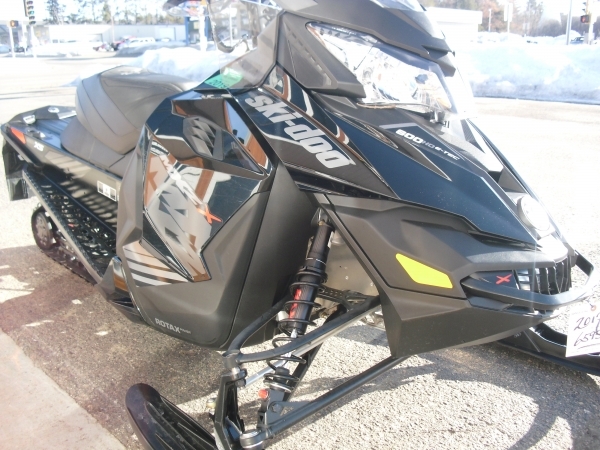 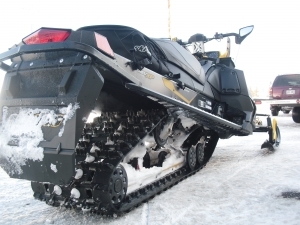 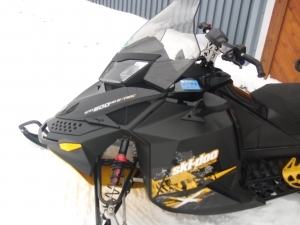 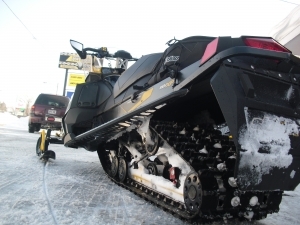 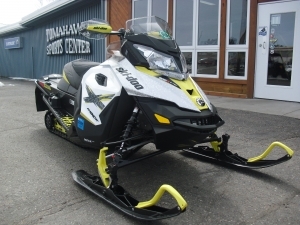 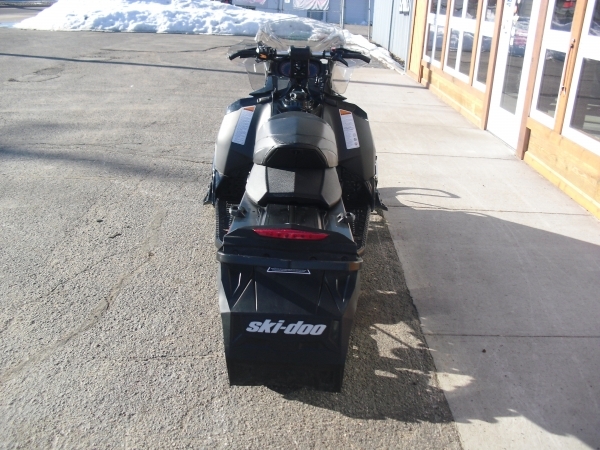 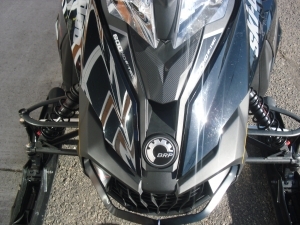 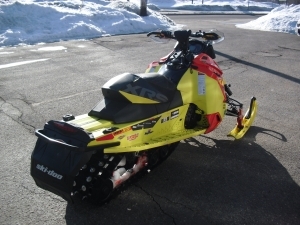 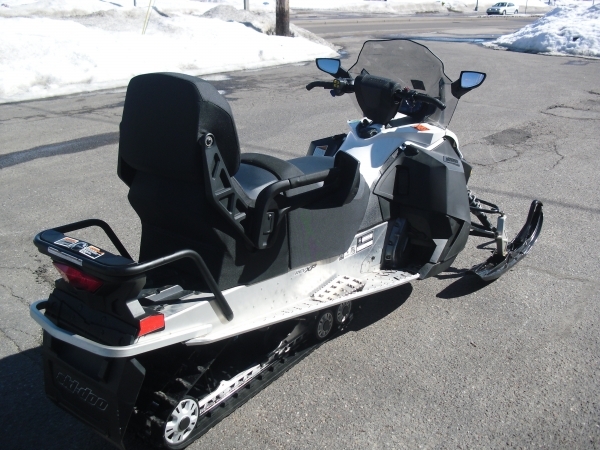 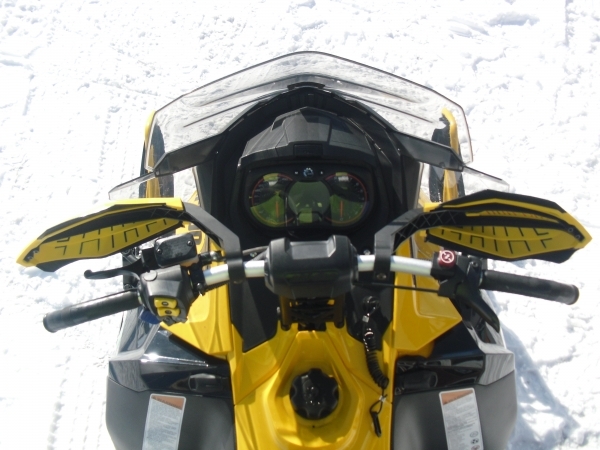 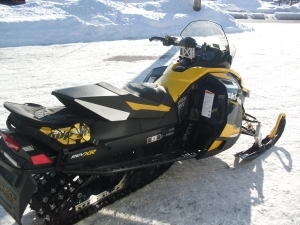 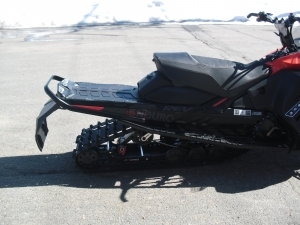 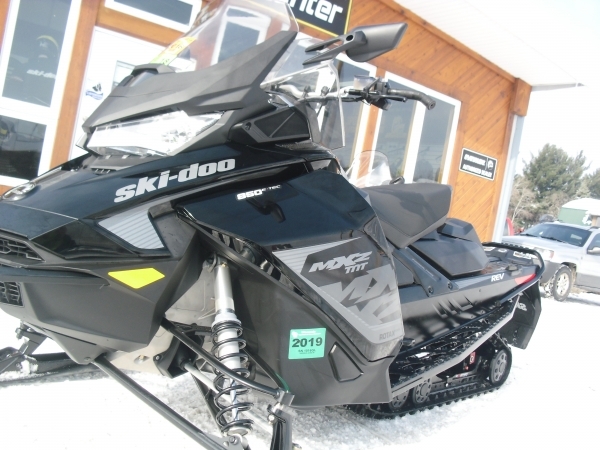 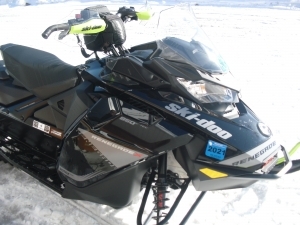 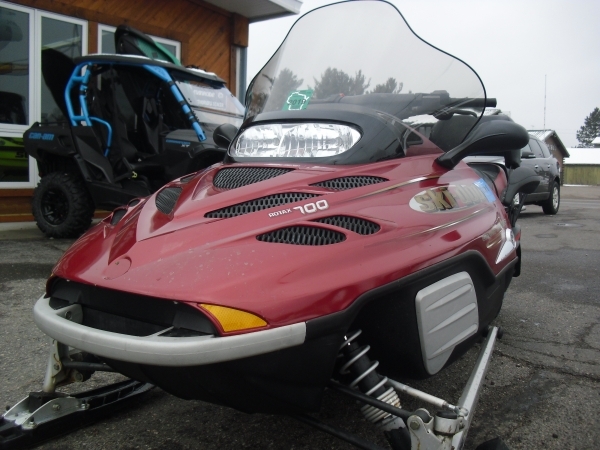 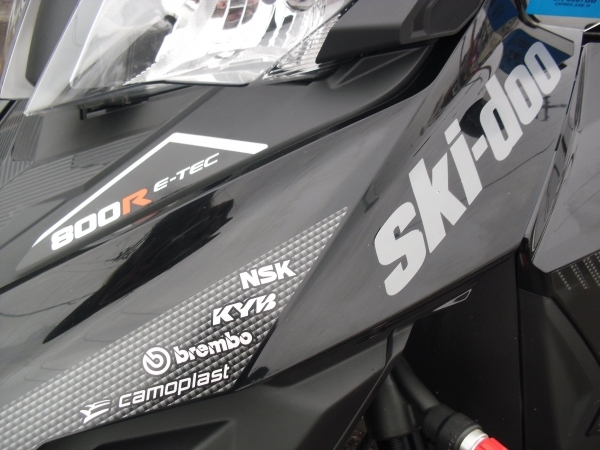 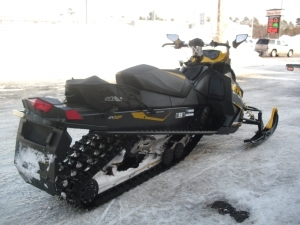 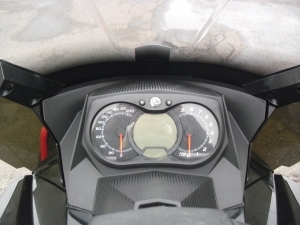 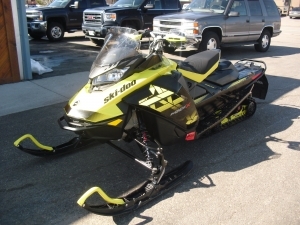 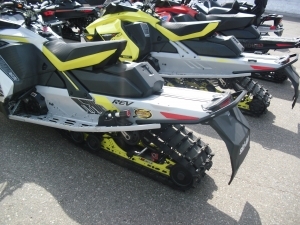 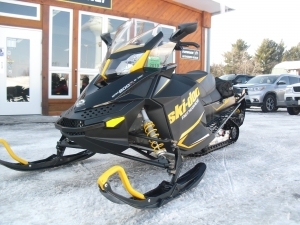 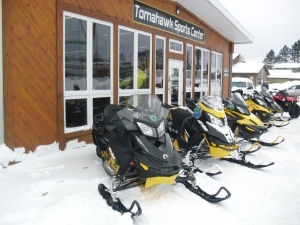 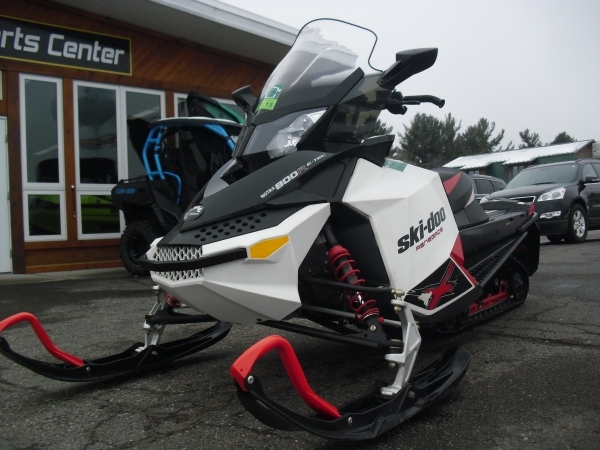 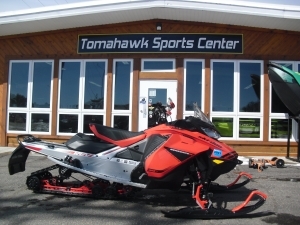 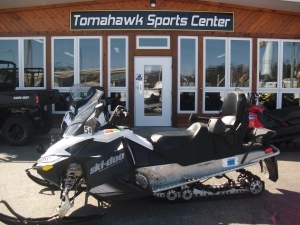 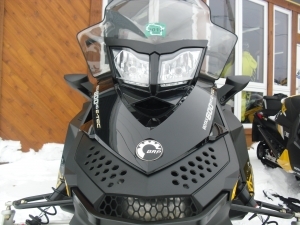 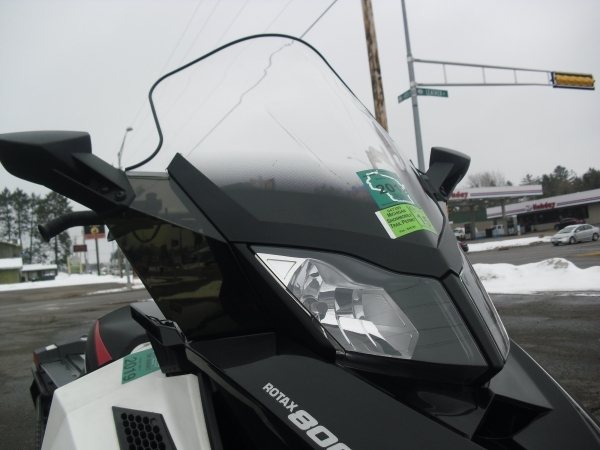 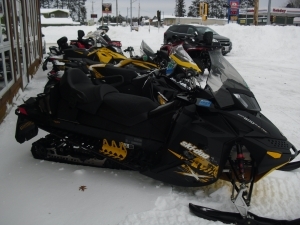 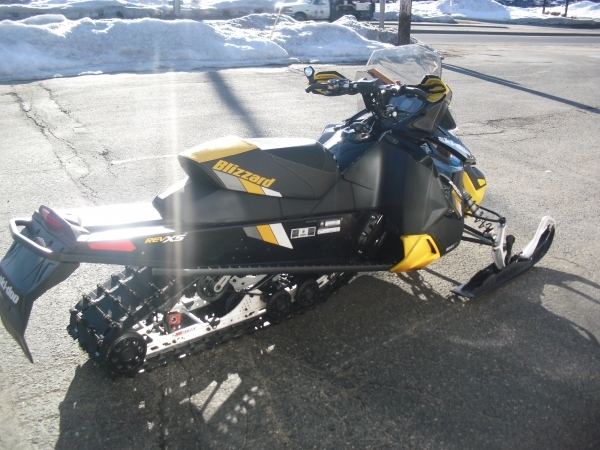 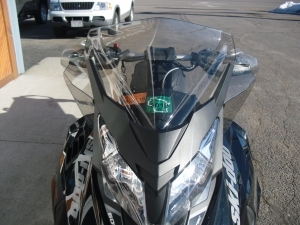 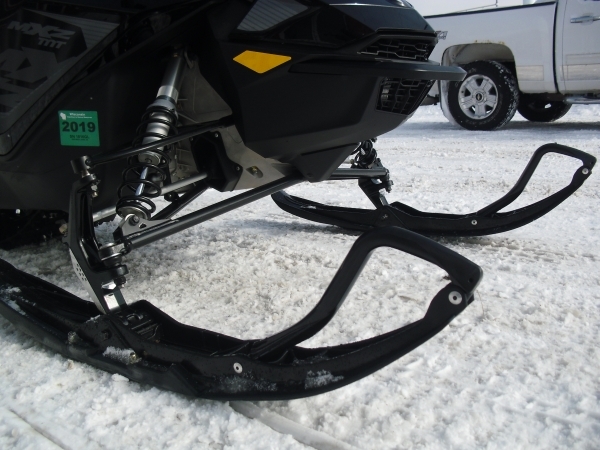 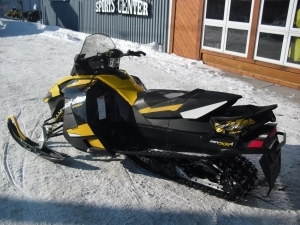 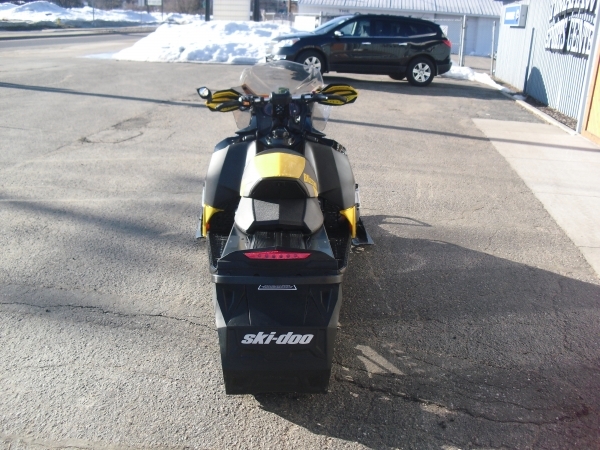 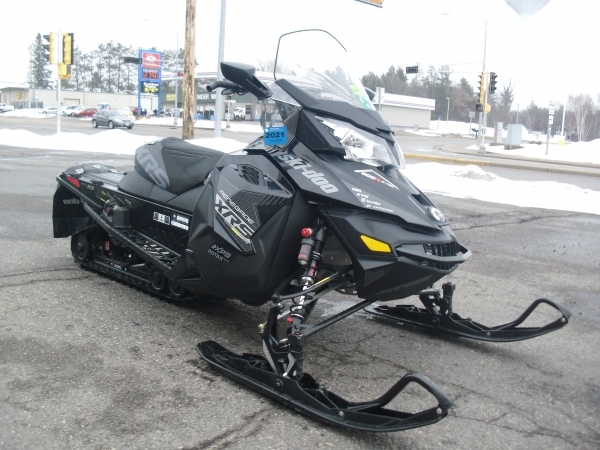 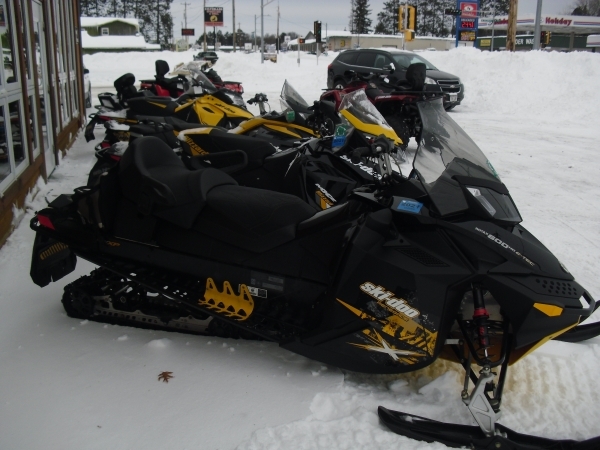 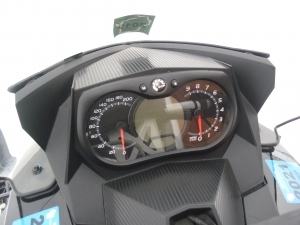 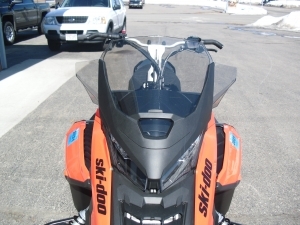 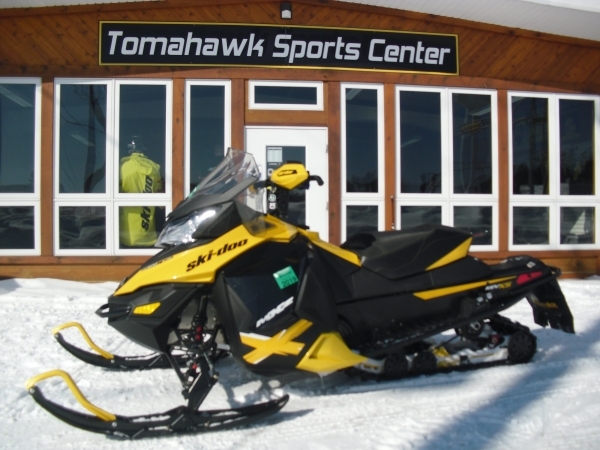 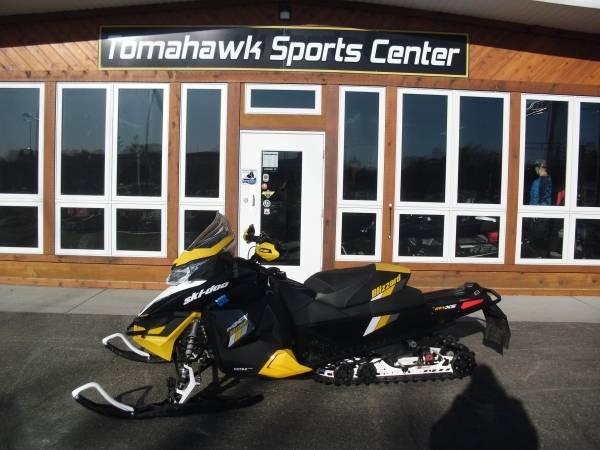 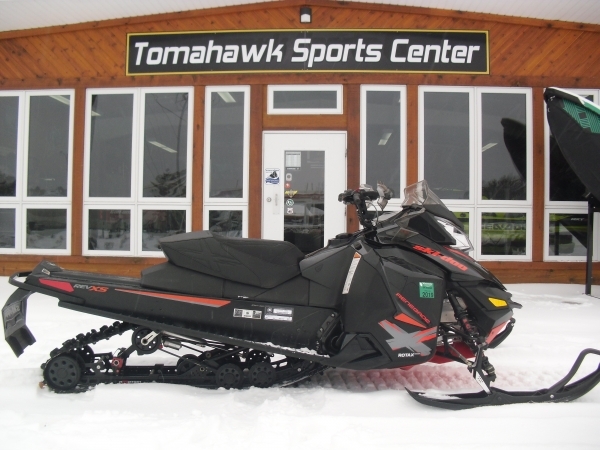 We also sell used snowmobiles! 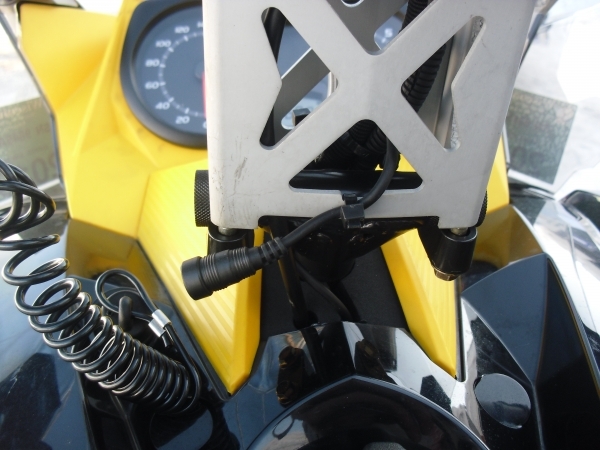 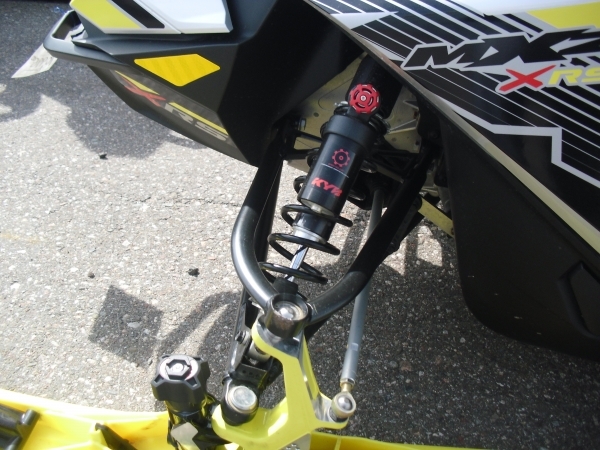 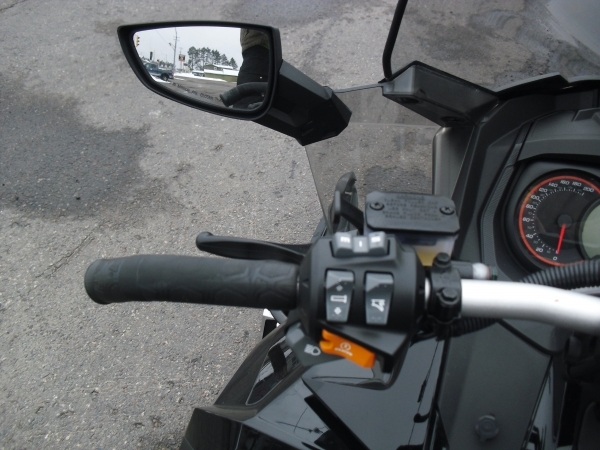 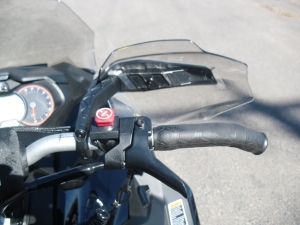 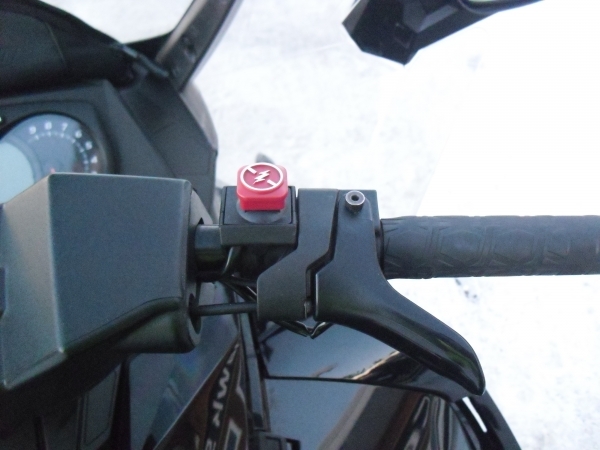 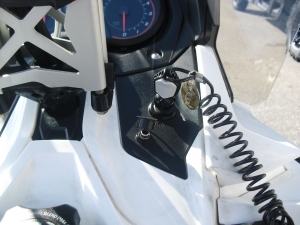 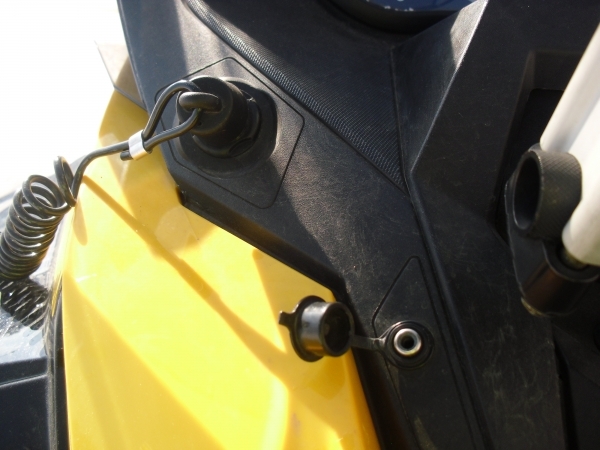 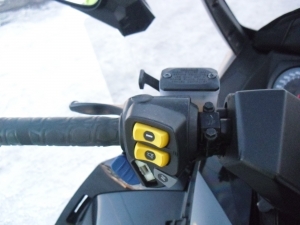 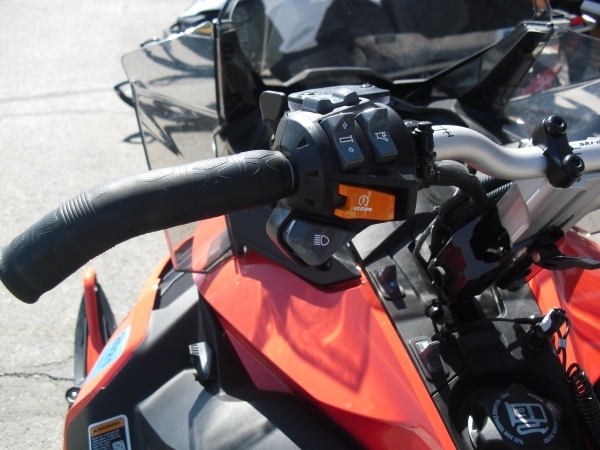 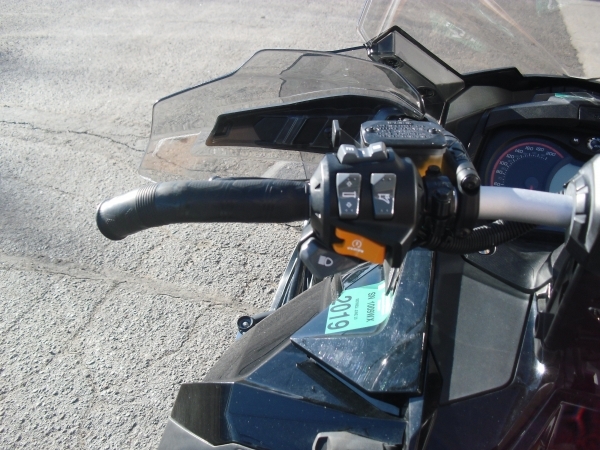 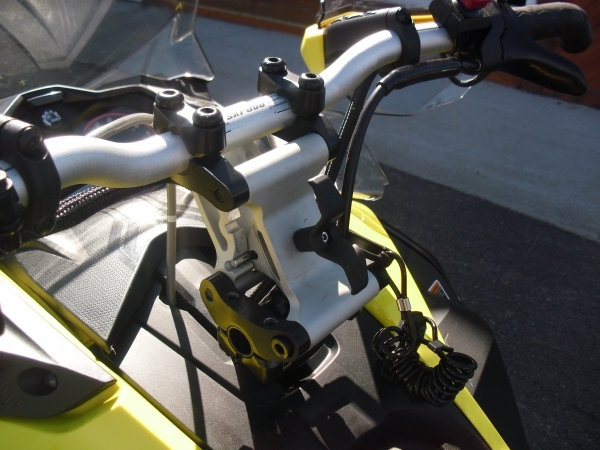 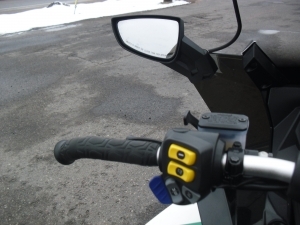 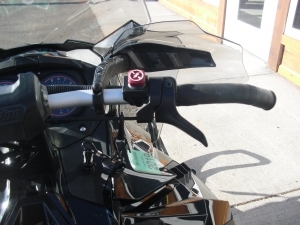 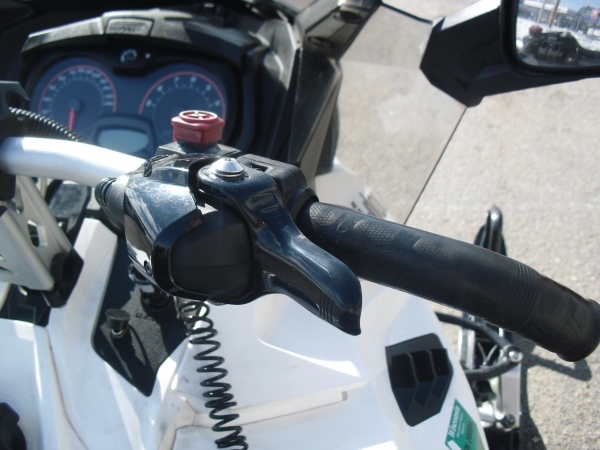 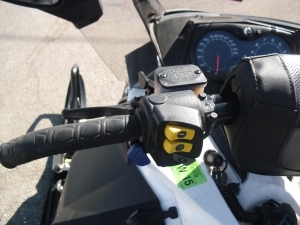 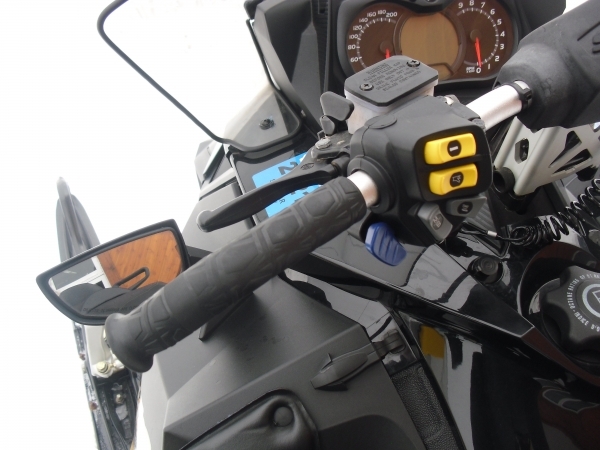 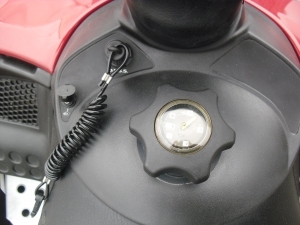 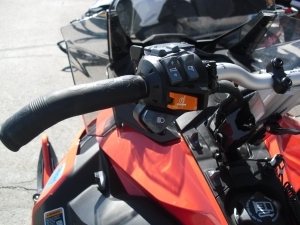 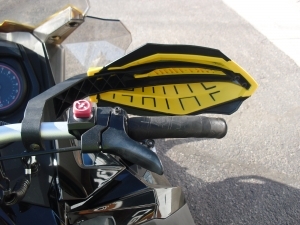 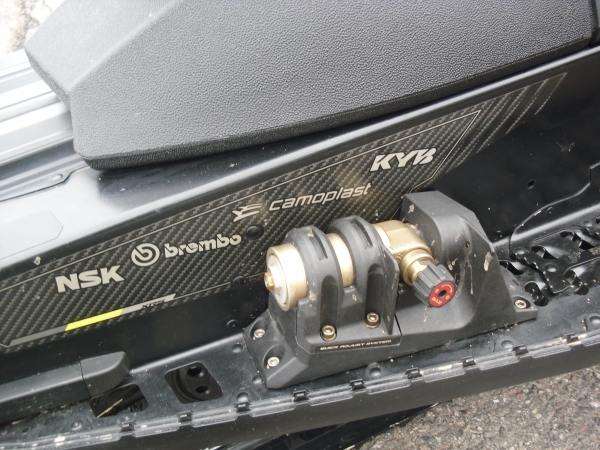 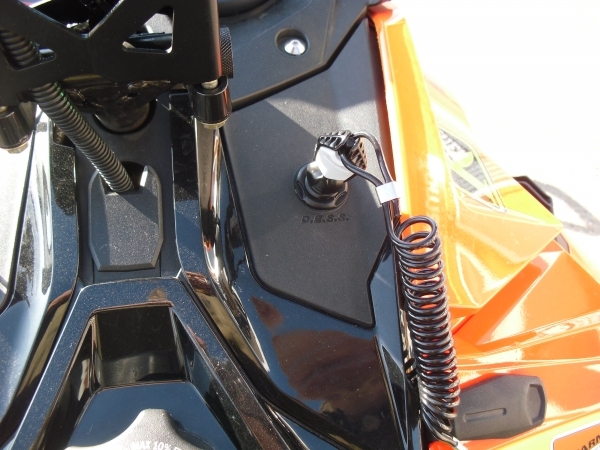 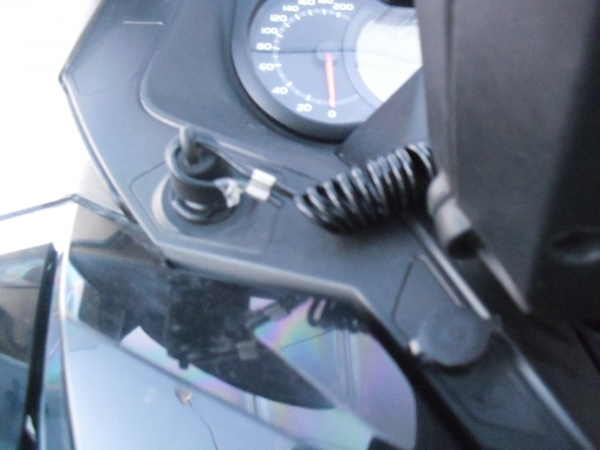 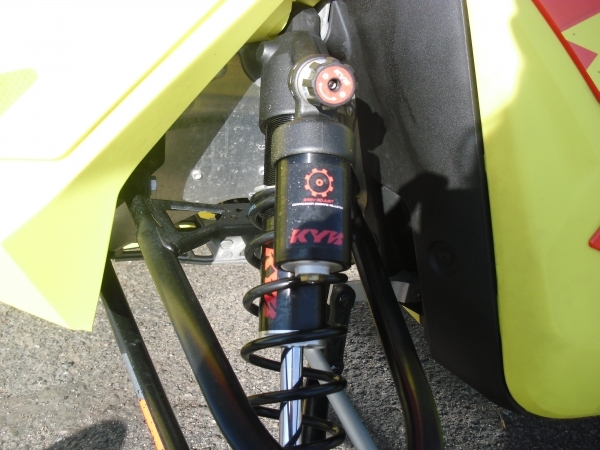 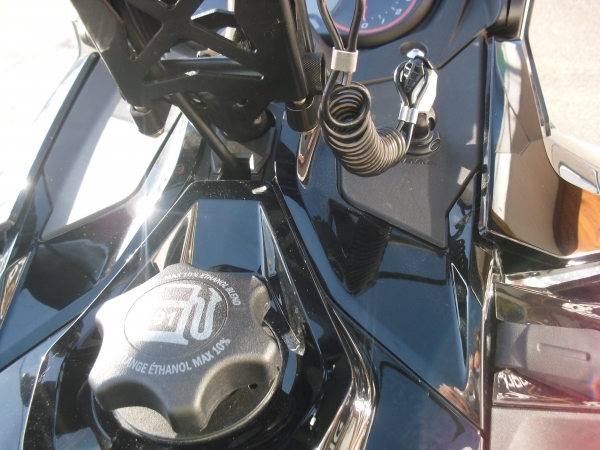 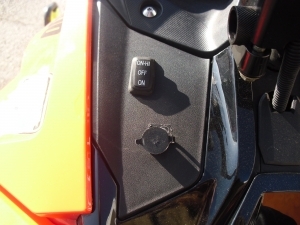 KYB REBUILABLE CLICKER SHOCKS W/ COMPRESSION AND REBOUND ADJ. 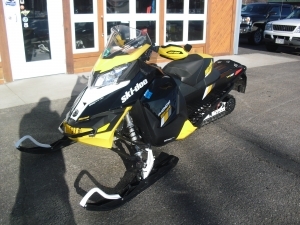 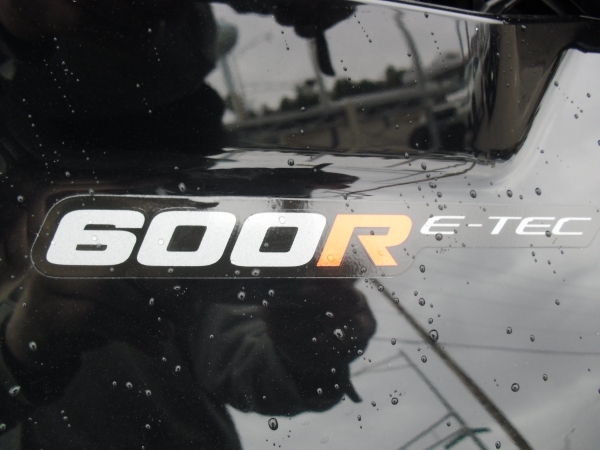 OK FOLKS THIS IS THE CLEANEST OF ALL TIME TRADE INS!!!!!!!!!!! 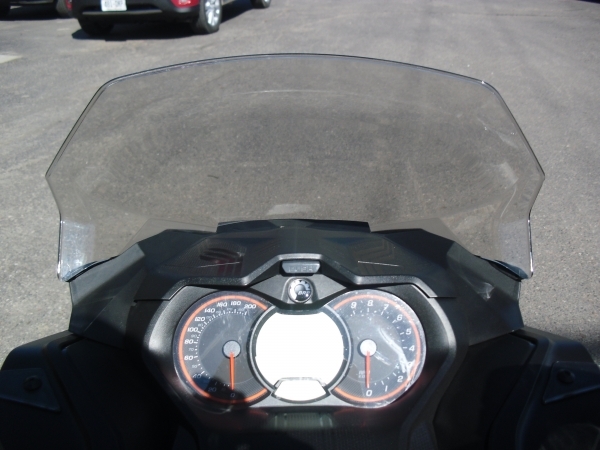 SHE SHINES BRIGHT LIKE A DIAMOND!!!!! ALL X APPOINTMENTS SHOCKS ETC. 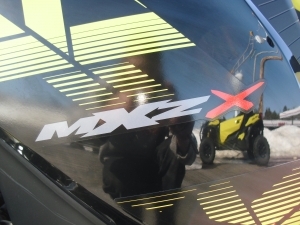 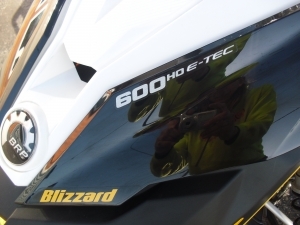 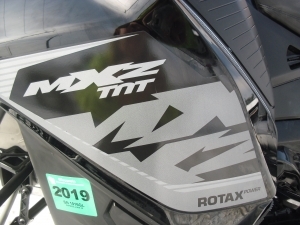 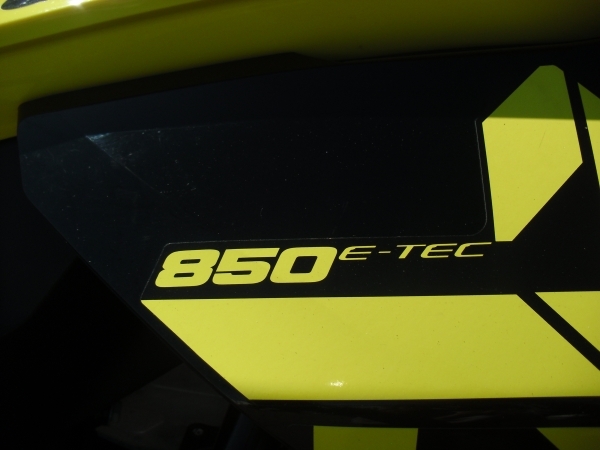 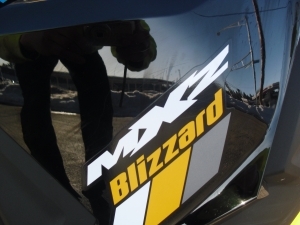 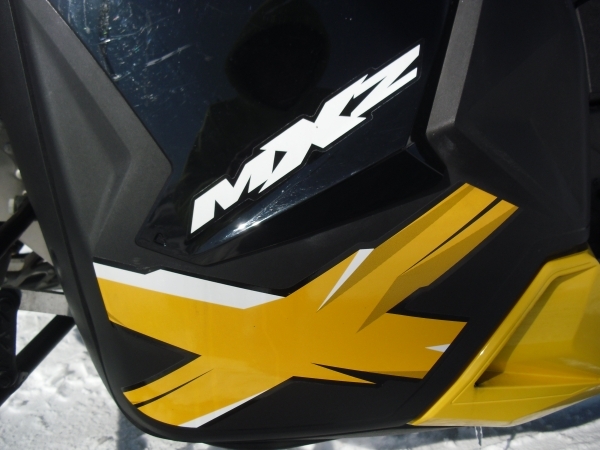 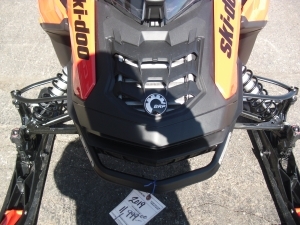 2018 SKI DOO MXZ 850 X E-TEC (YELLOW / BLACK) SORRY THIS SLED ON HOLD!!! CONGRATS TIM THIS SLED IS CLEAN!!! 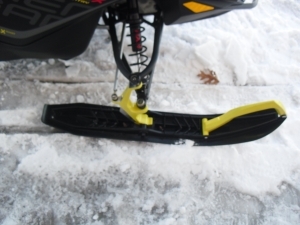 SORRY THIS SLED IS ON HOLD!!!! 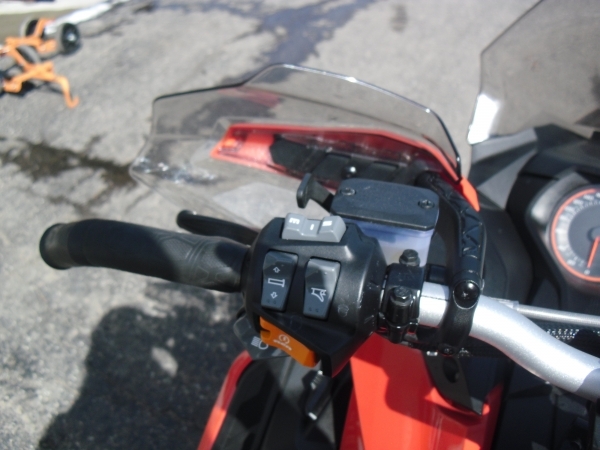 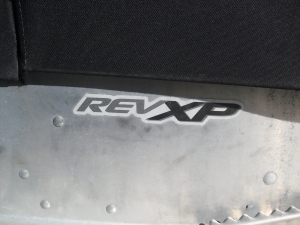 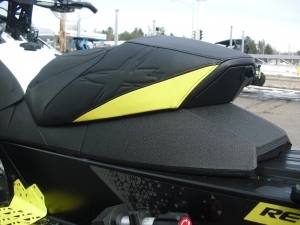 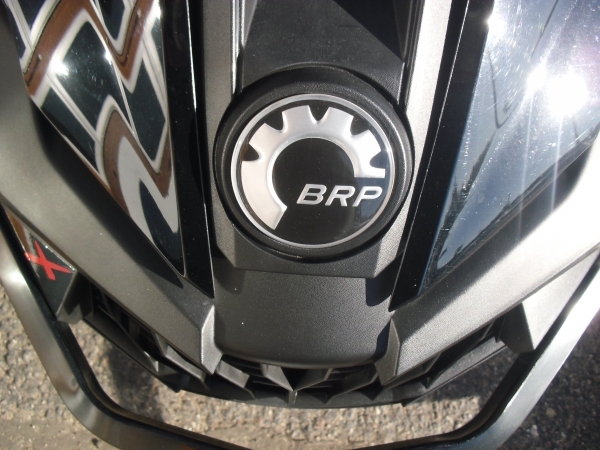 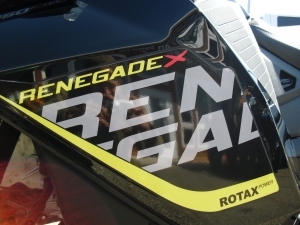 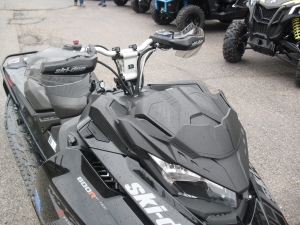 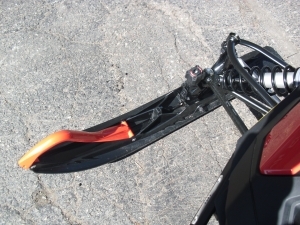 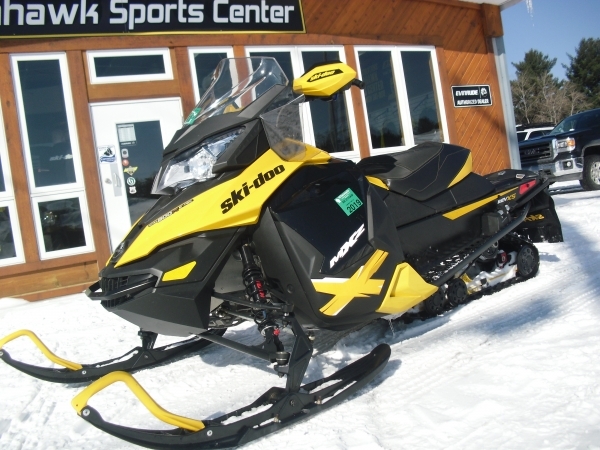 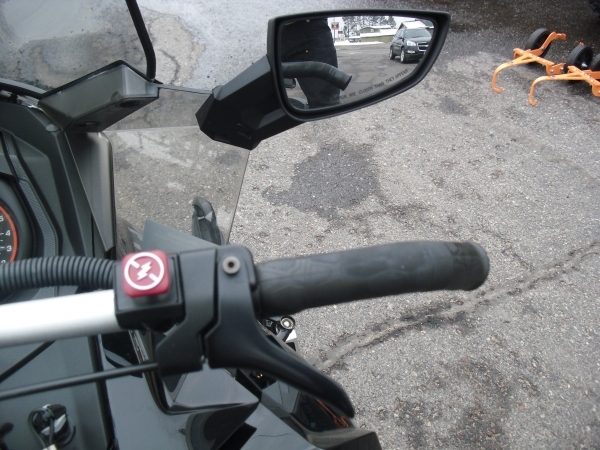 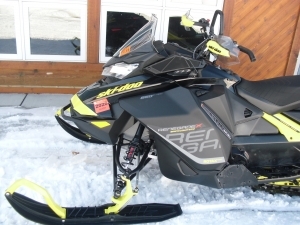 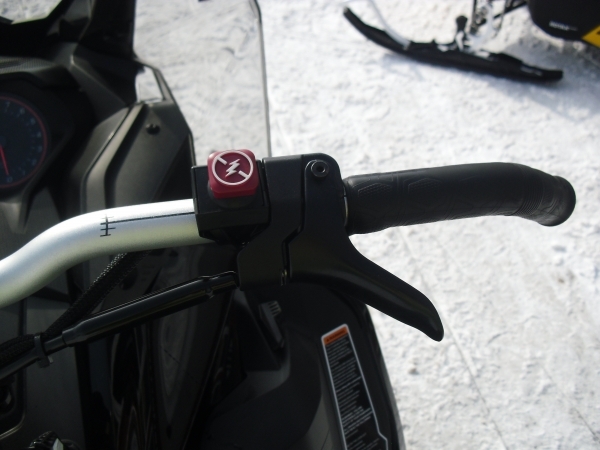 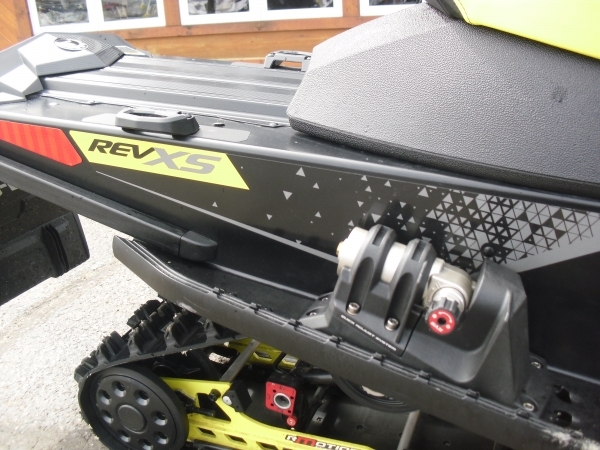 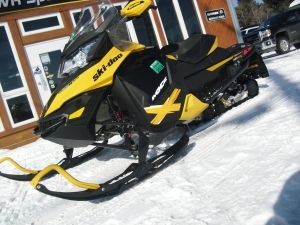 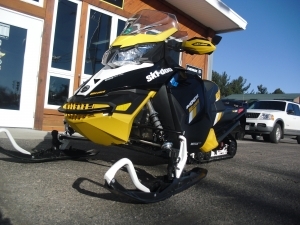 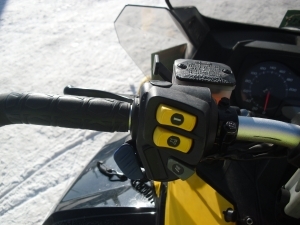 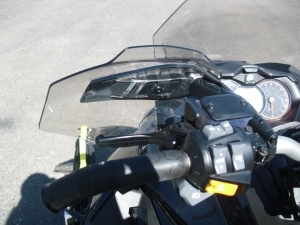 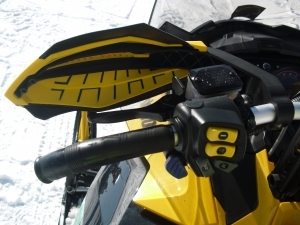 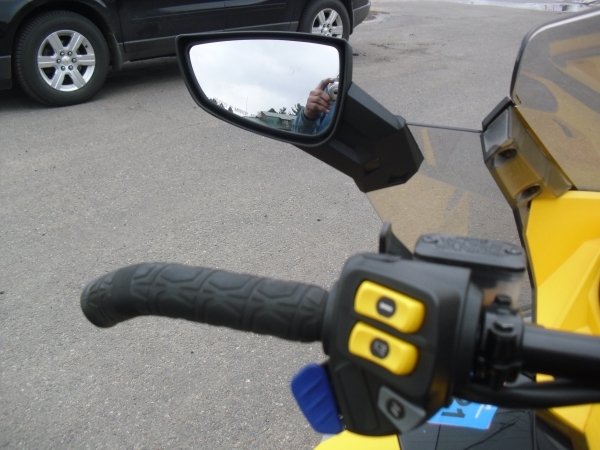 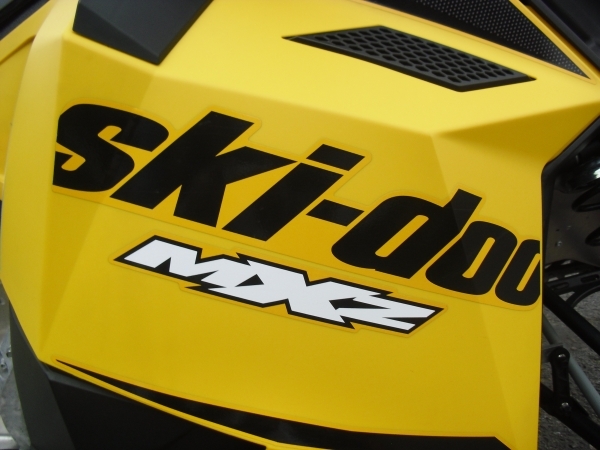 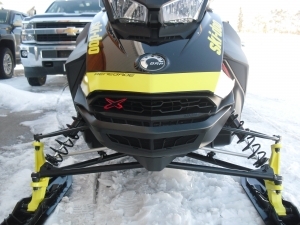 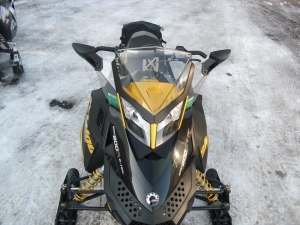 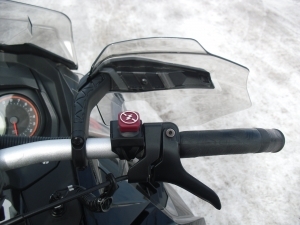 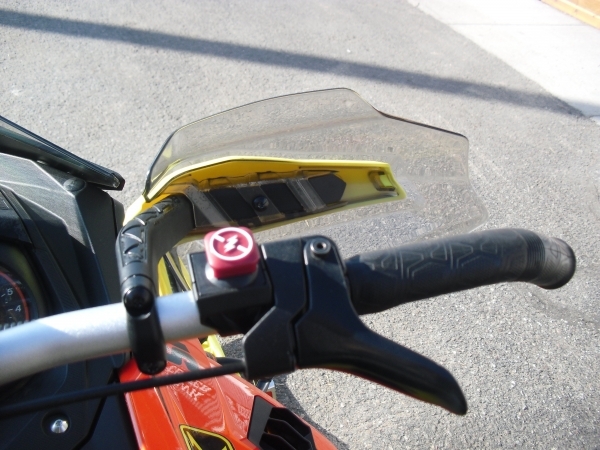 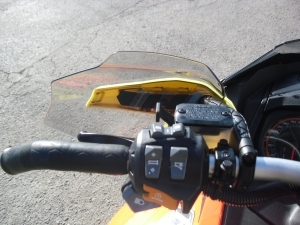 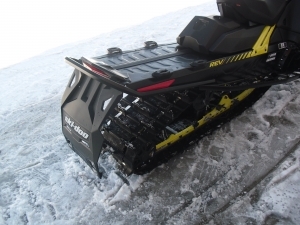 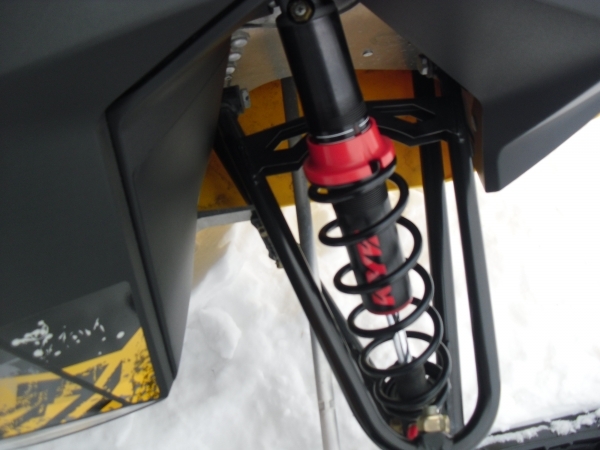 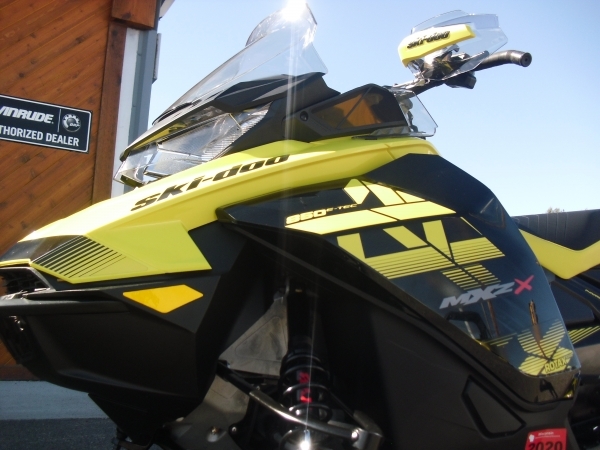 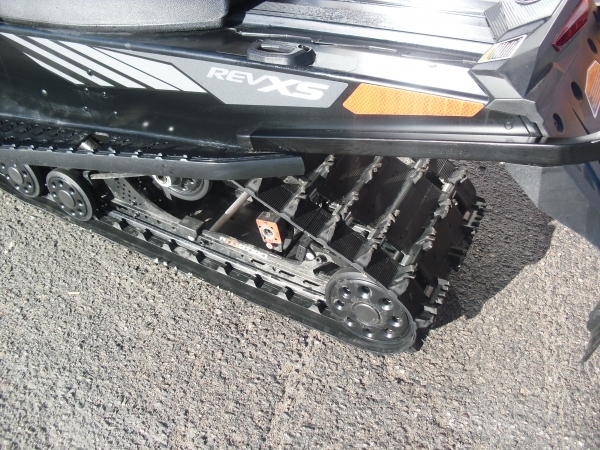 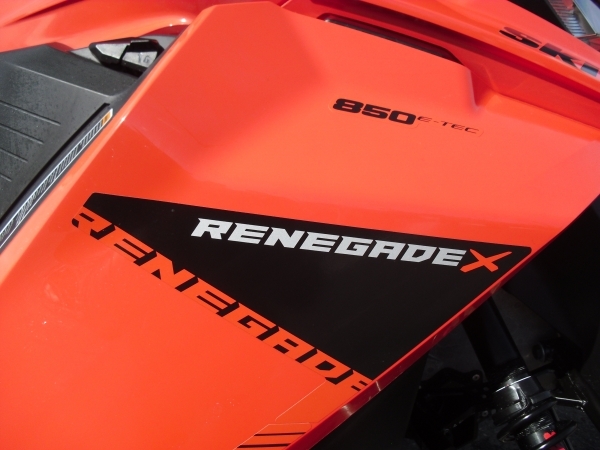 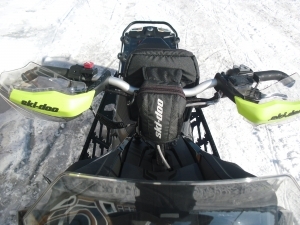 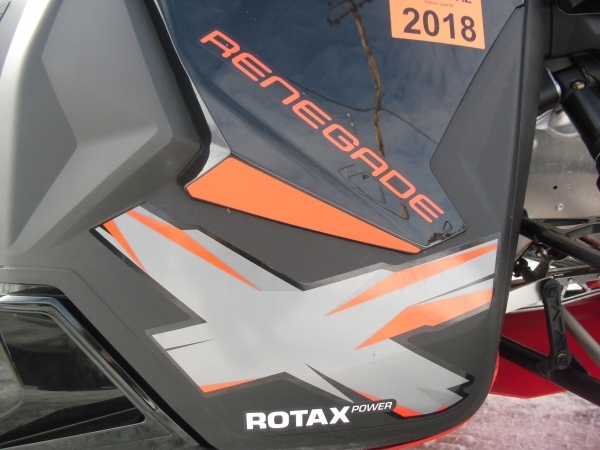 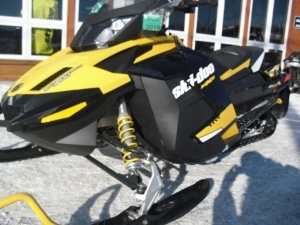 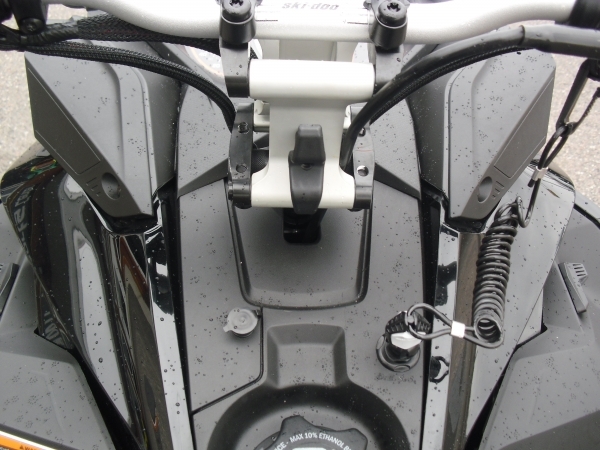 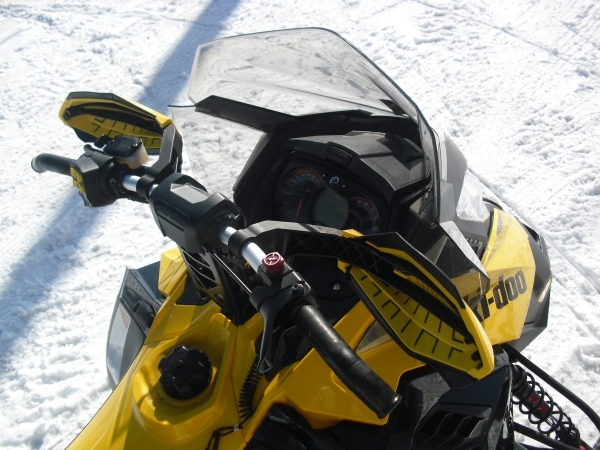 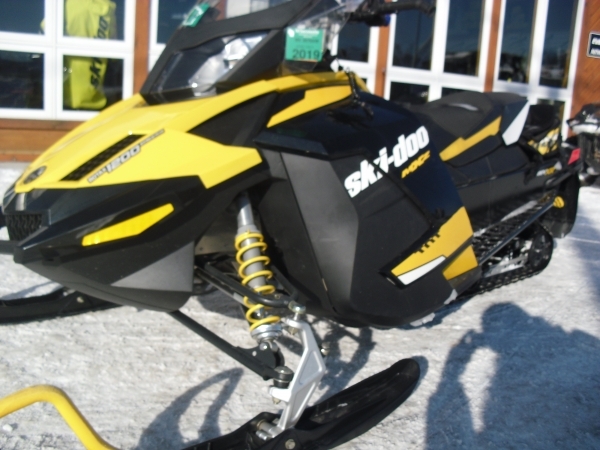 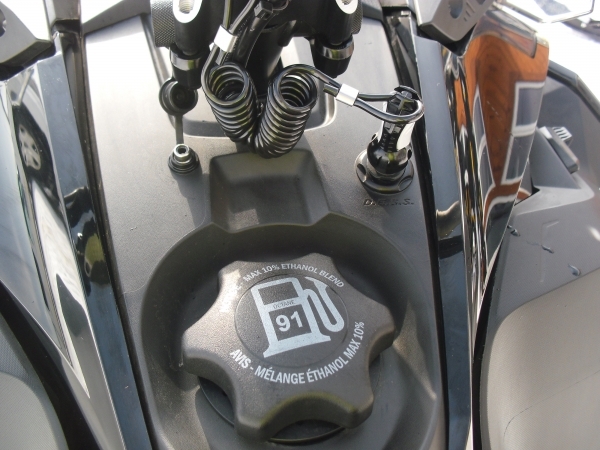 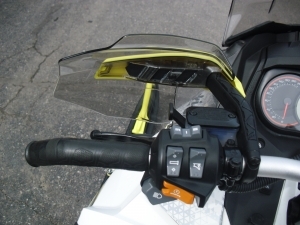 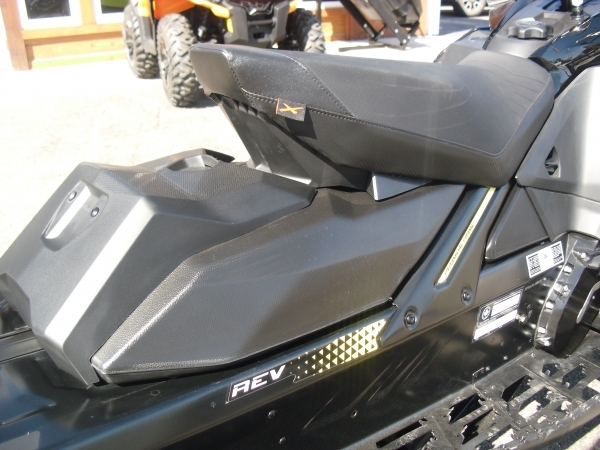 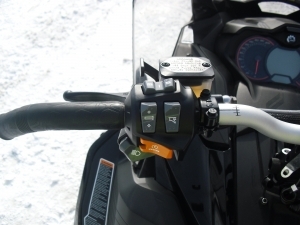 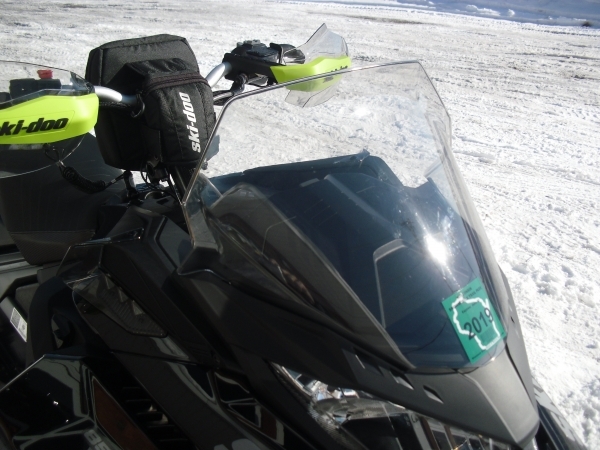 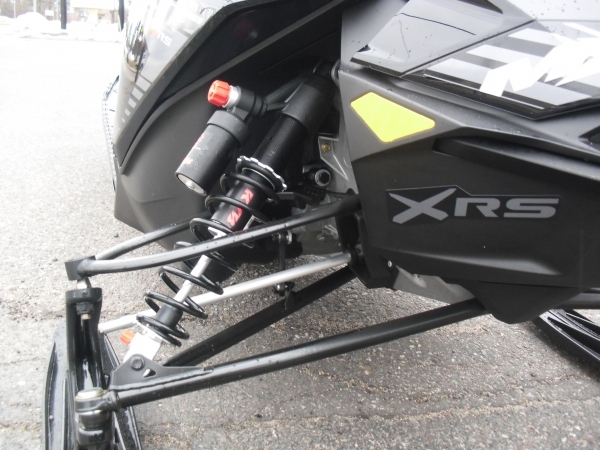 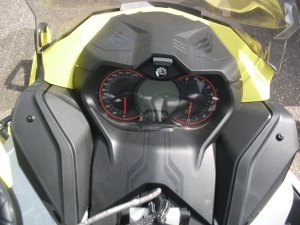 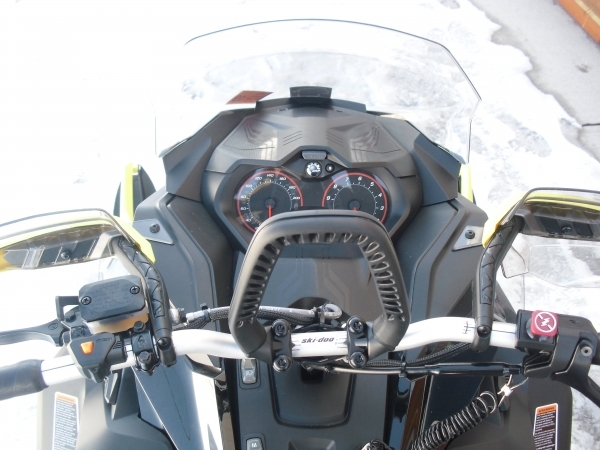 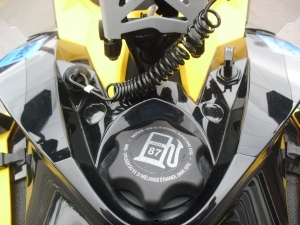 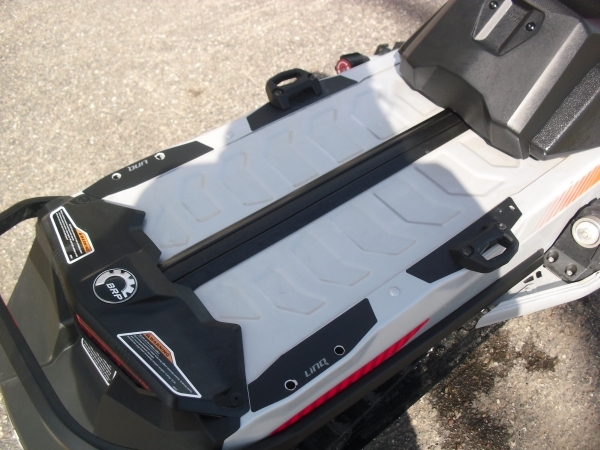 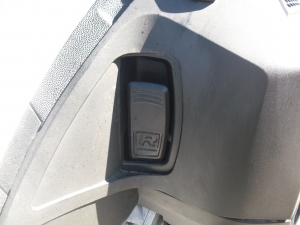 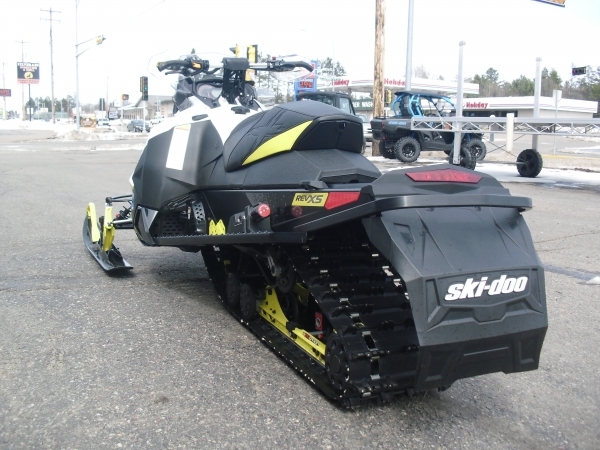 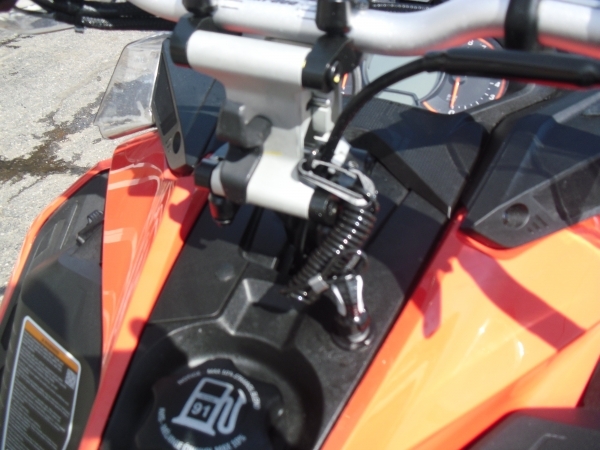 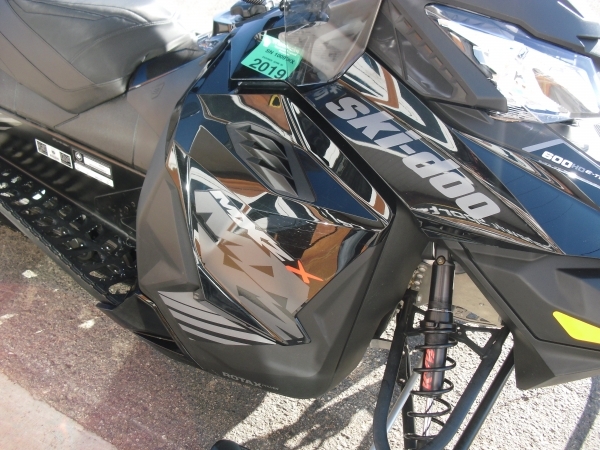 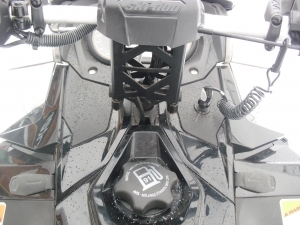 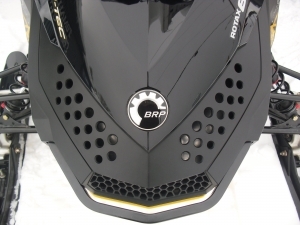 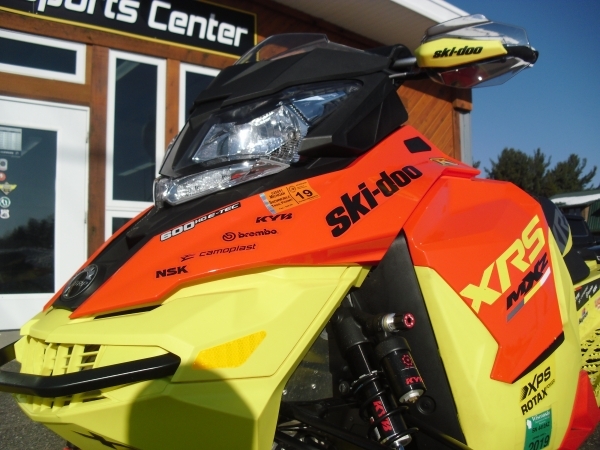 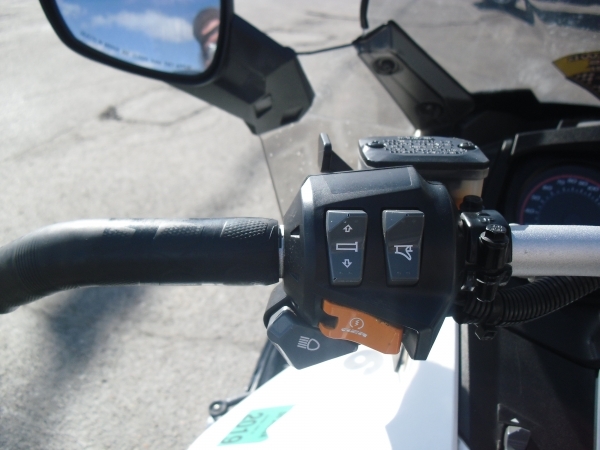 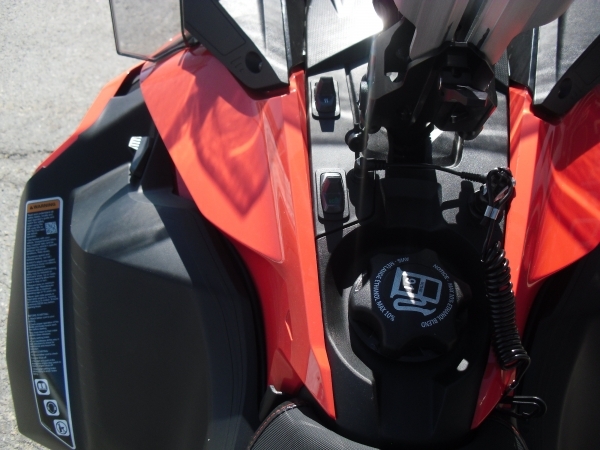 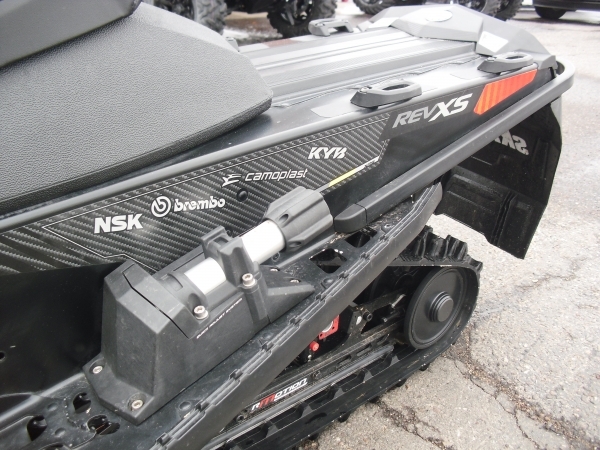 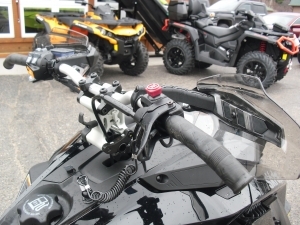 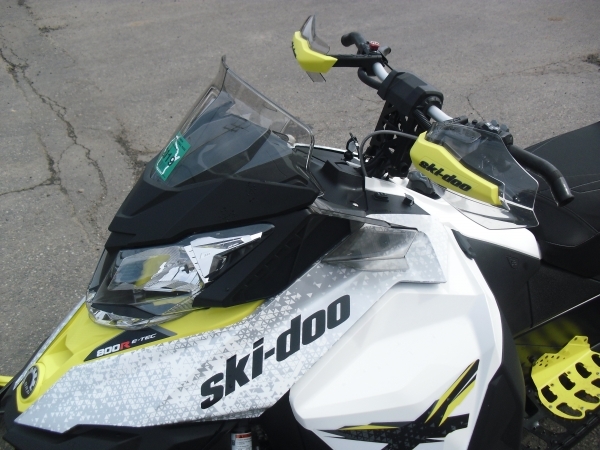 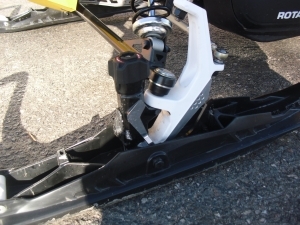 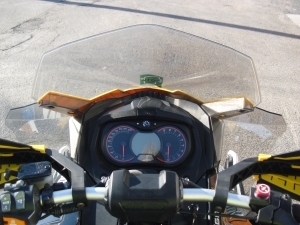 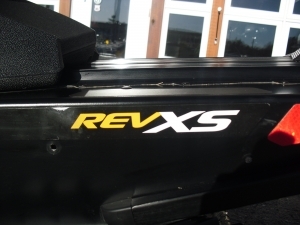 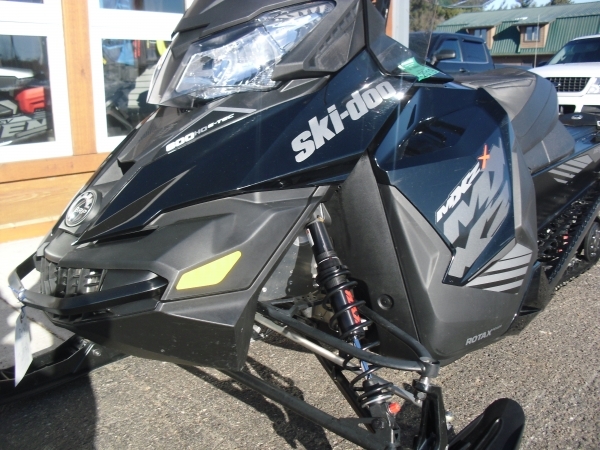 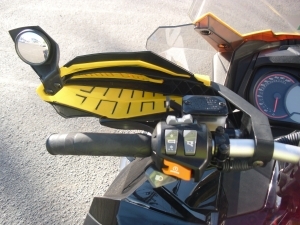 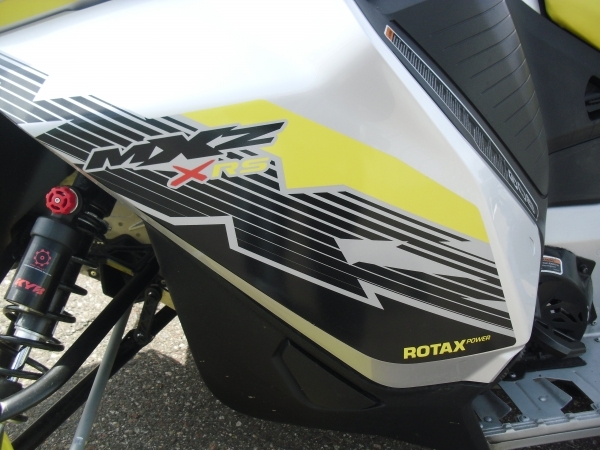 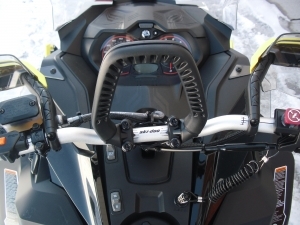 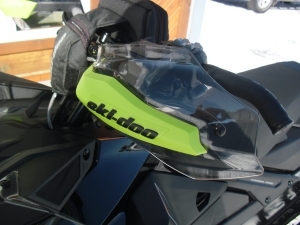 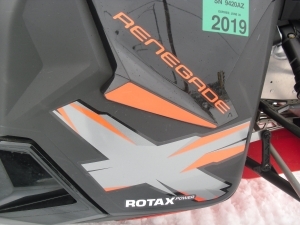 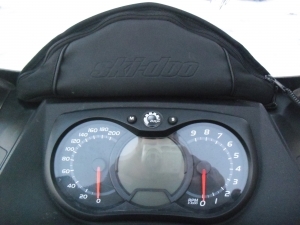 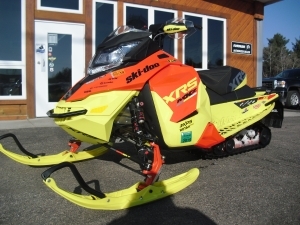 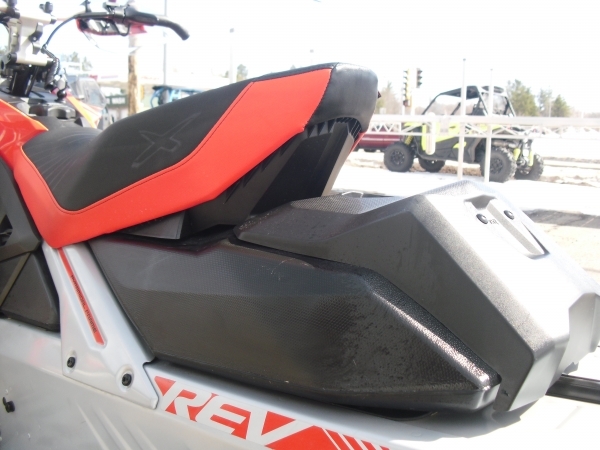 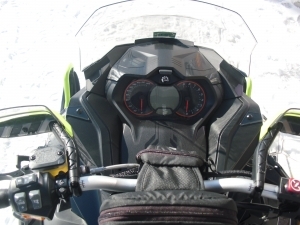 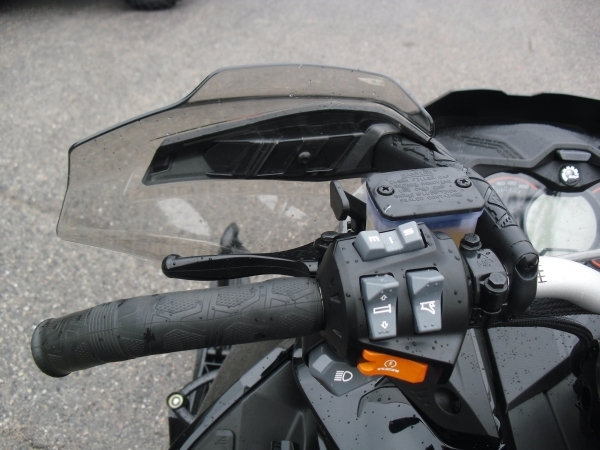 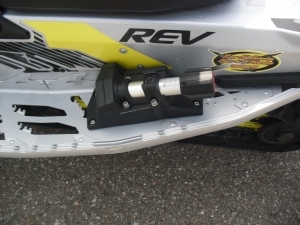 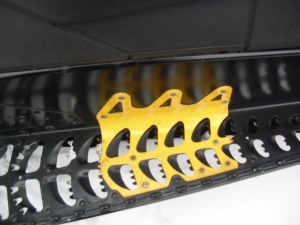 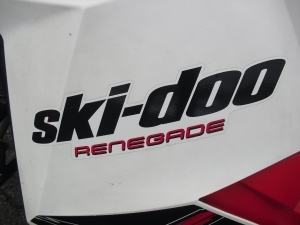 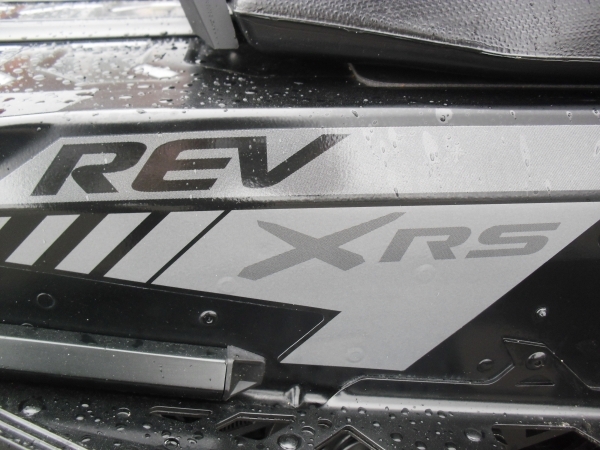 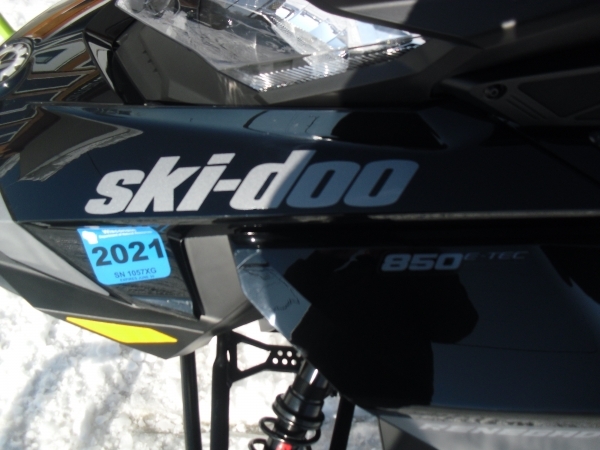 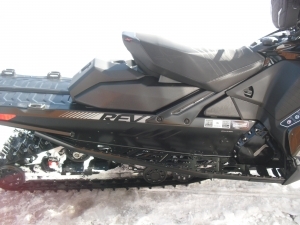 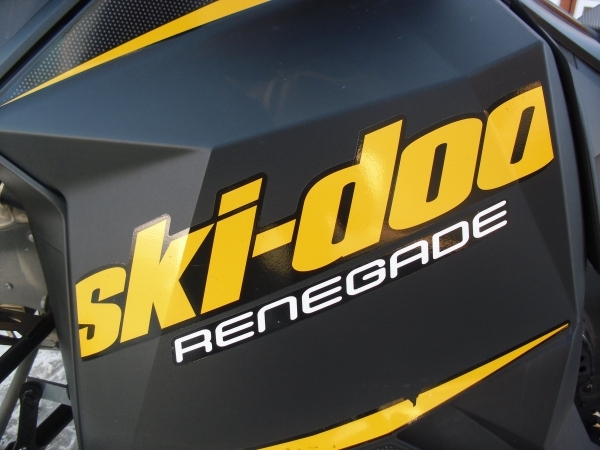 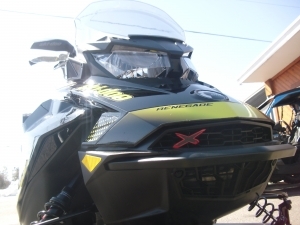 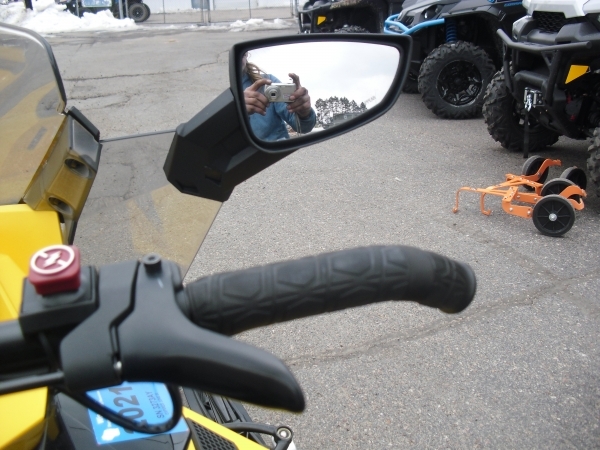 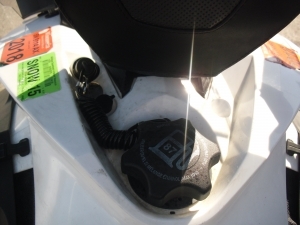 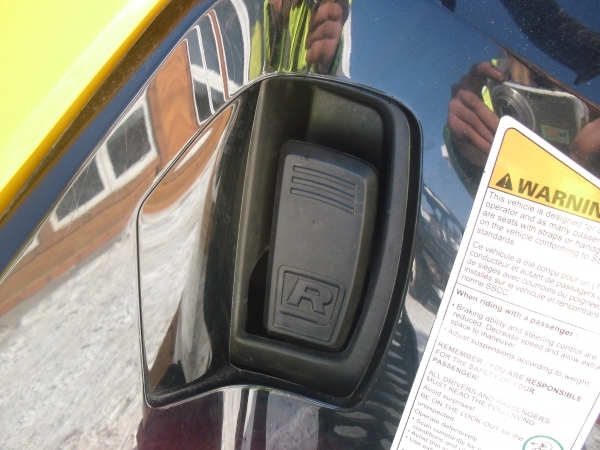 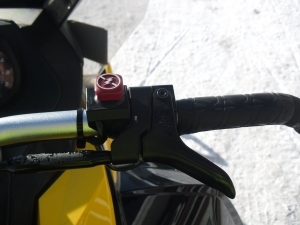 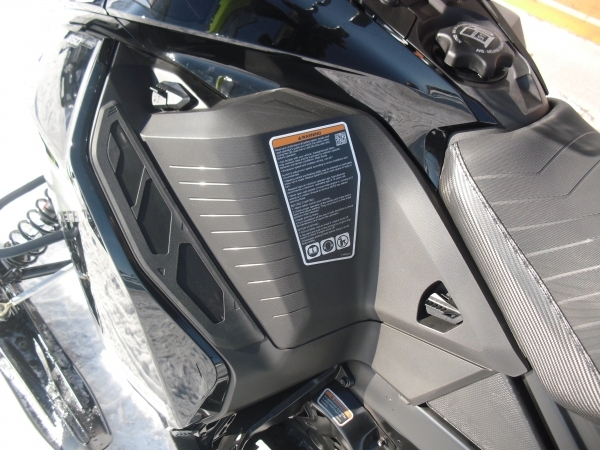 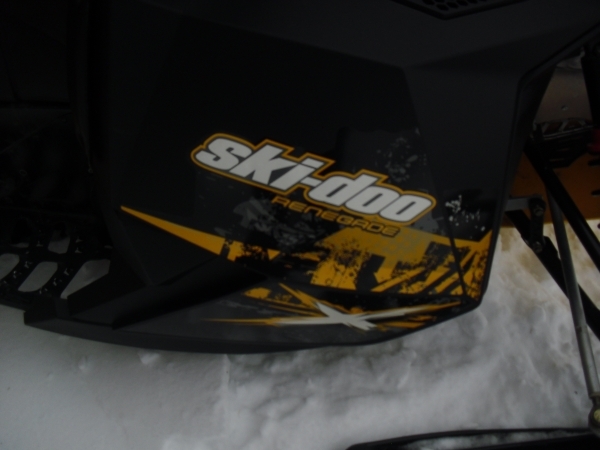 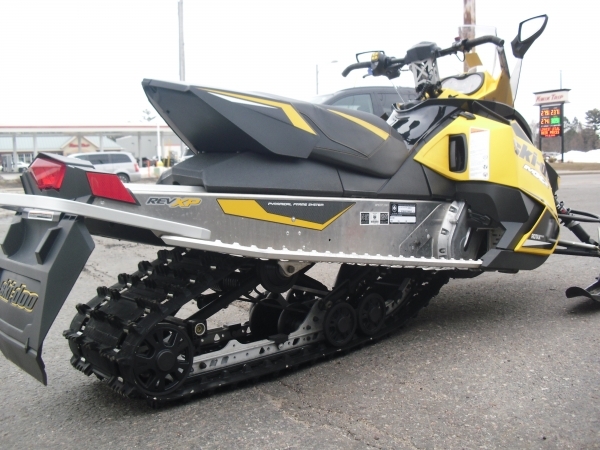 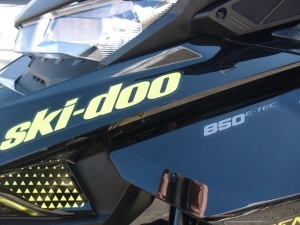 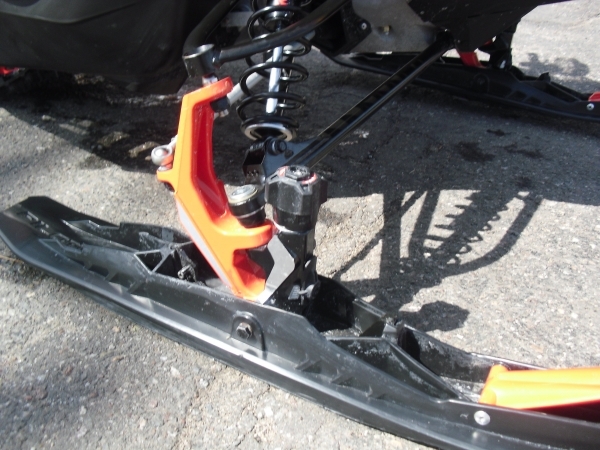 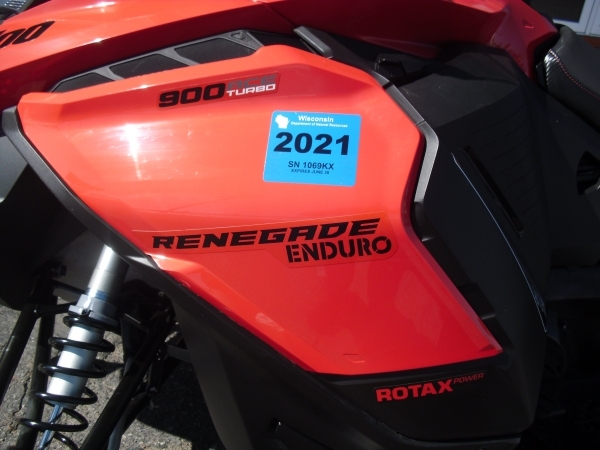 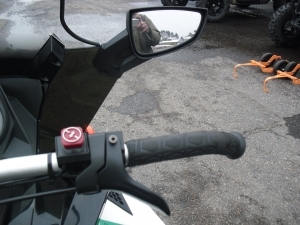 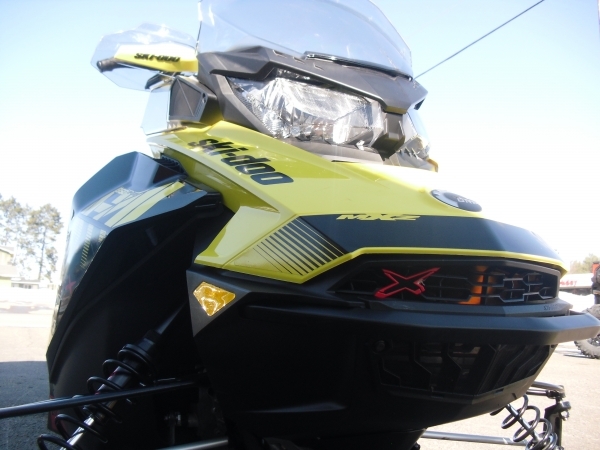 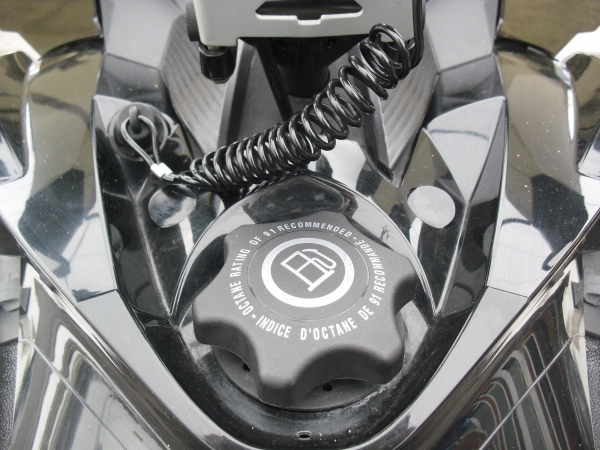 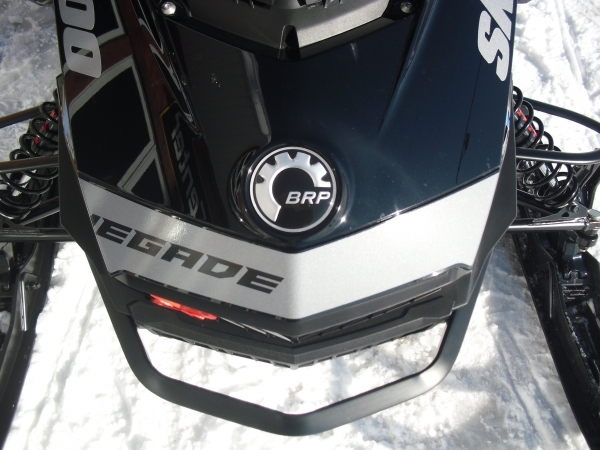 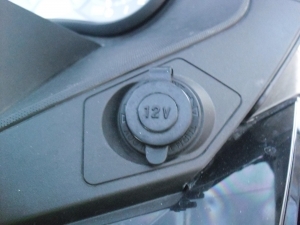 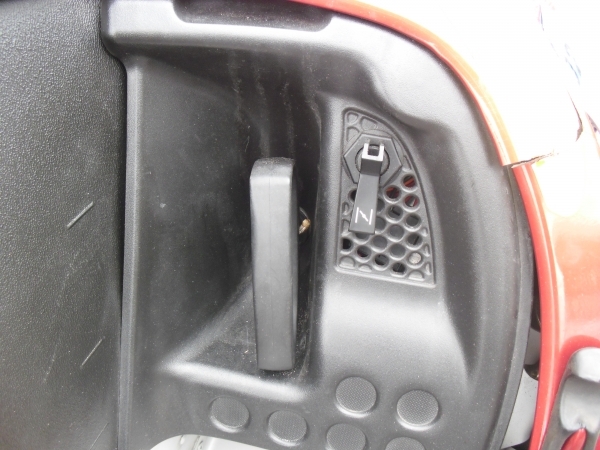 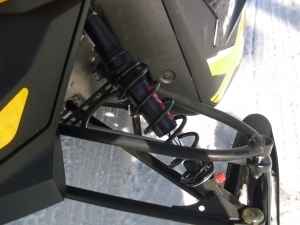 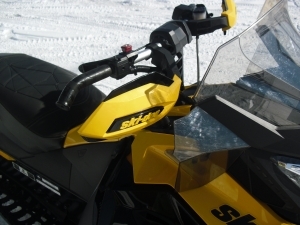 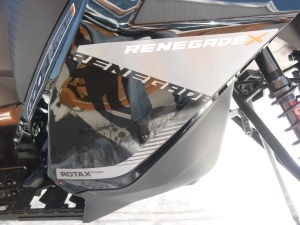 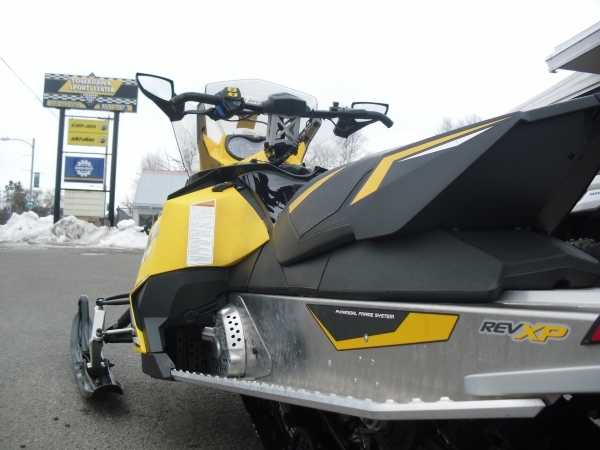 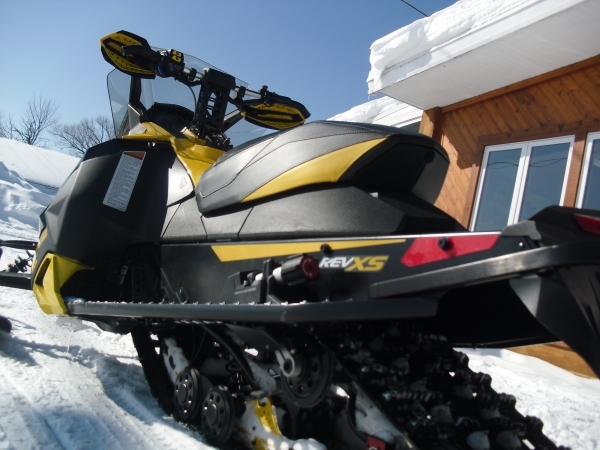 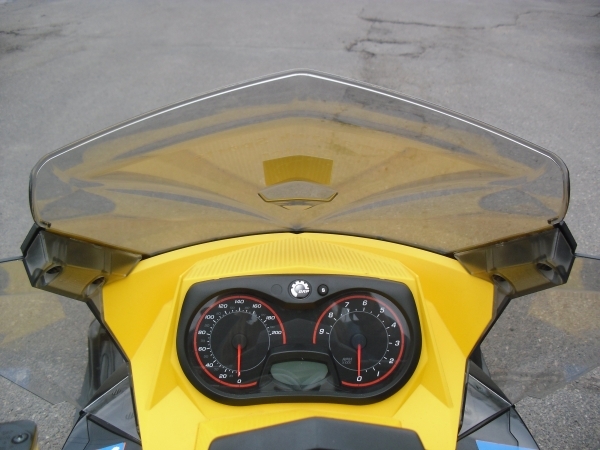 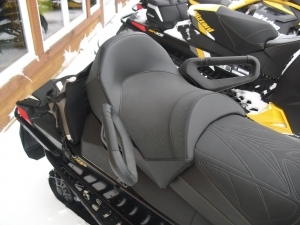 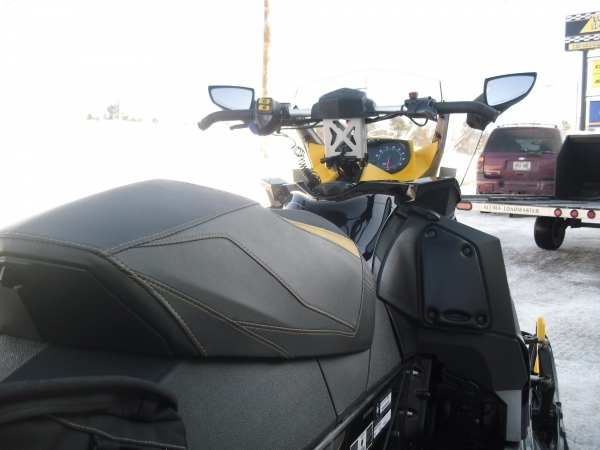 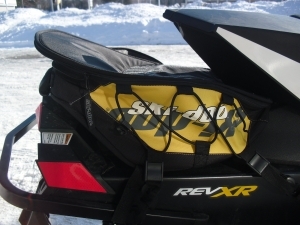 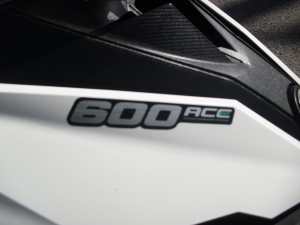 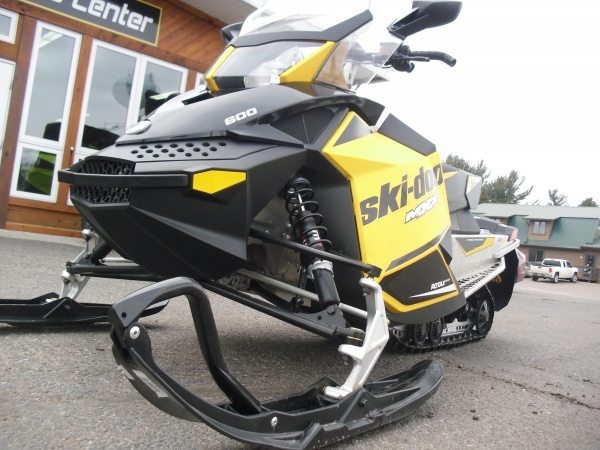 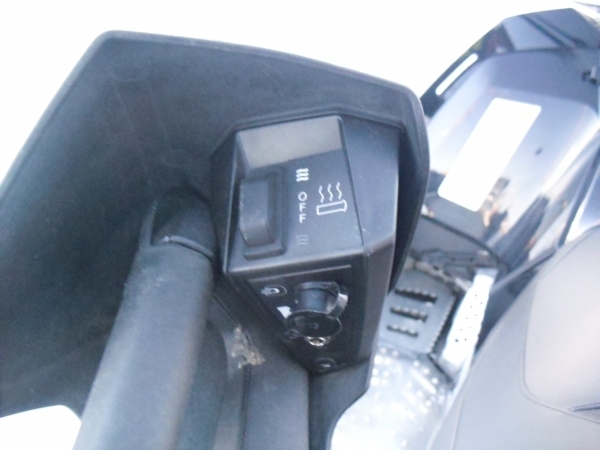 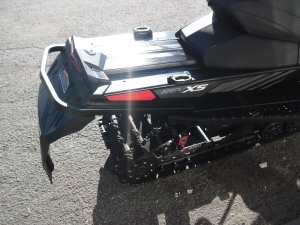 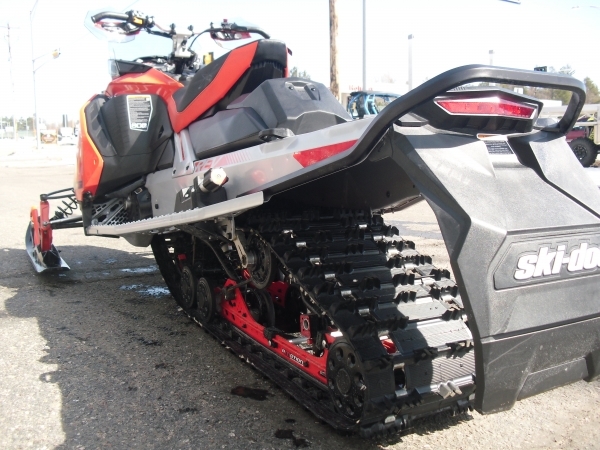 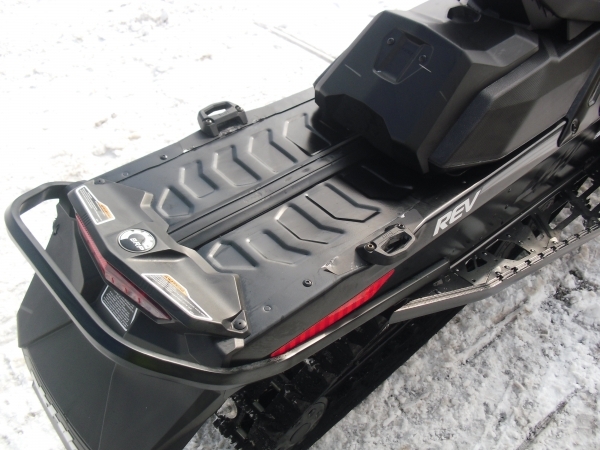 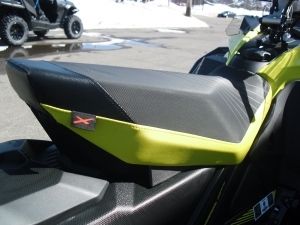 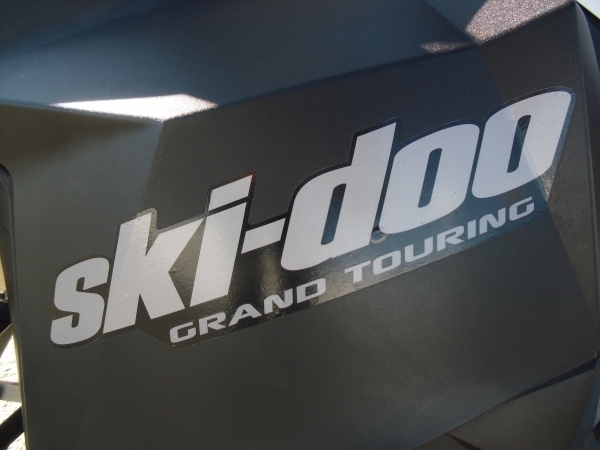 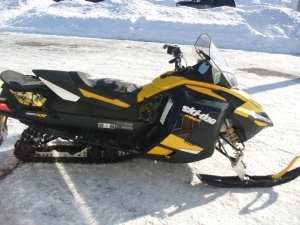 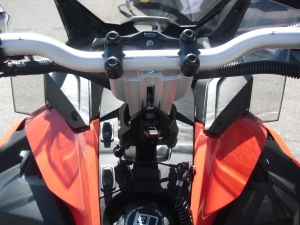 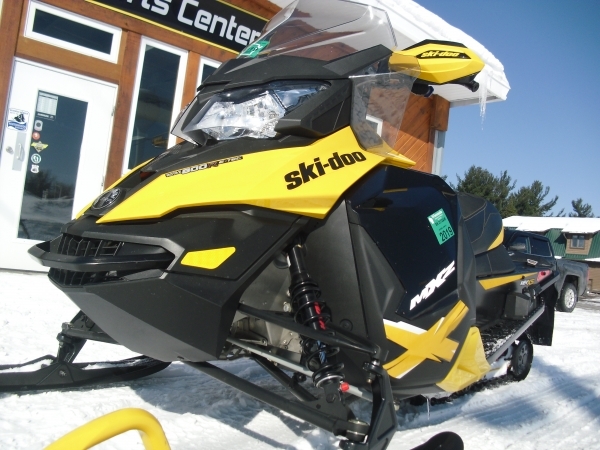 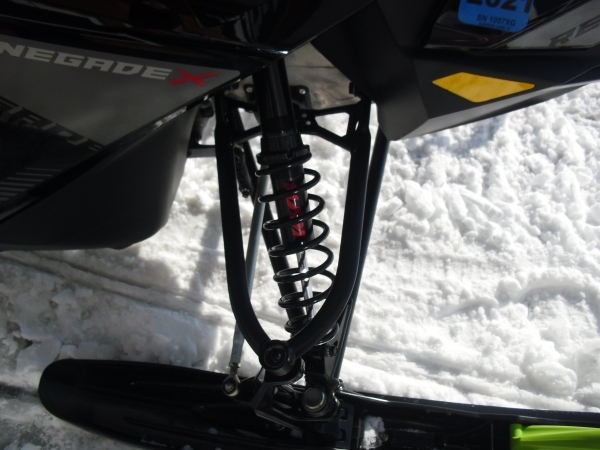 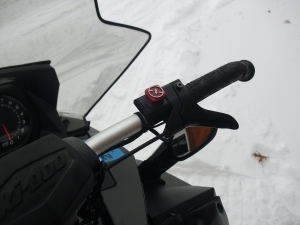 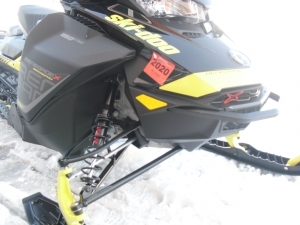 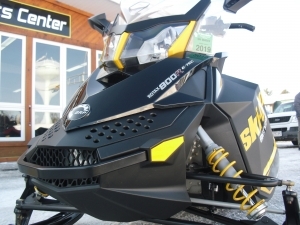 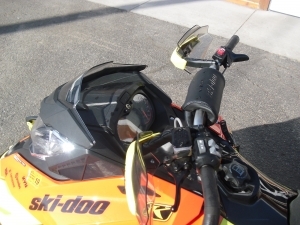 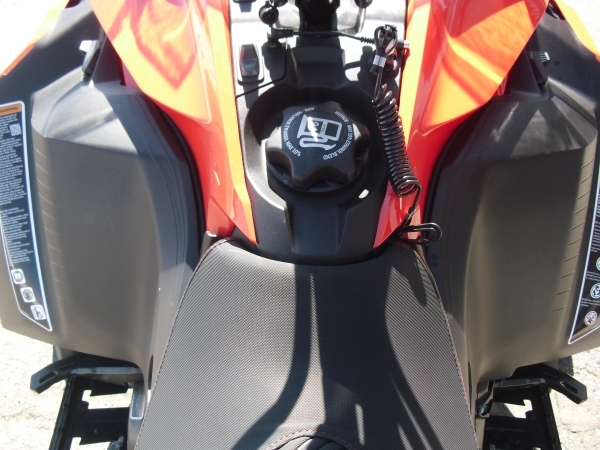 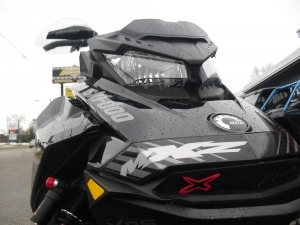 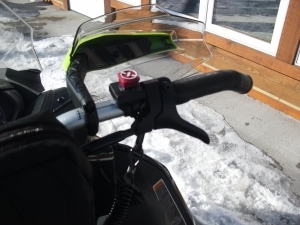 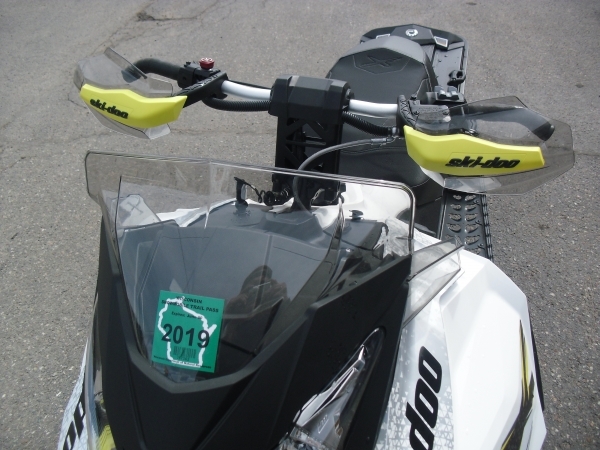 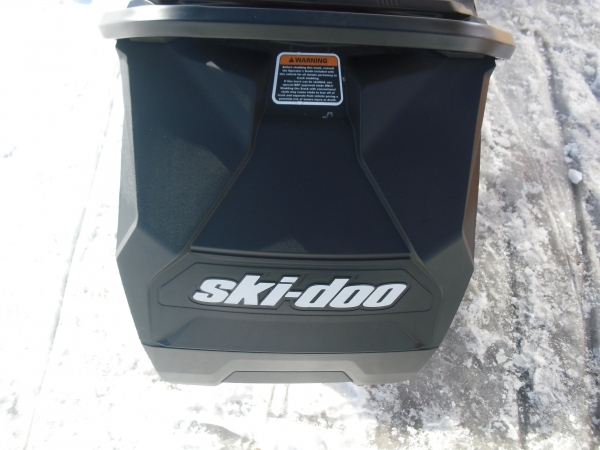 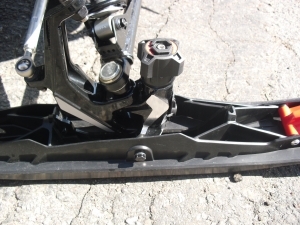 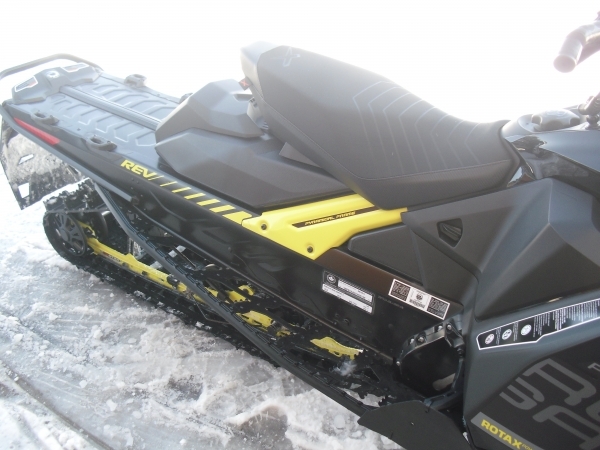 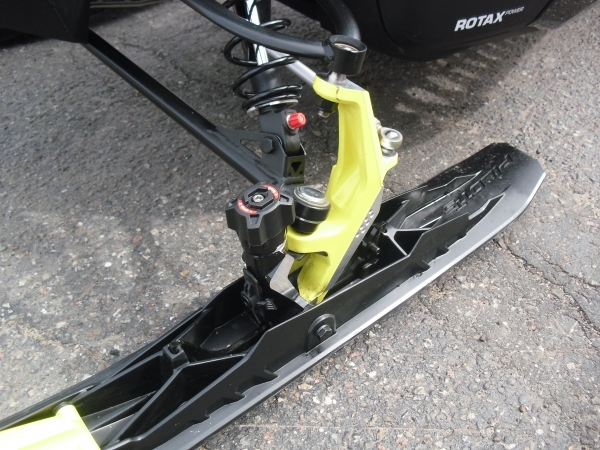 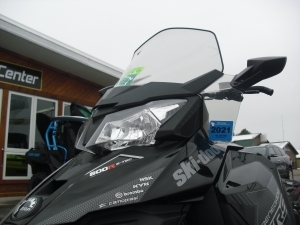 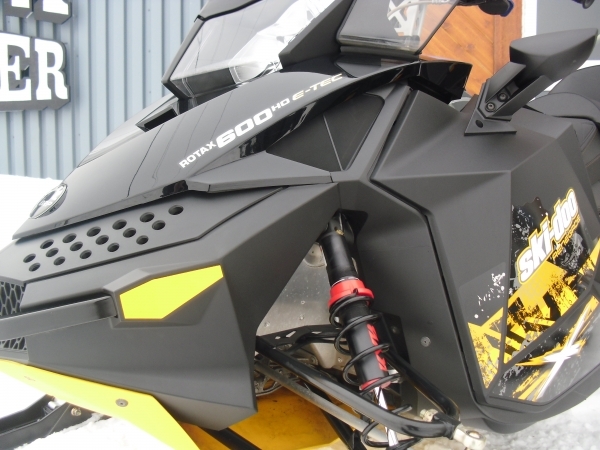 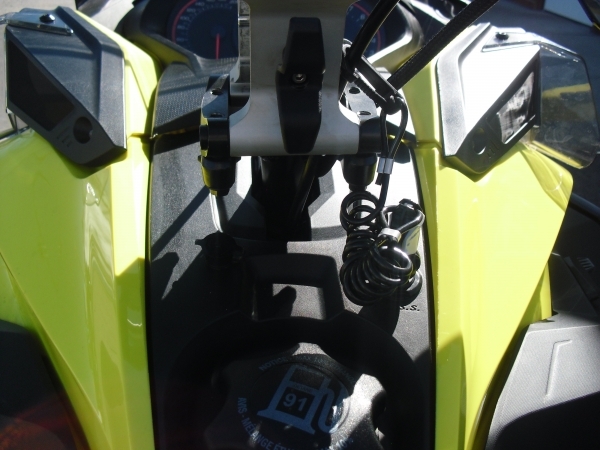 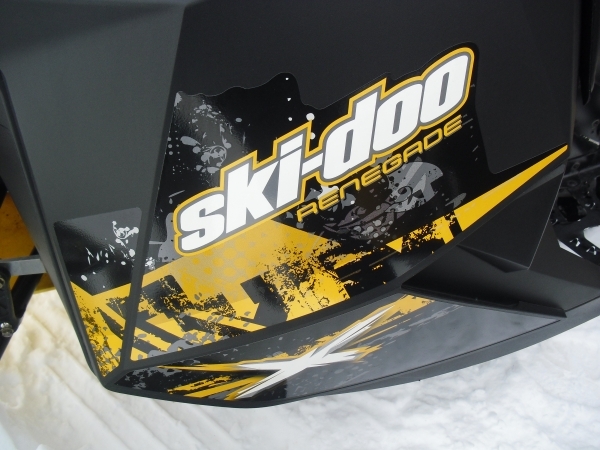 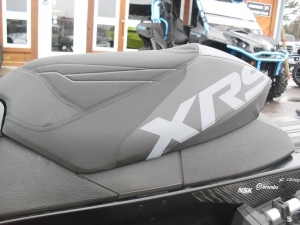 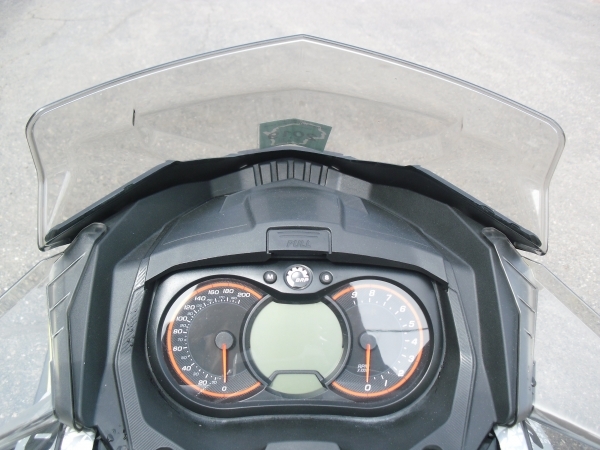 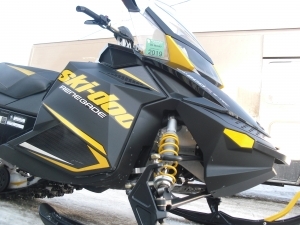 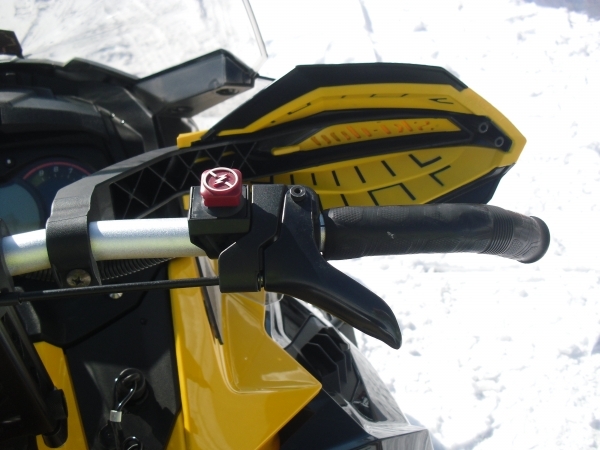 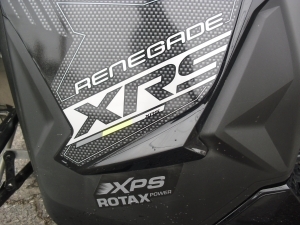 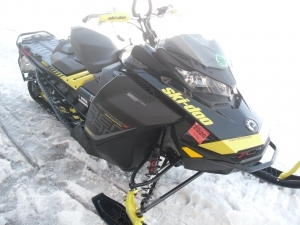 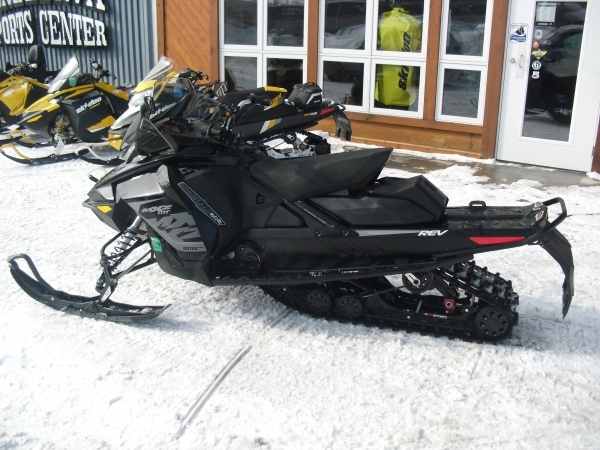 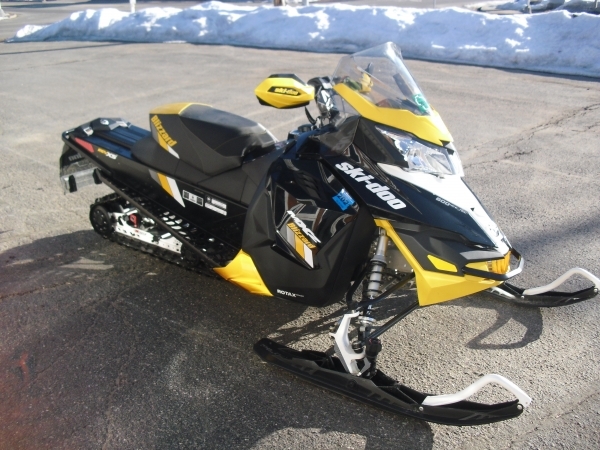 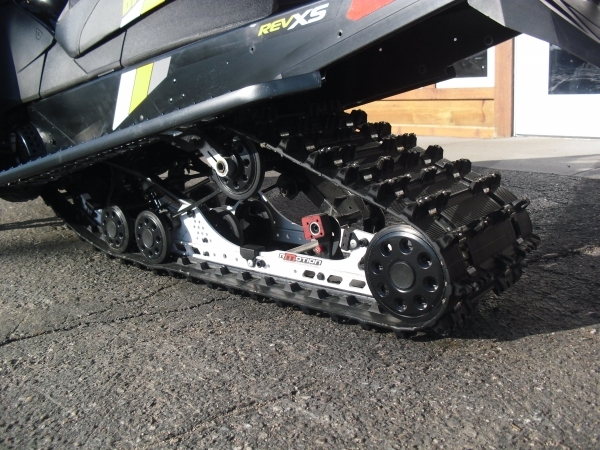 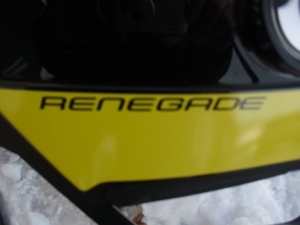 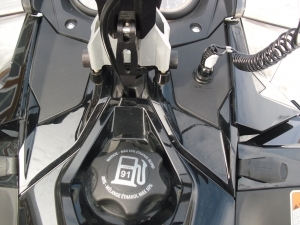 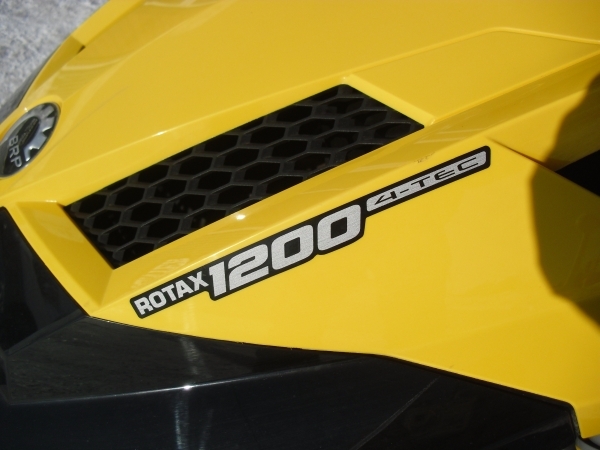 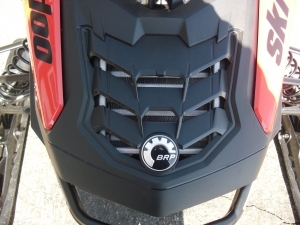 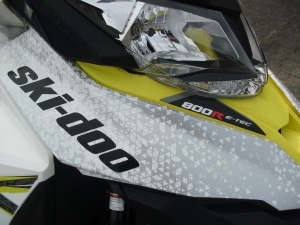 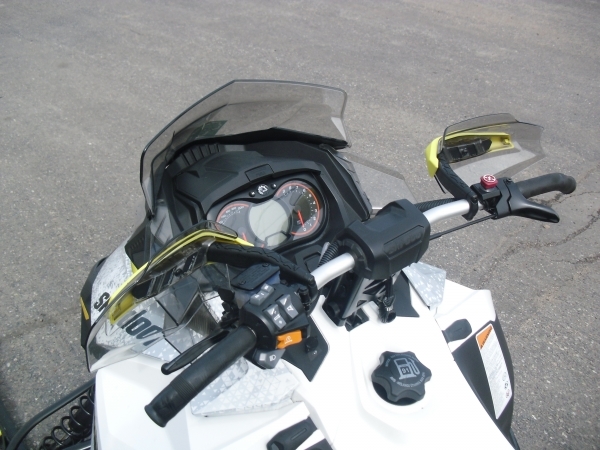 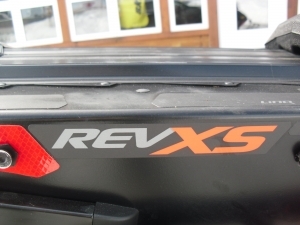 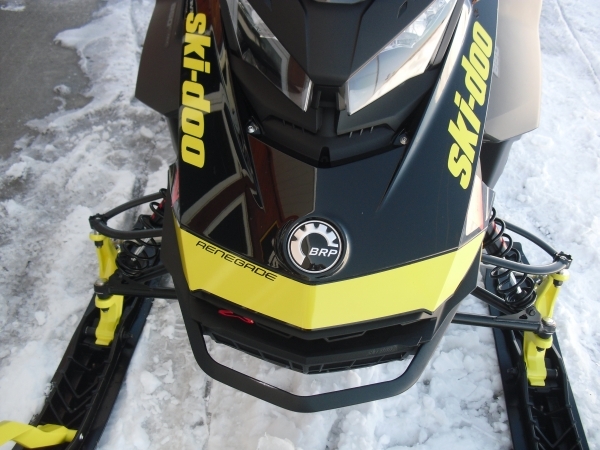 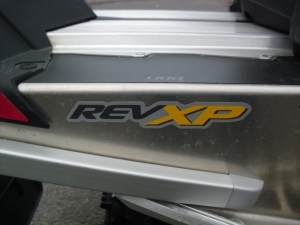 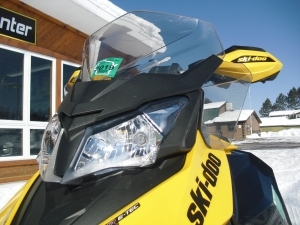 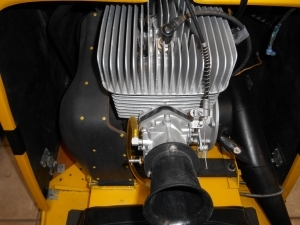 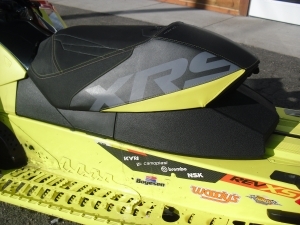 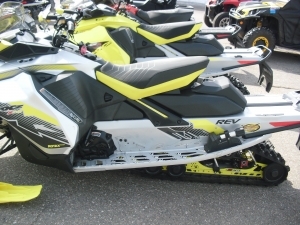 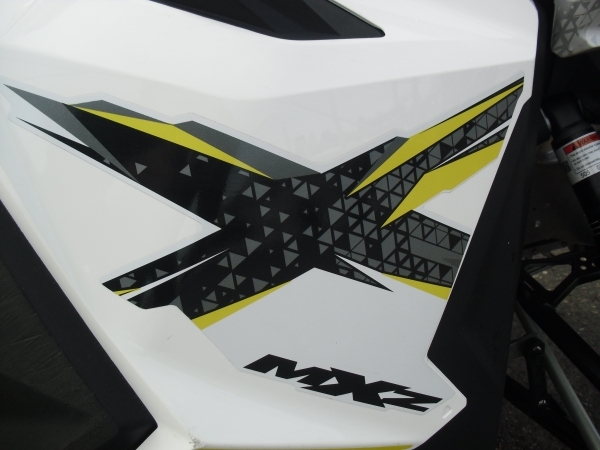 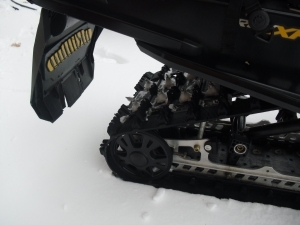 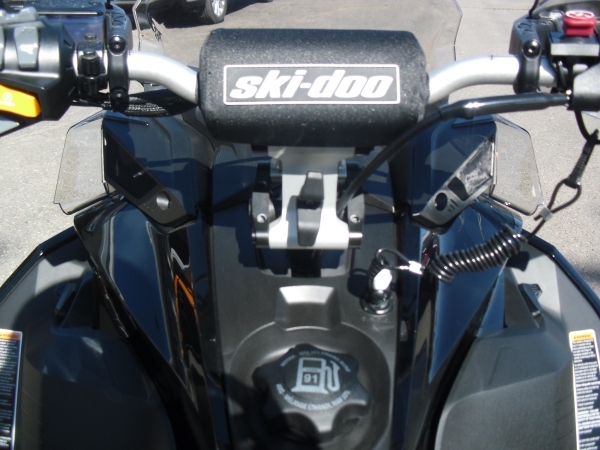 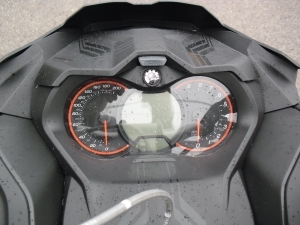 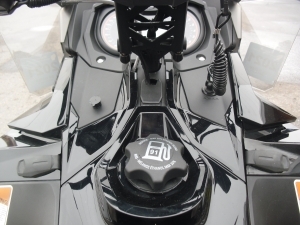 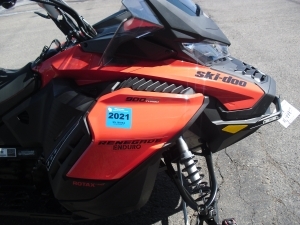 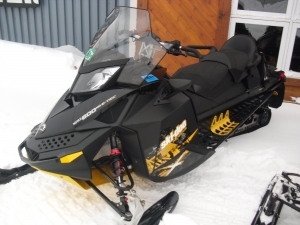 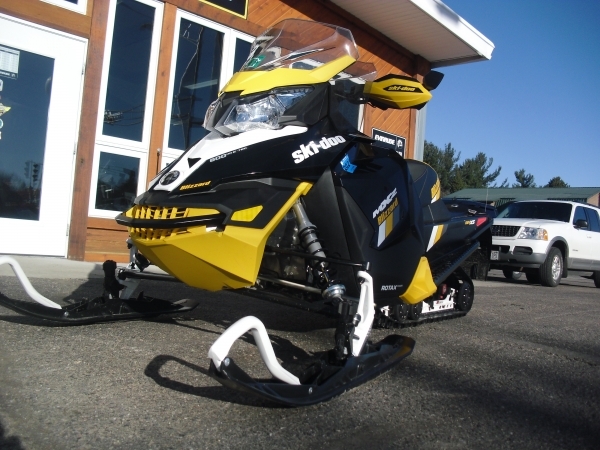 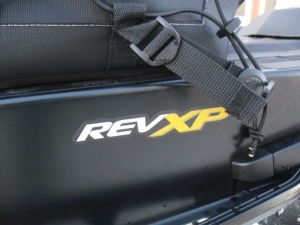 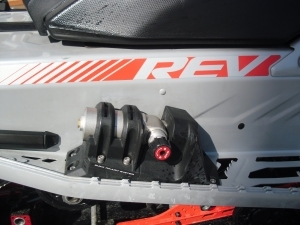 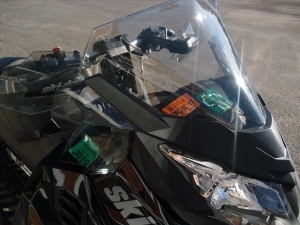 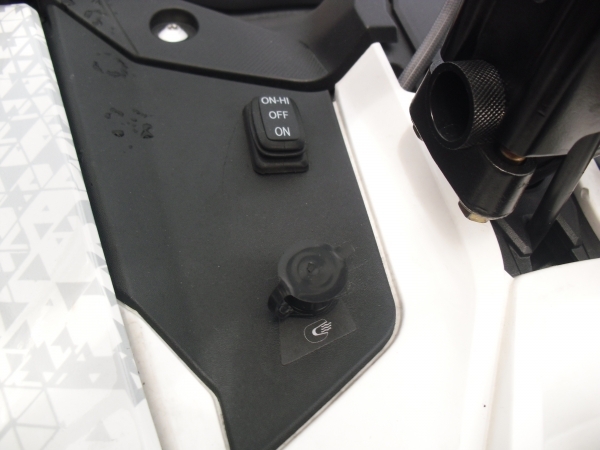 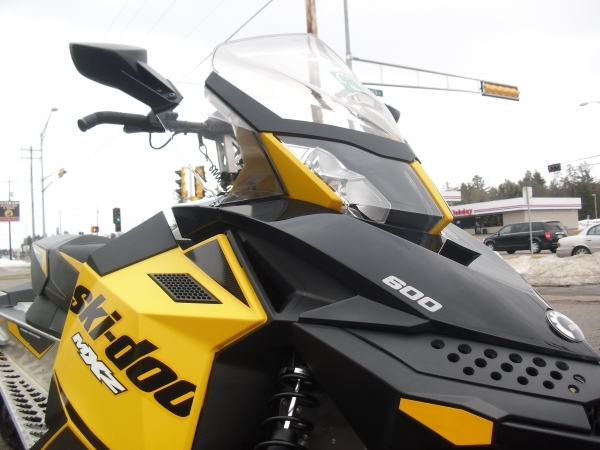 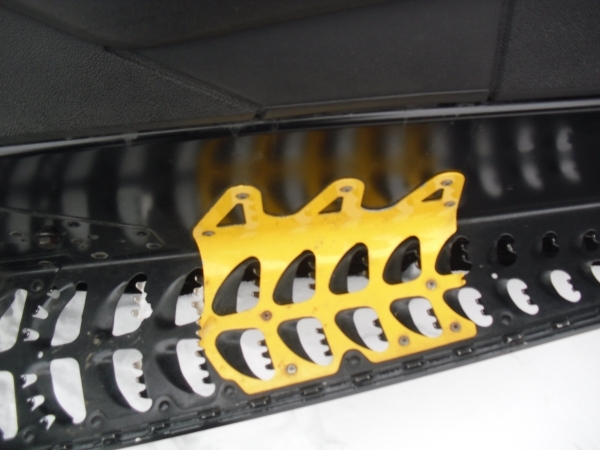 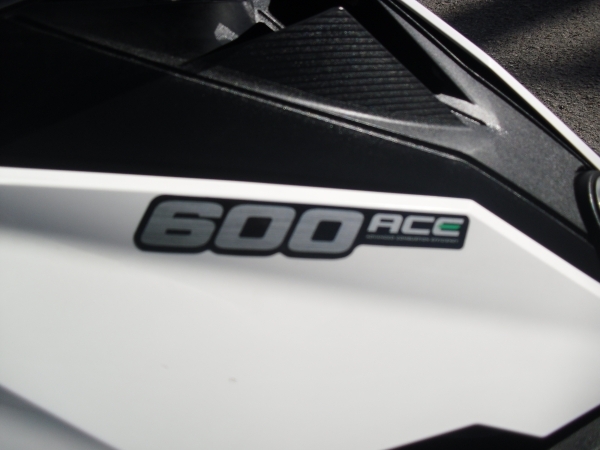 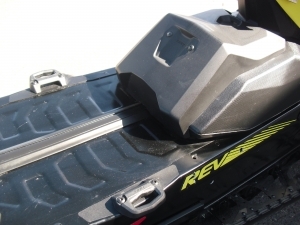 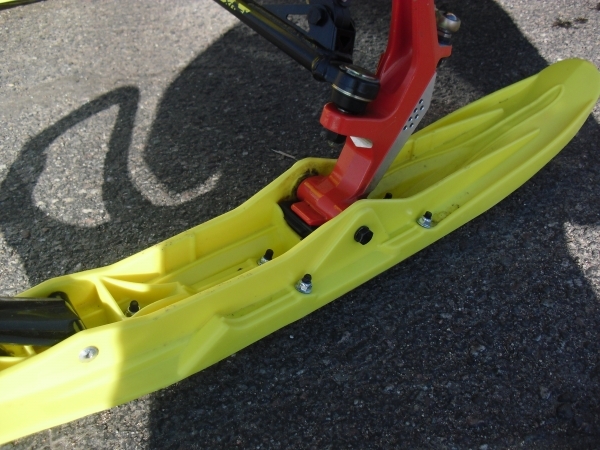 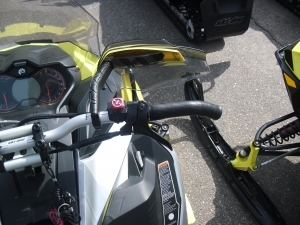 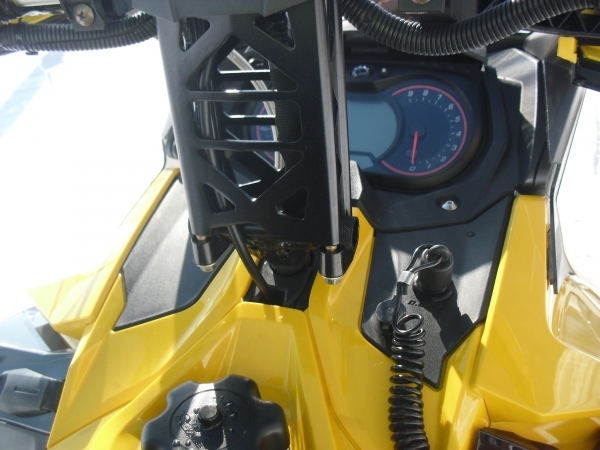 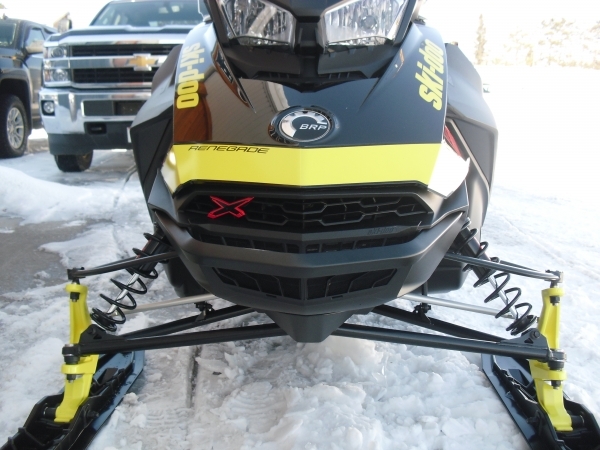 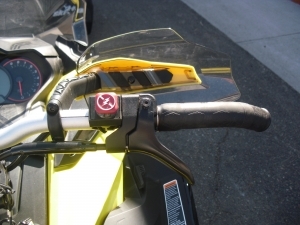 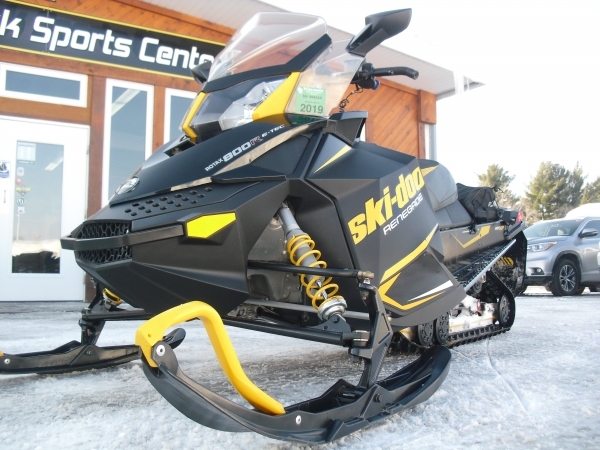 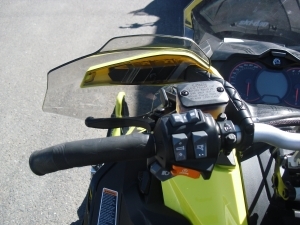 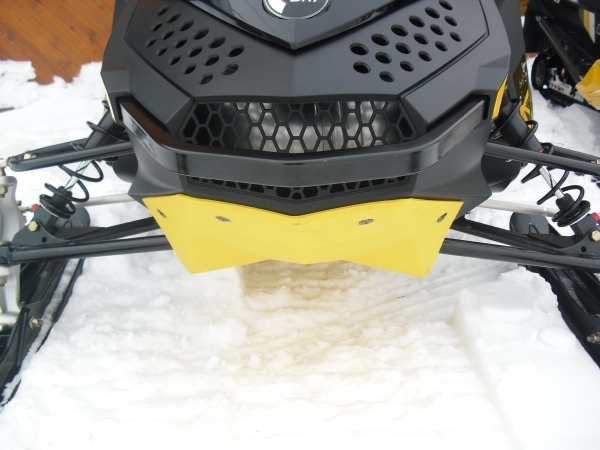 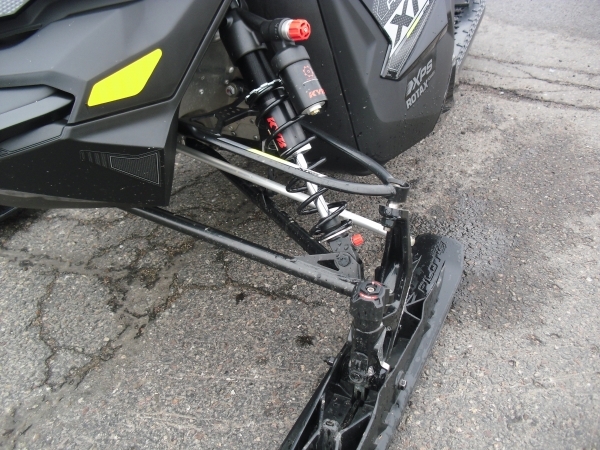 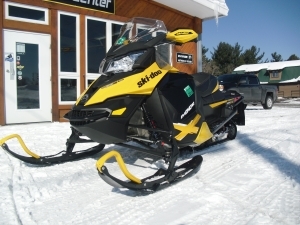 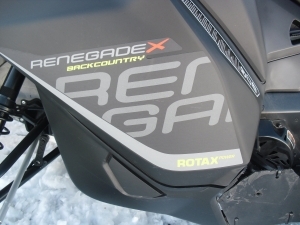 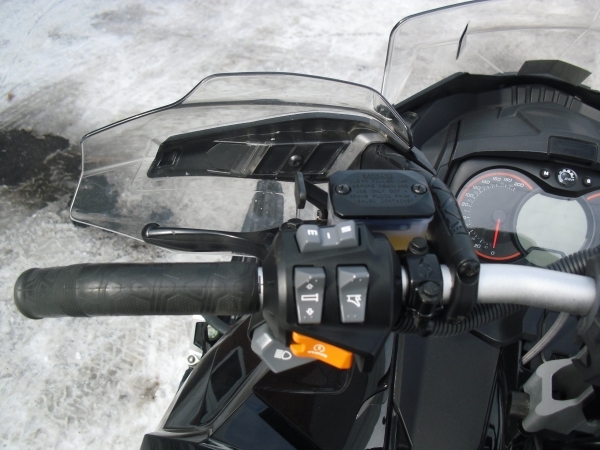 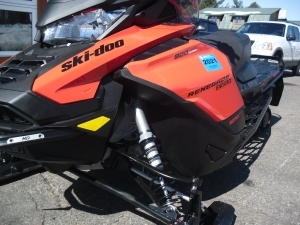 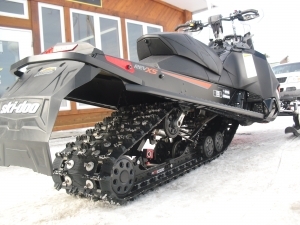 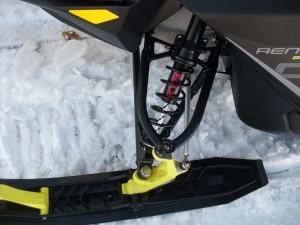 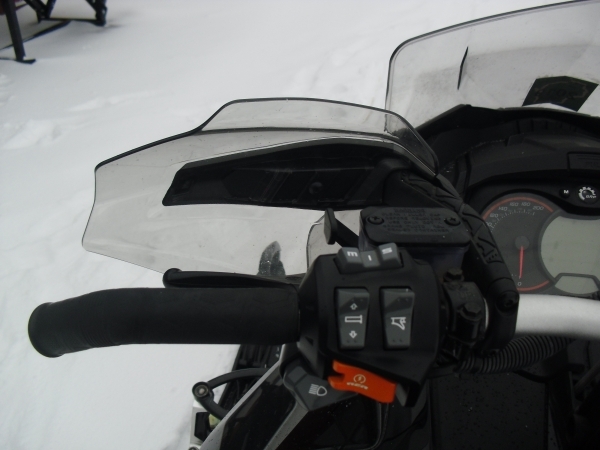 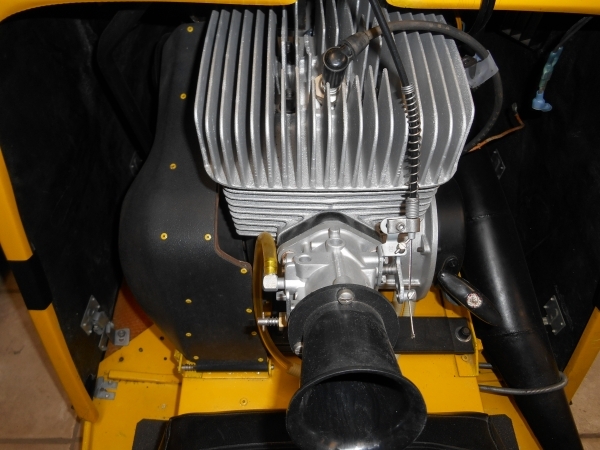 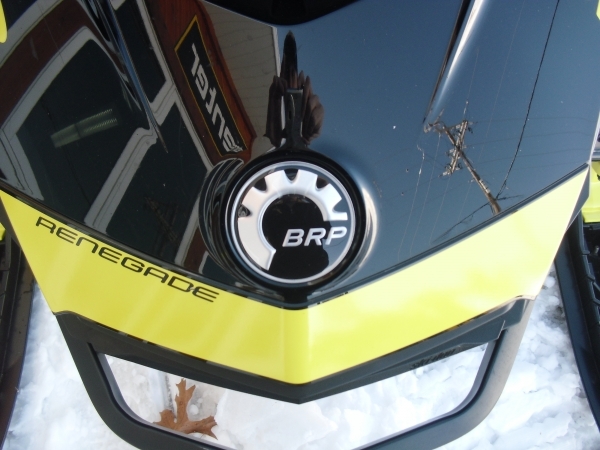 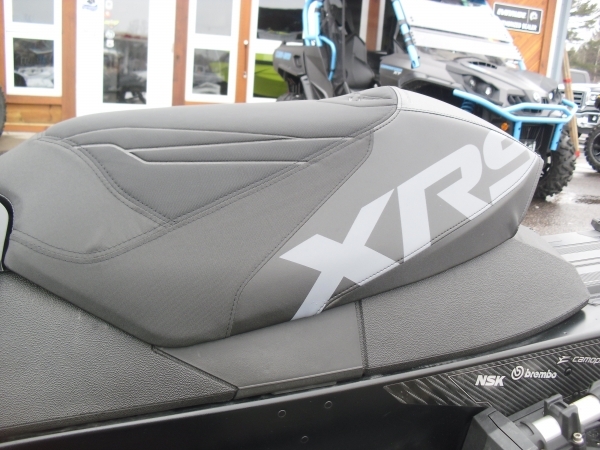 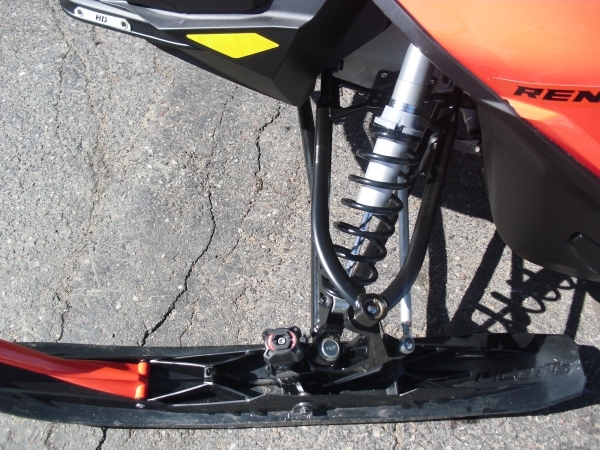 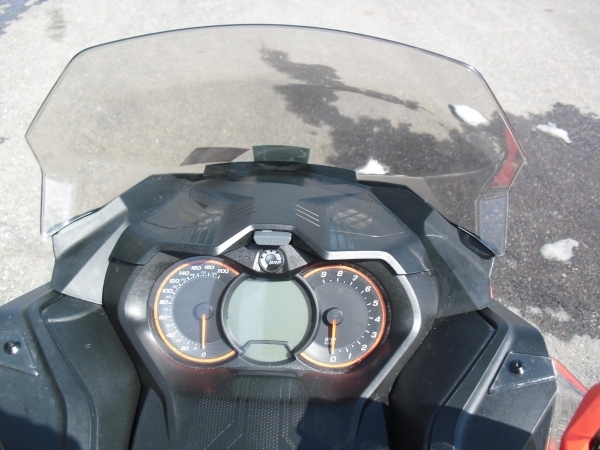 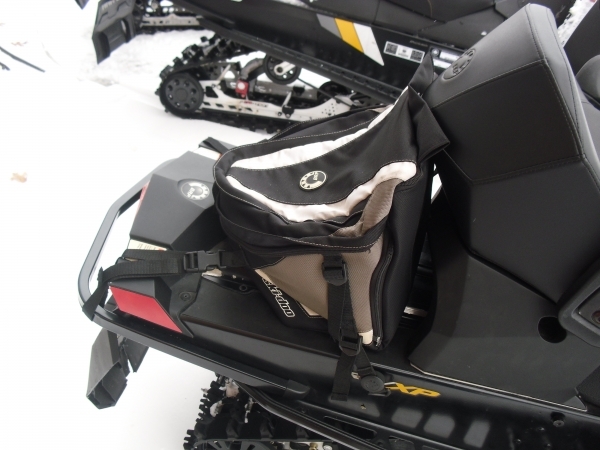 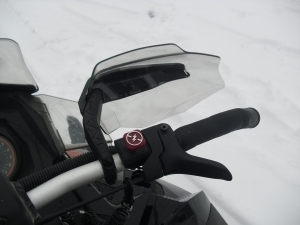 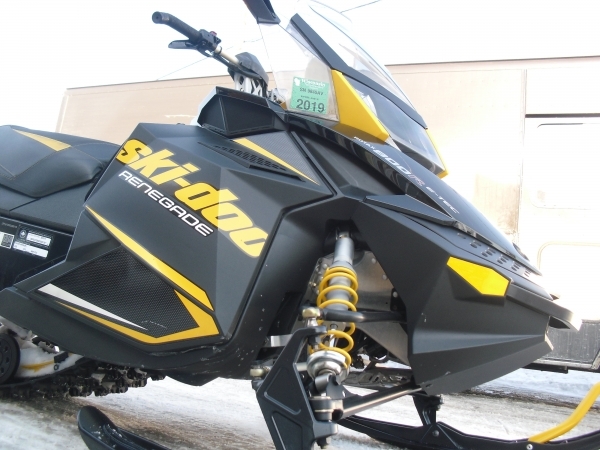 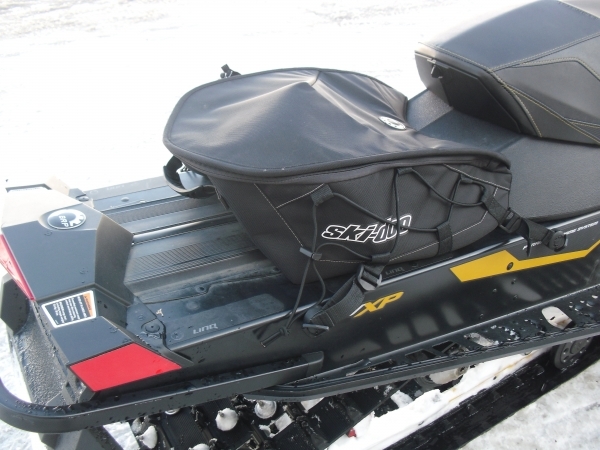 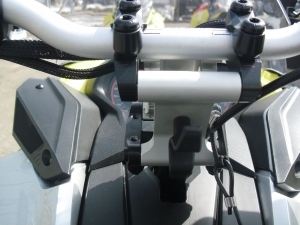 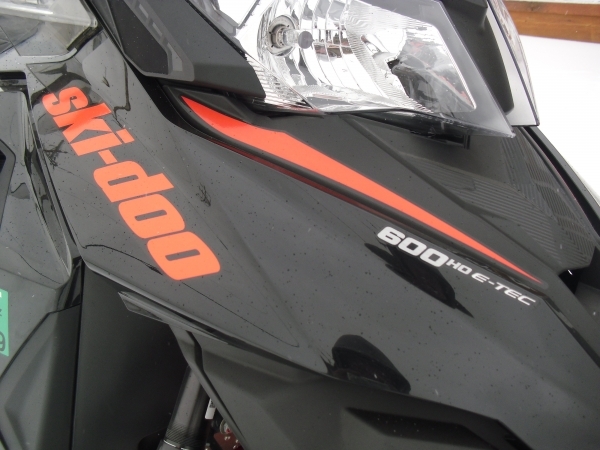 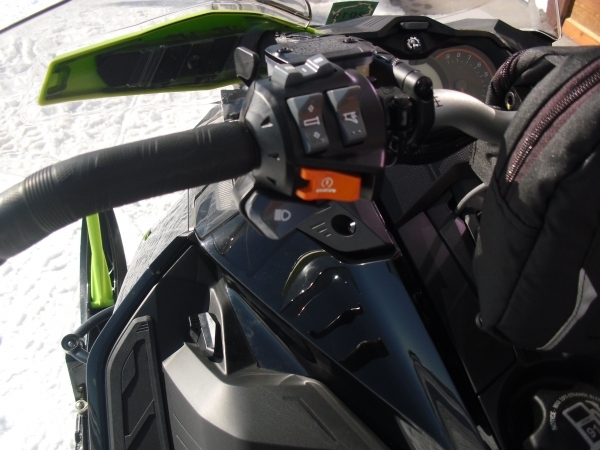 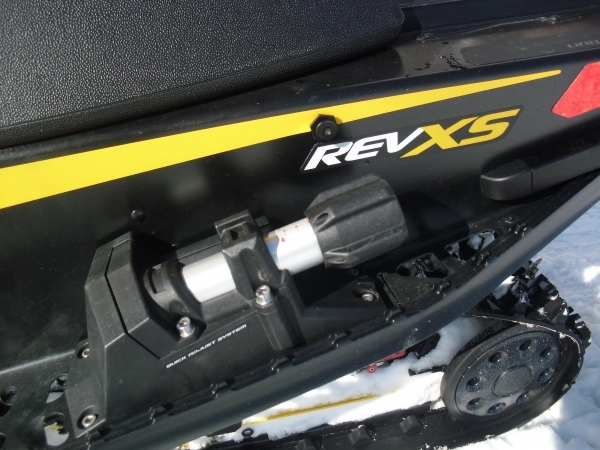 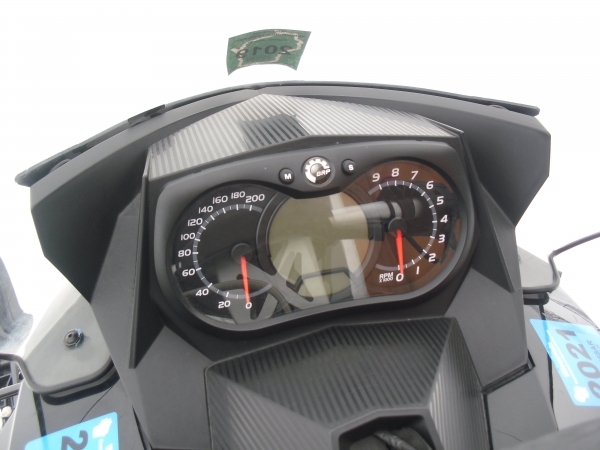 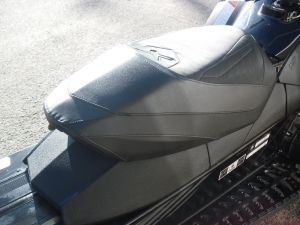 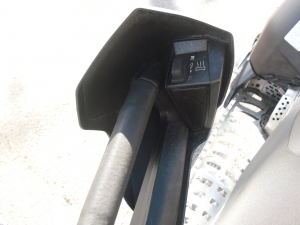 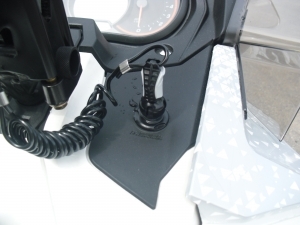 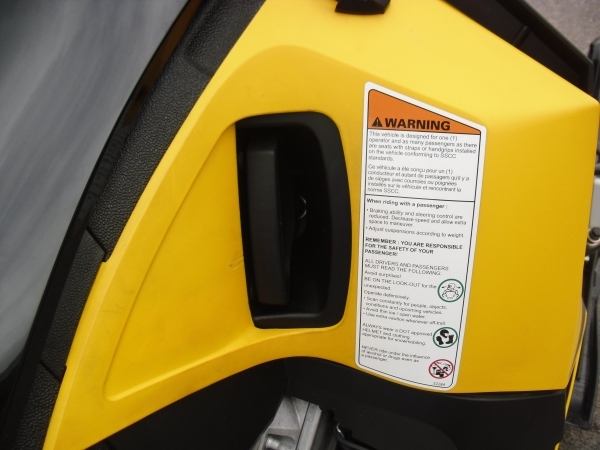 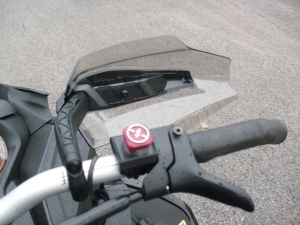 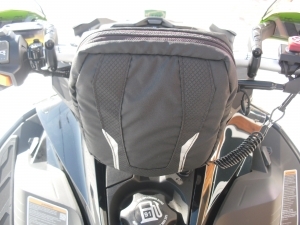 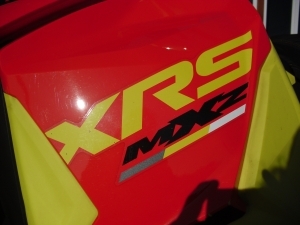 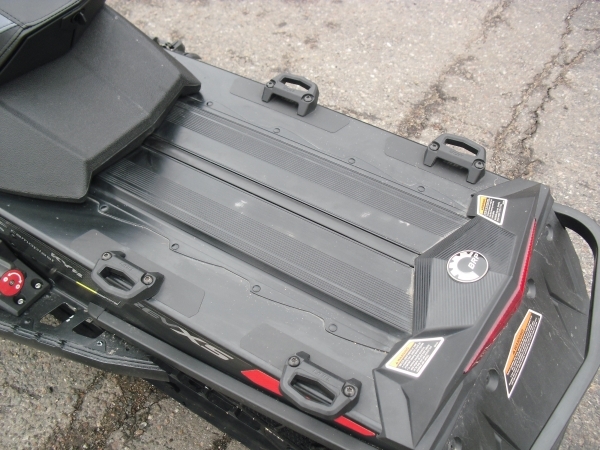 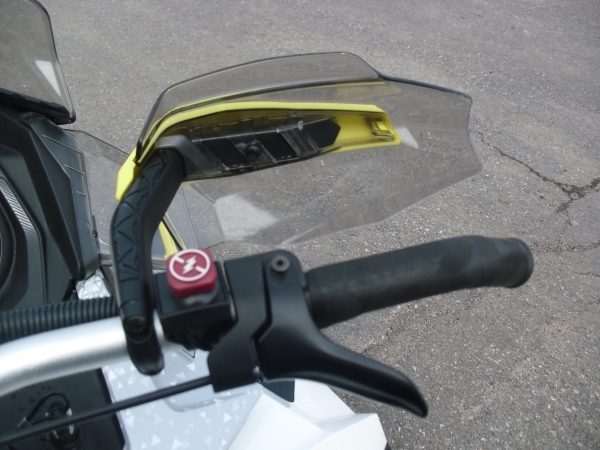 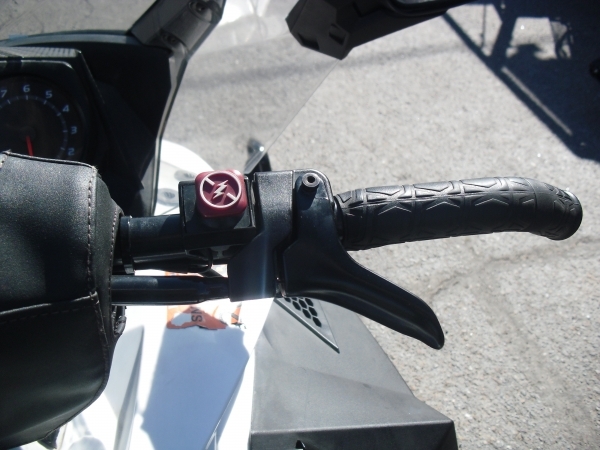 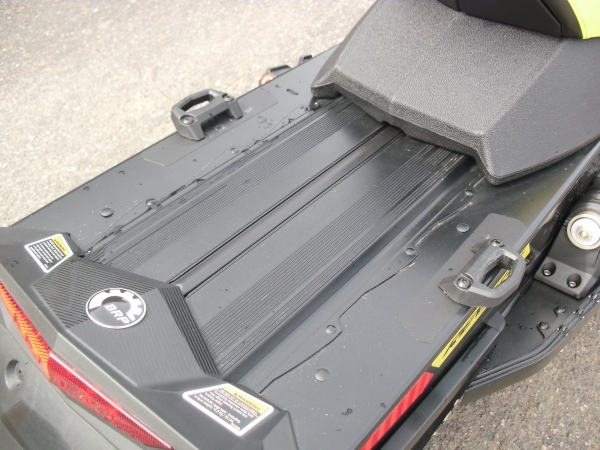 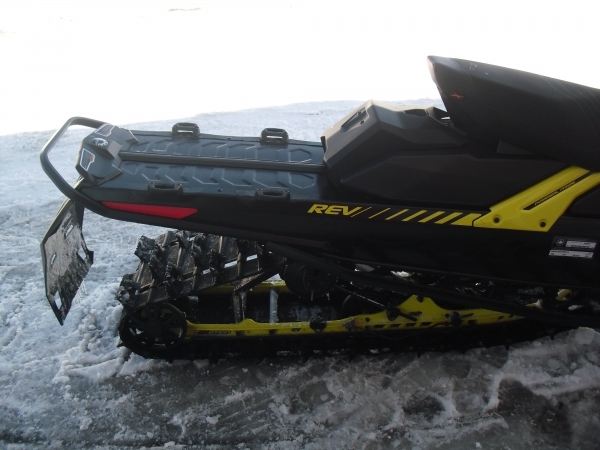 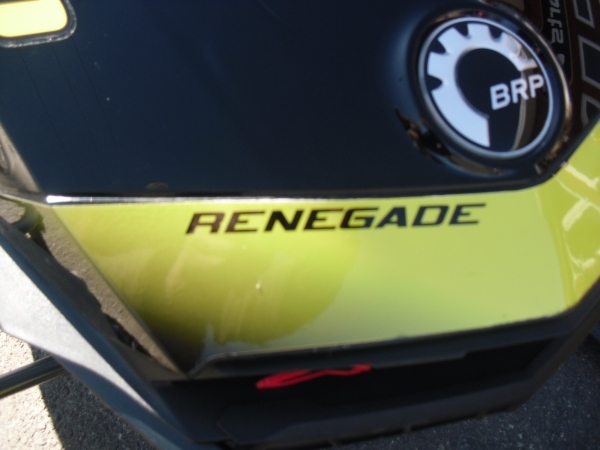 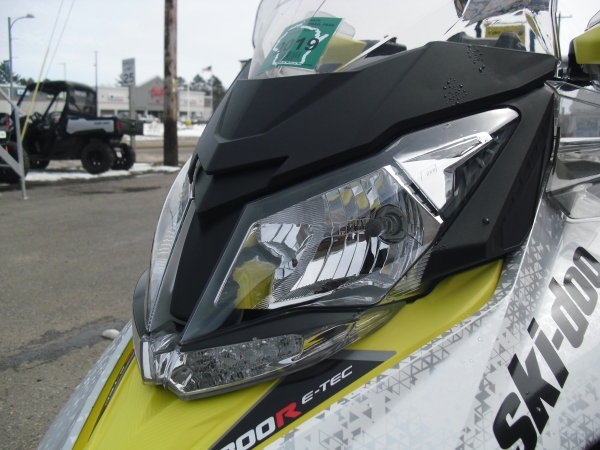 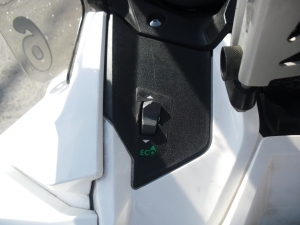 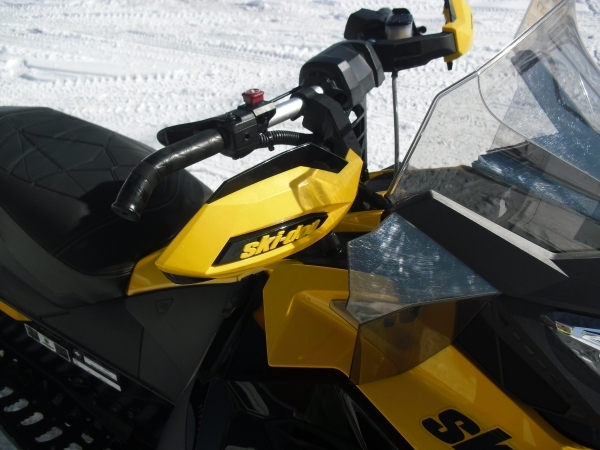 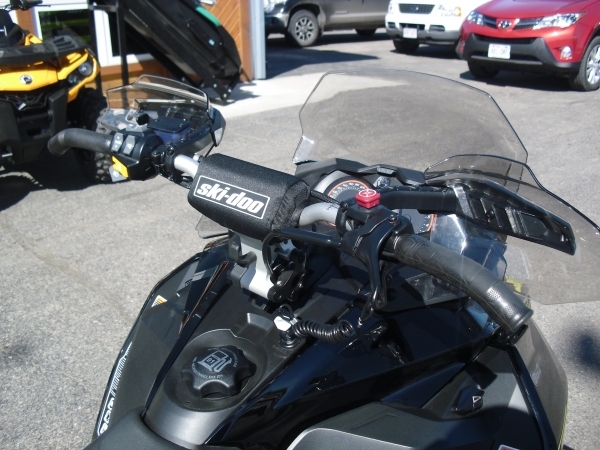 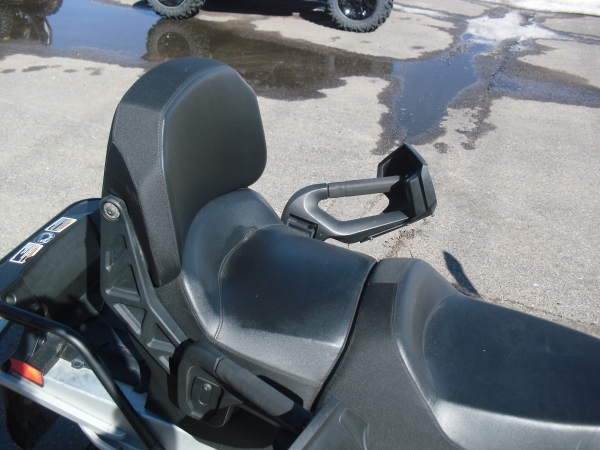 2015 SKI DOO RENEGADE X PKG. 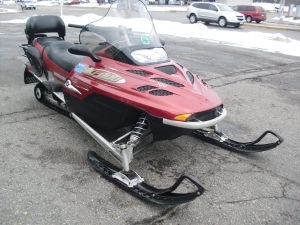 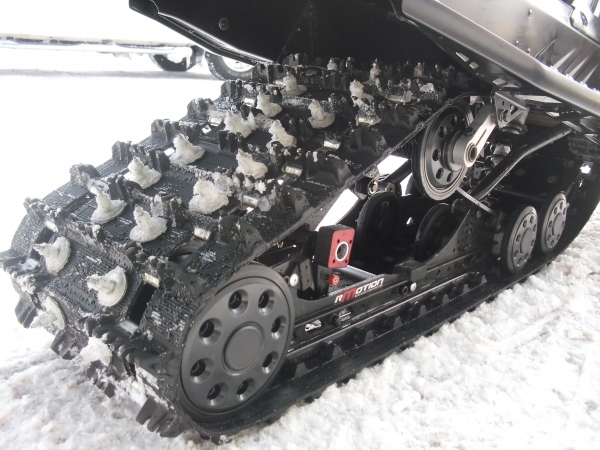 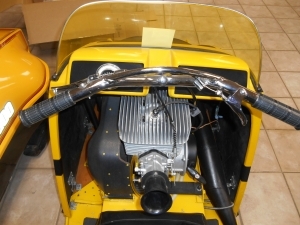 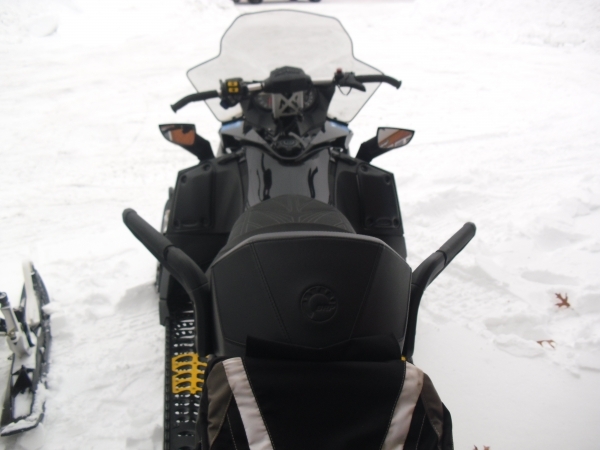 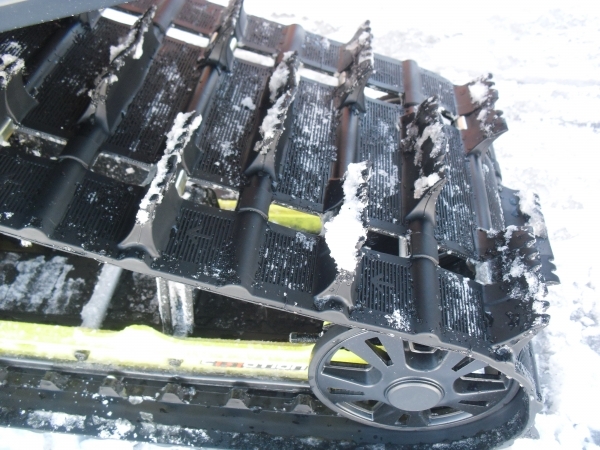 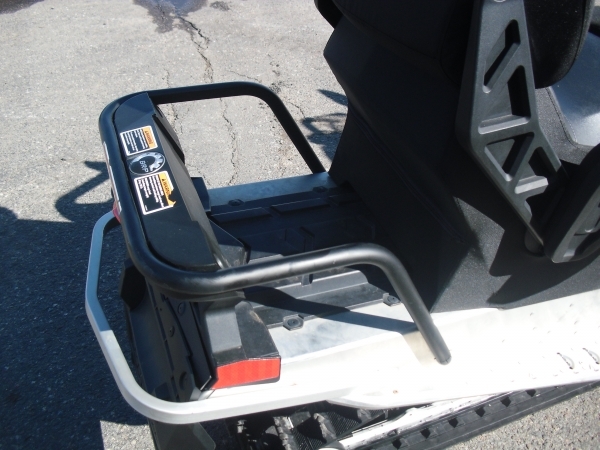 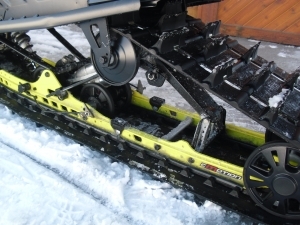 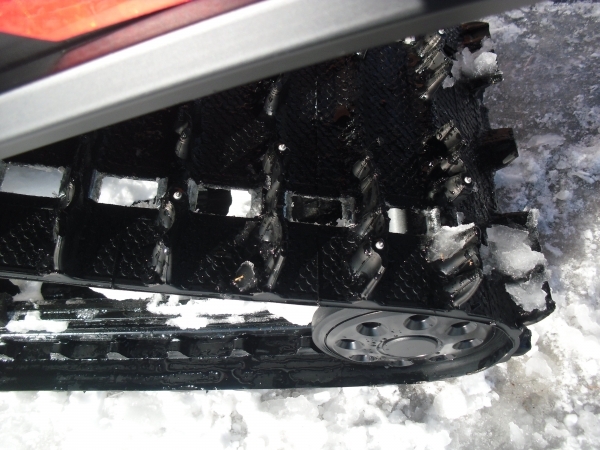 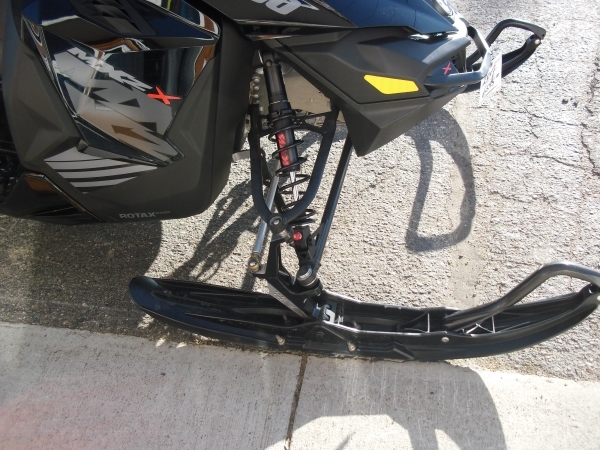 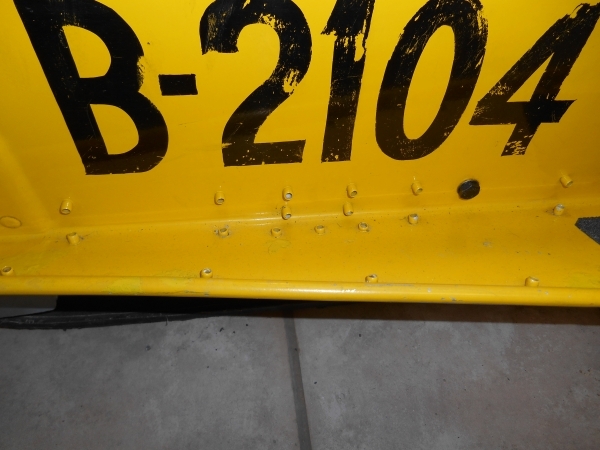 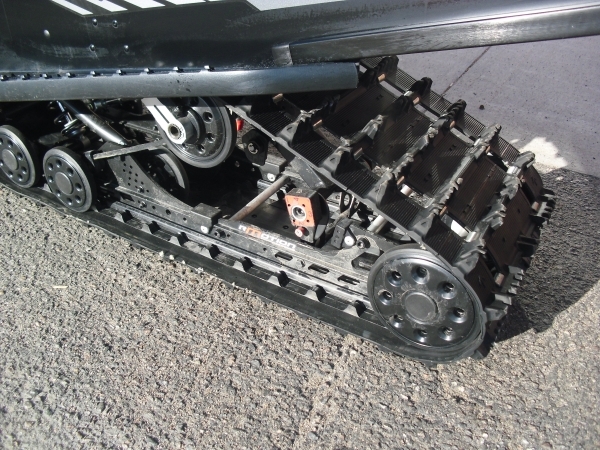 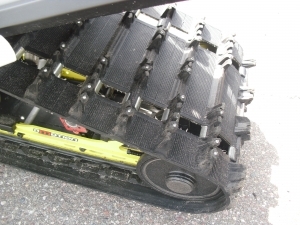 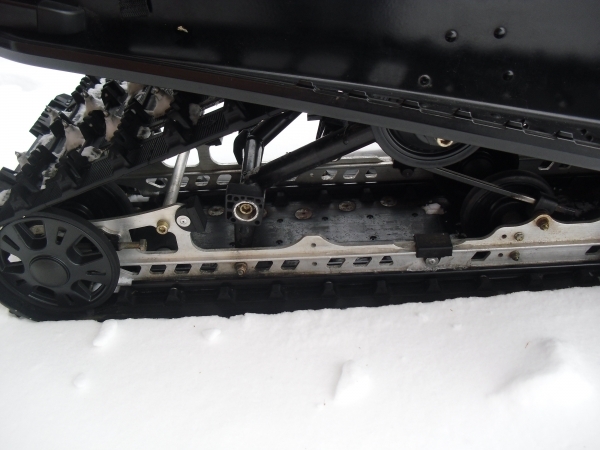 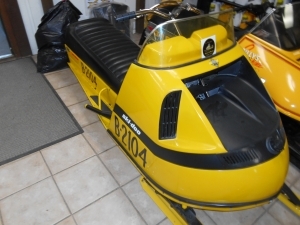 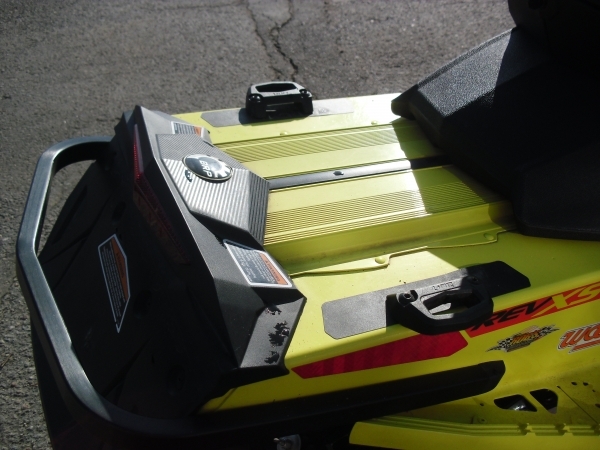 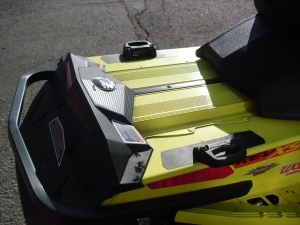 OVERALL THIS SLED IS IN EXCELLENT CONDITION CLOSE TO PERFECT!!! 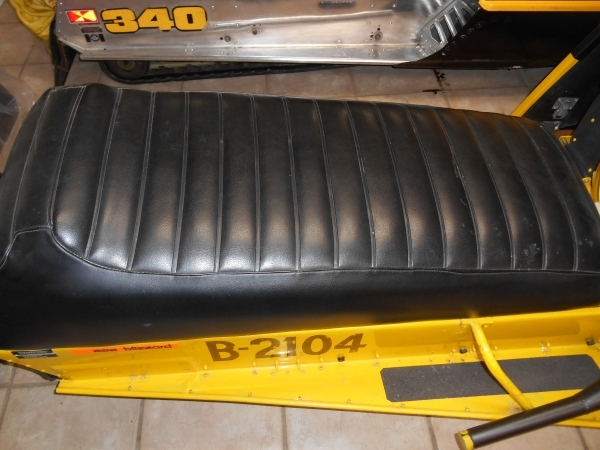 SUPER CLEAN ALL ORIGINAL CONDITION!! !